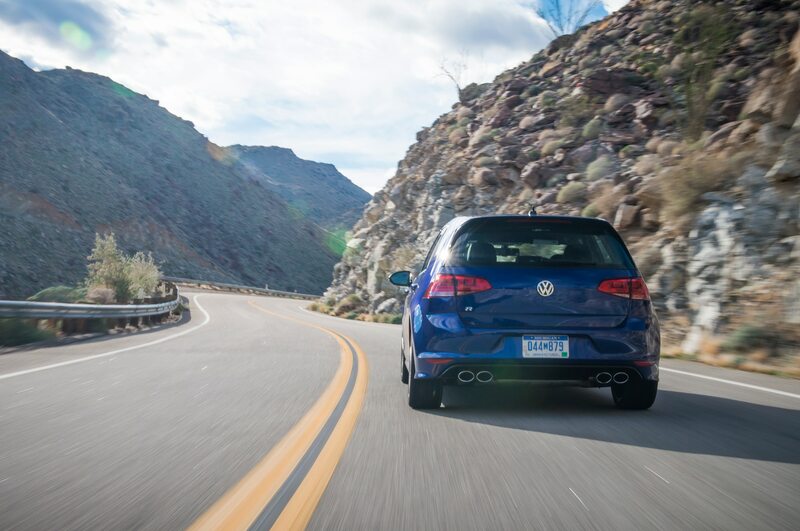 All-wheel-drive performance for all kinds of roads. 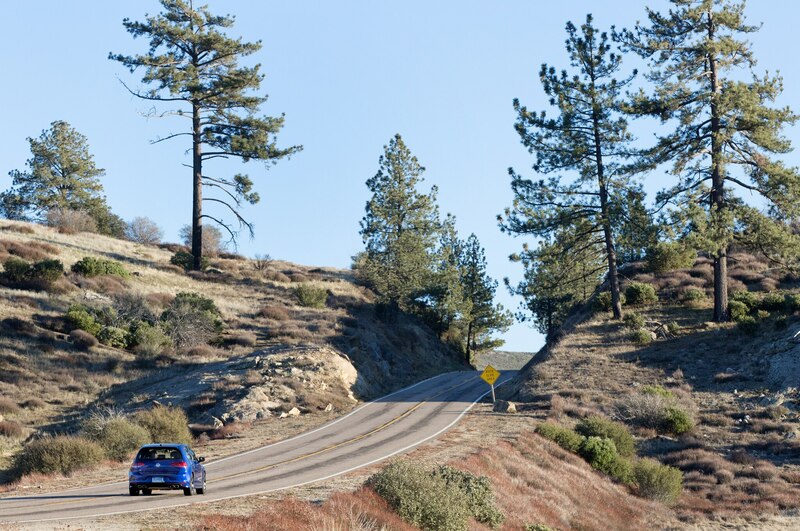 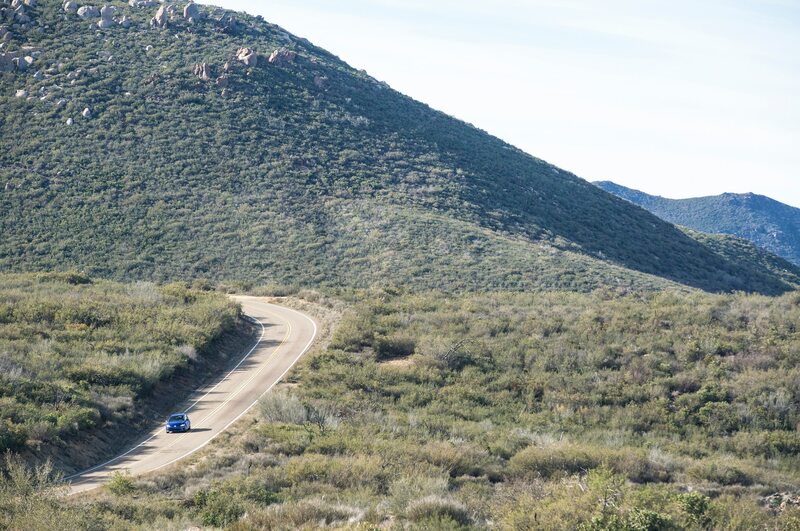 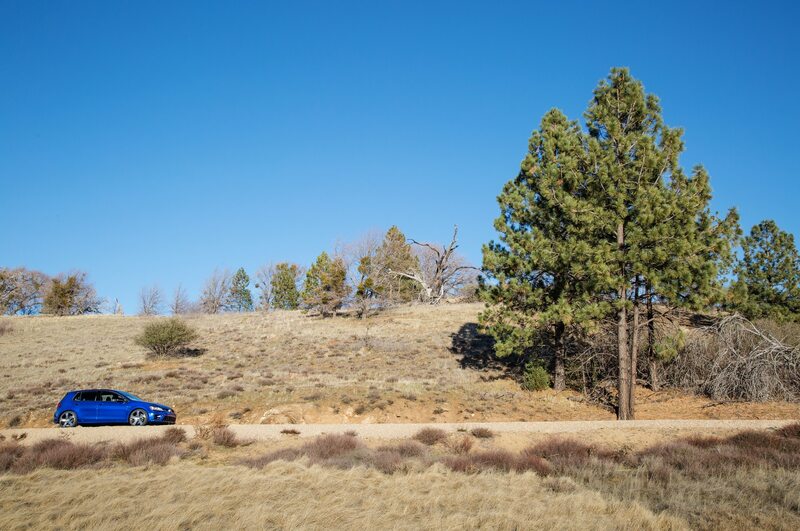 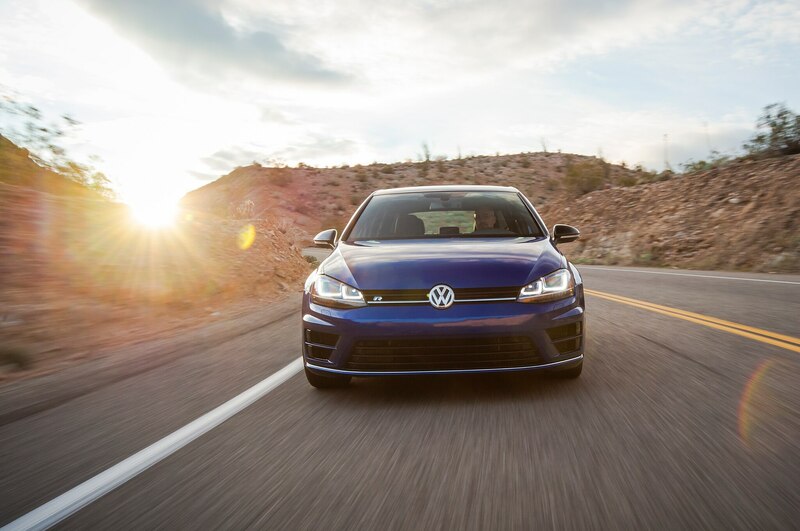 JULIAN, California – Our convoy of 2015 Volkswagen Golf R hatches blasts along thinly trafficked canyon roads just outside San Diego. 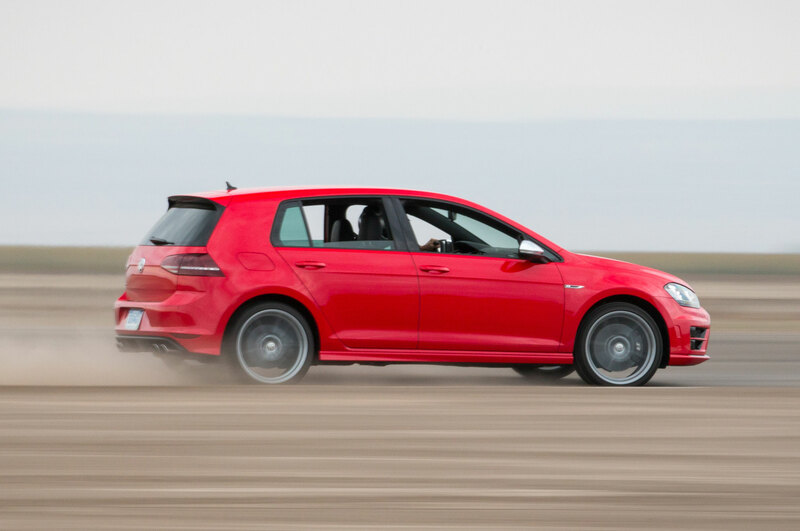 We’ve sampled the hot hatch a handful of times in the past year, but only European-spec cars and only on racetracks. 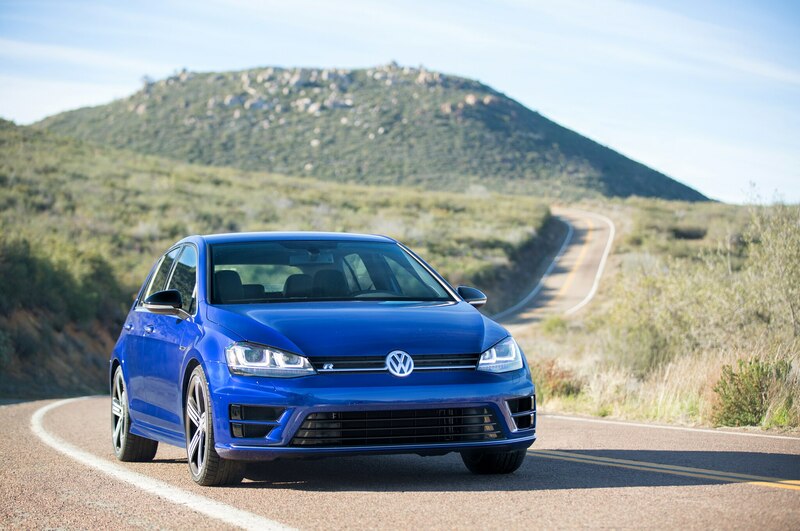 Now, just as the Golf R hits showrooms, we’re getting a shot at the U.S. version on the types of roads American enthusiasts will drive. 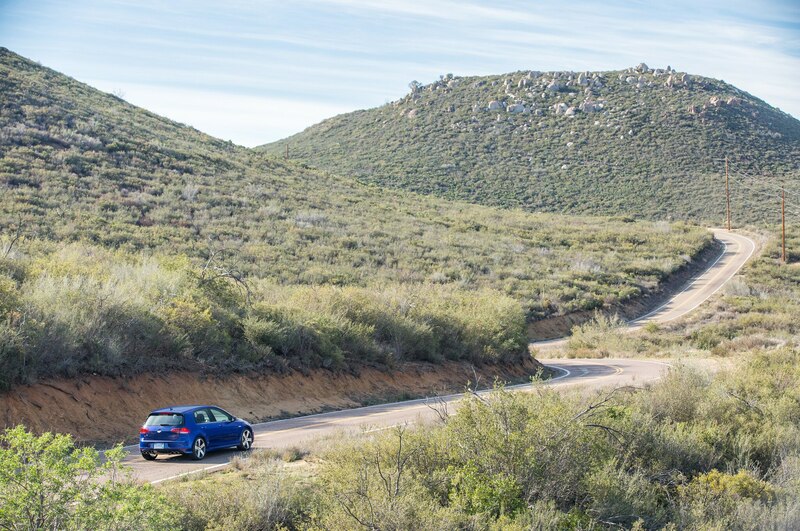 A stretch of empty, flowing pavement ahead coaxes us to break from the pack. 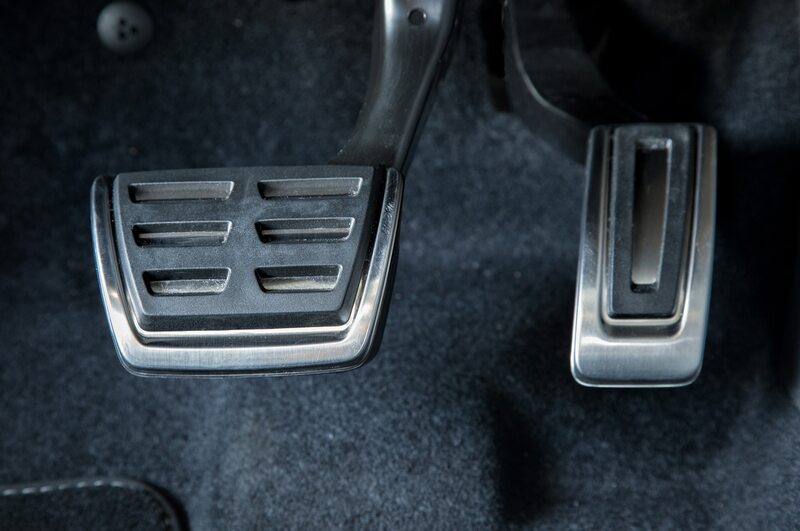 Tipping the paddles elicits an instant, precise shift. 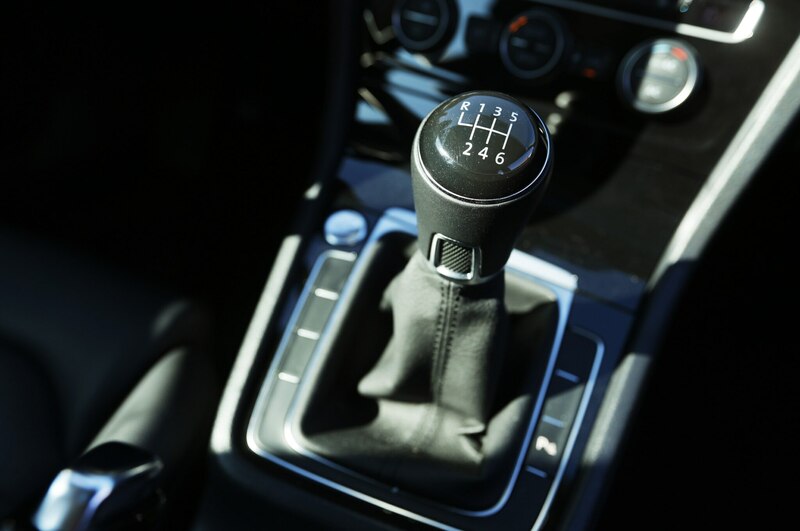 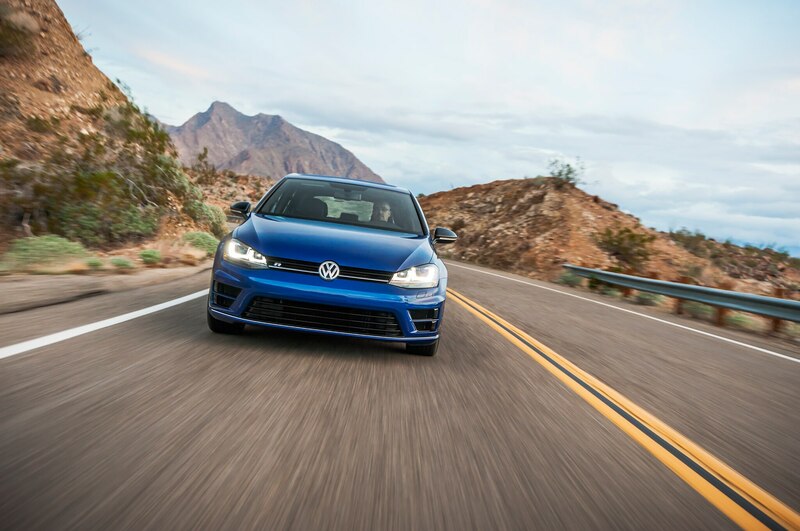 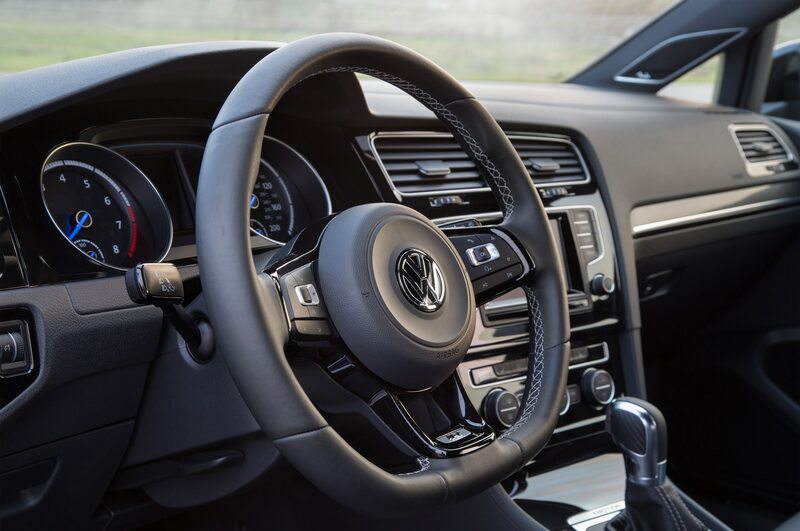 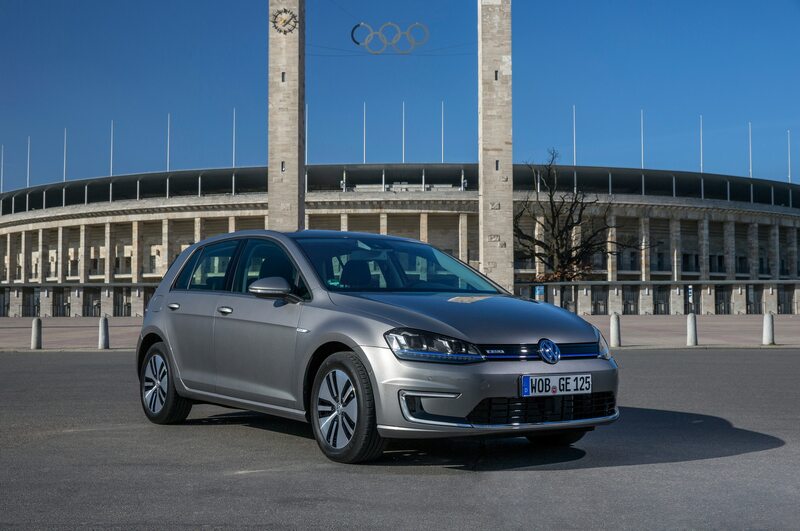 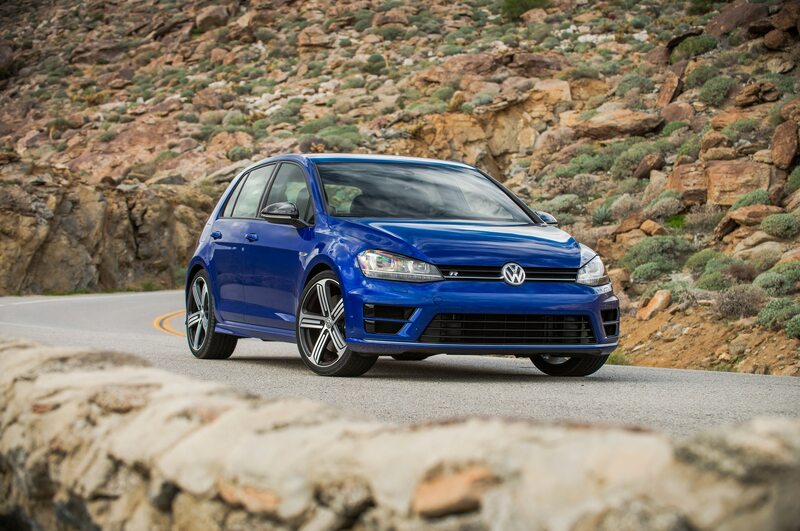 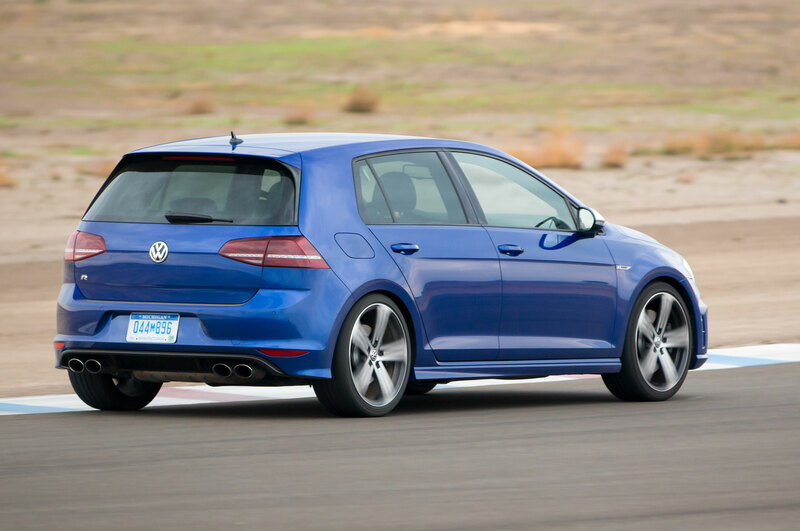 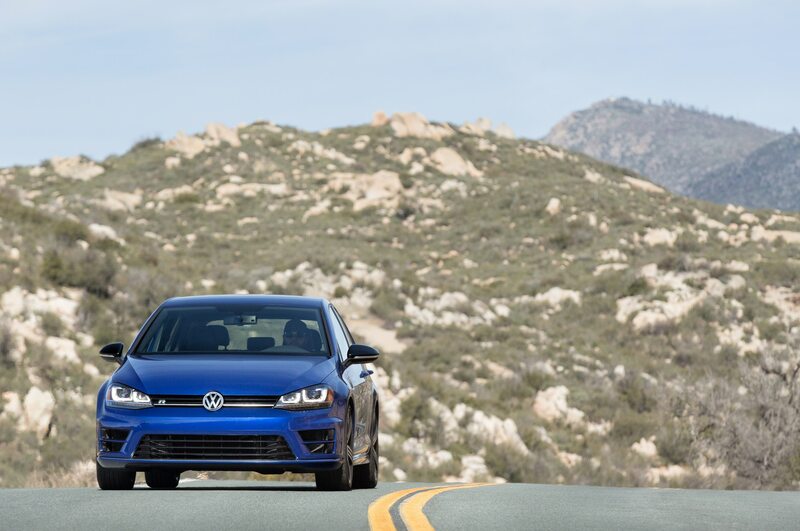 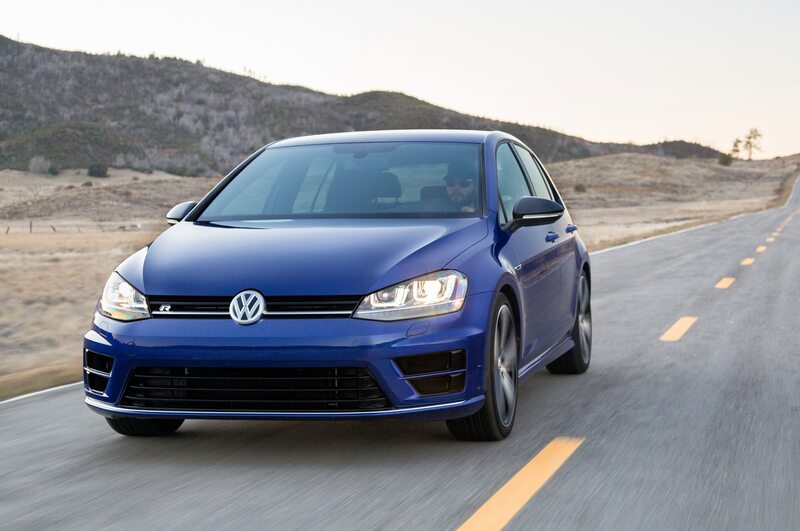 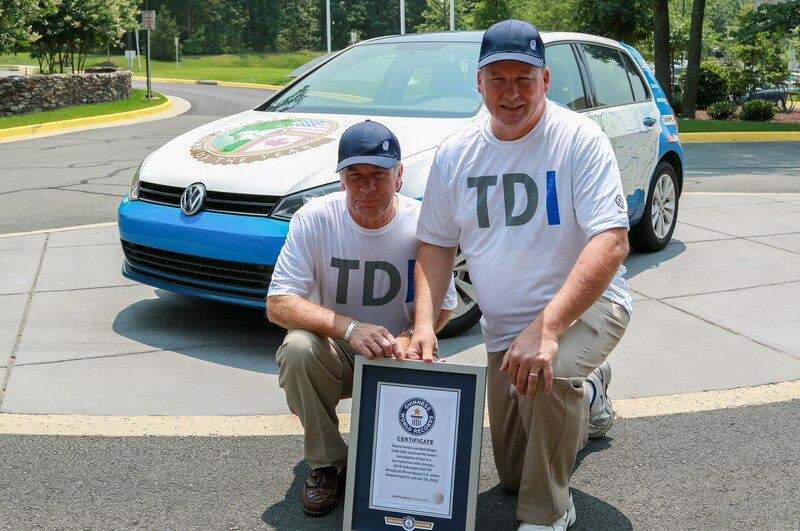 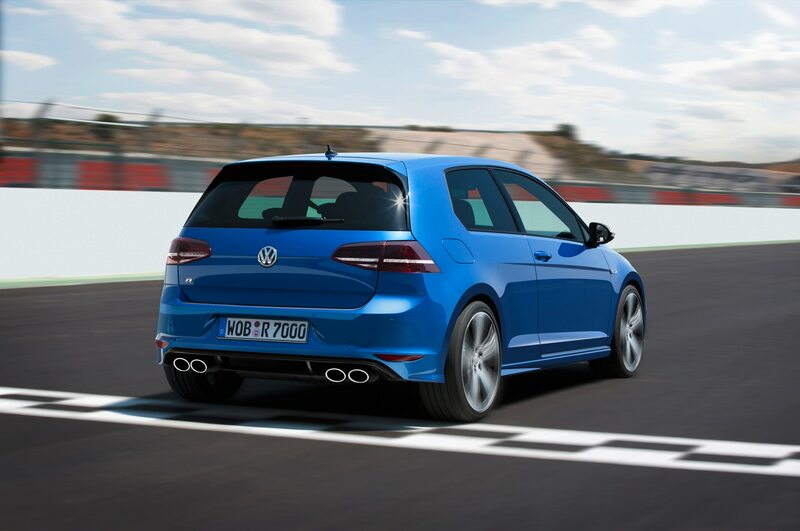 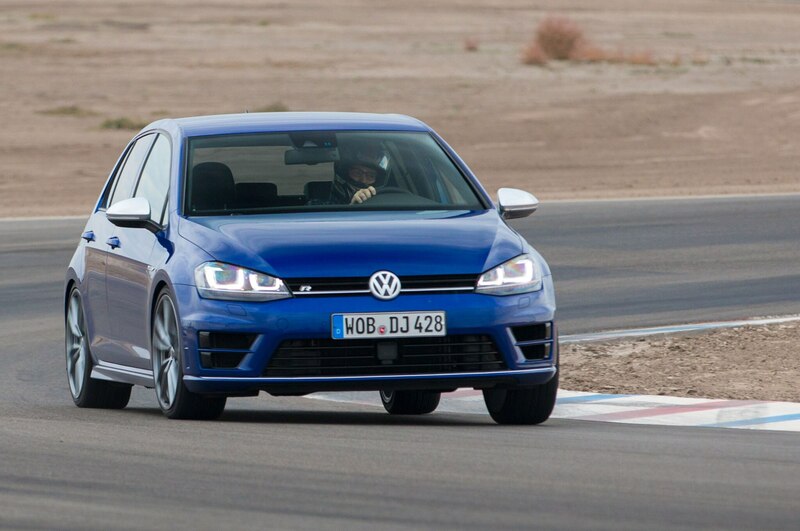 You can have your Golf R with a manual transmission — Volkswagen expects about half of Golf R owners will once the 2016 model arrives in September — but the DSG-equipped R is just as fun as the stick-shift models we drove on tracks, and it’s quicker to 60 mph by almost half a second. 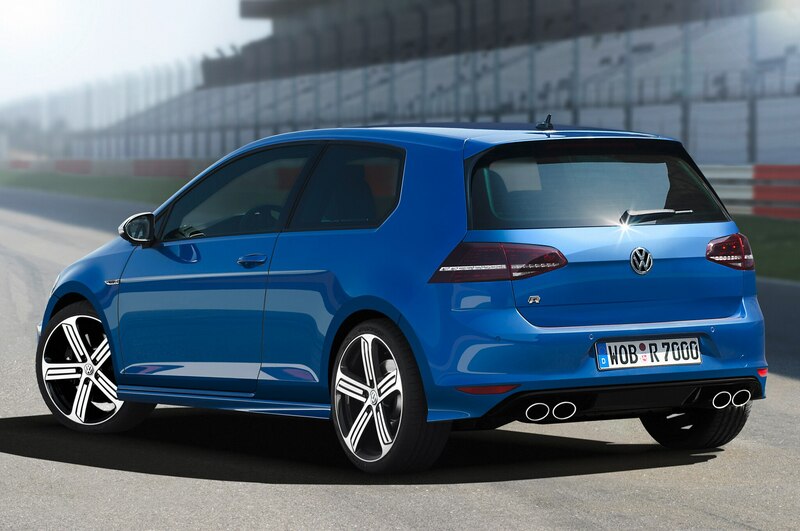 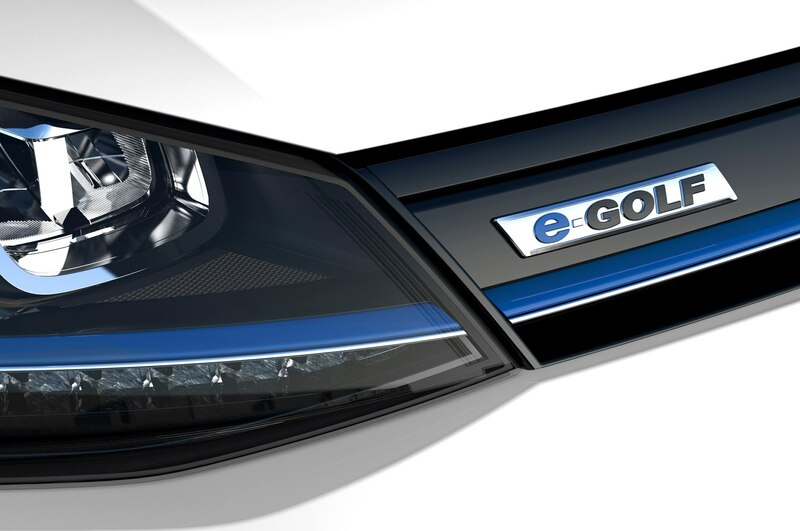 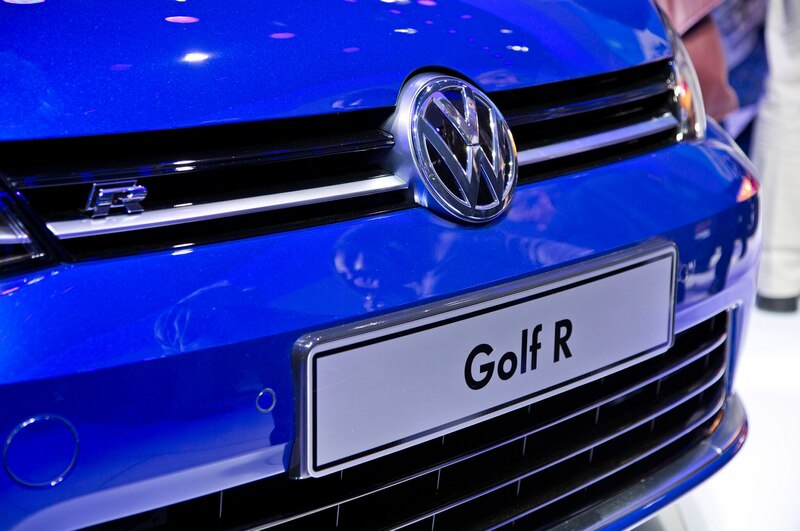 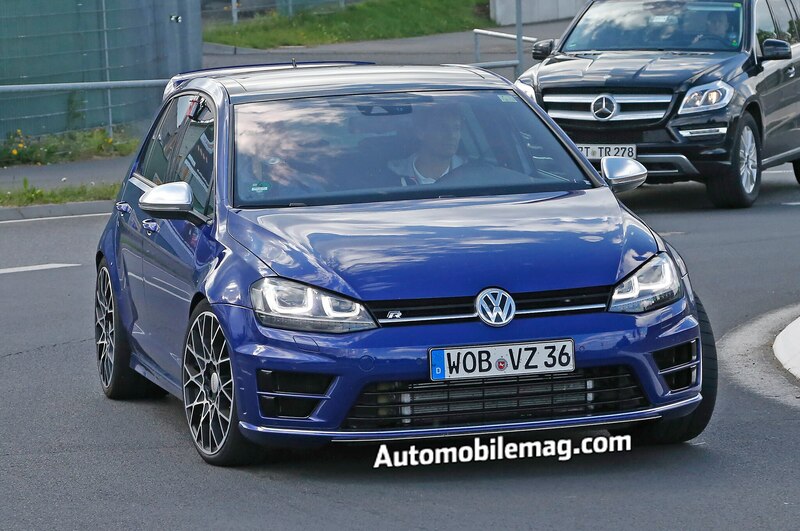 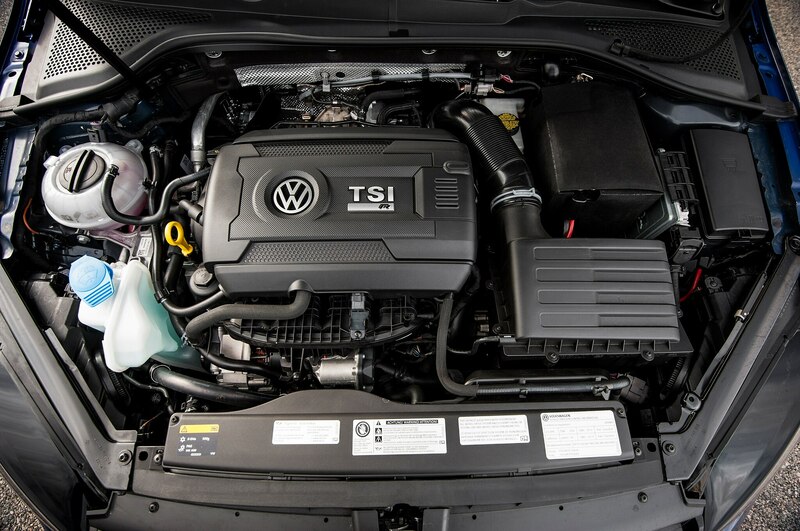 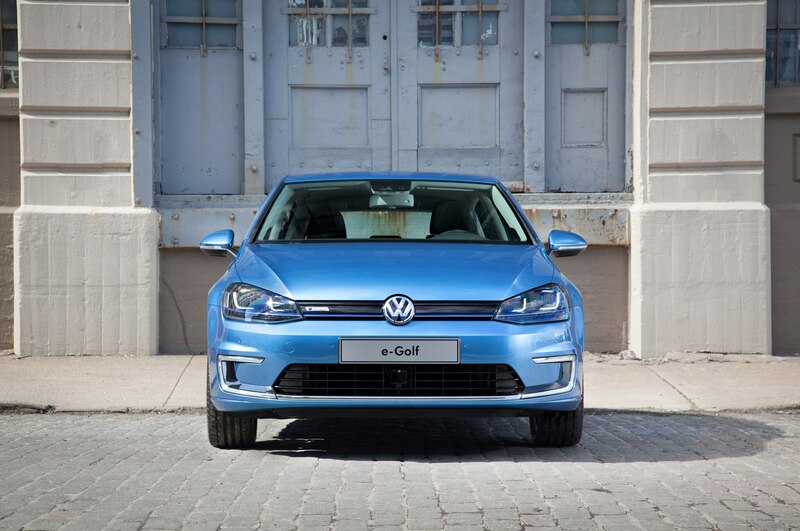 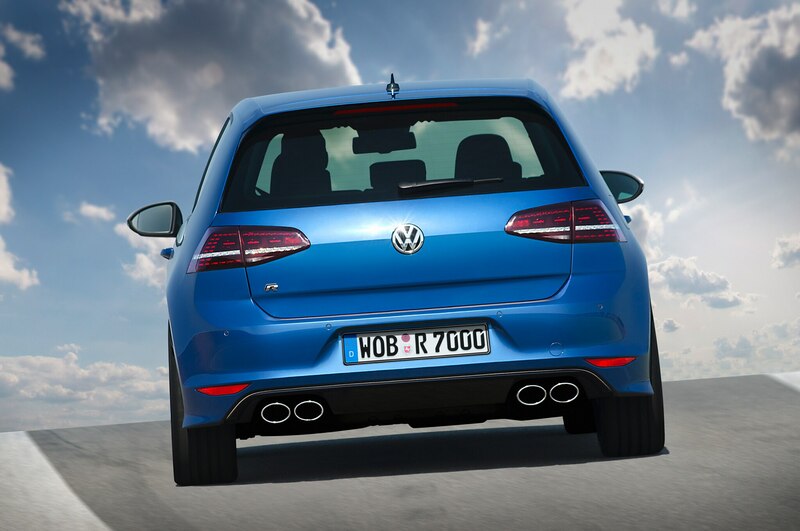 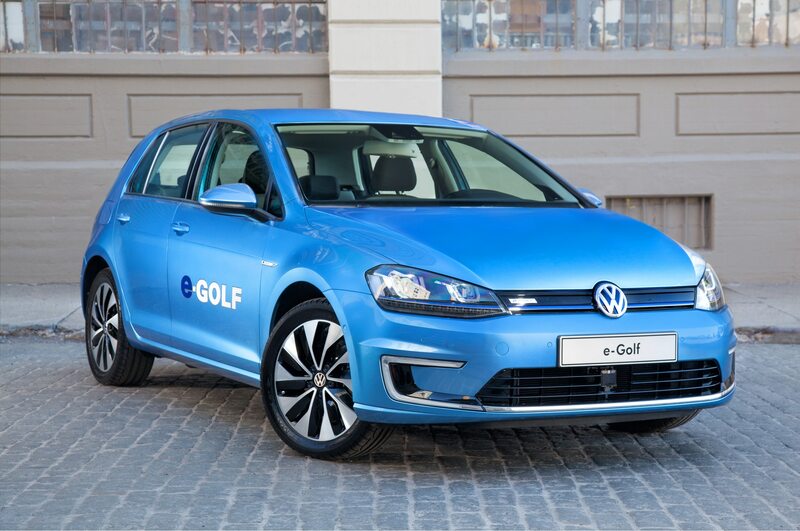 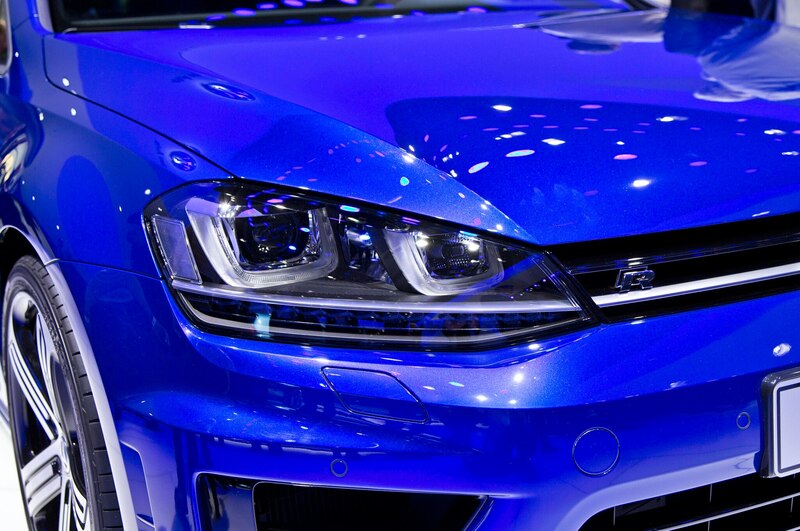 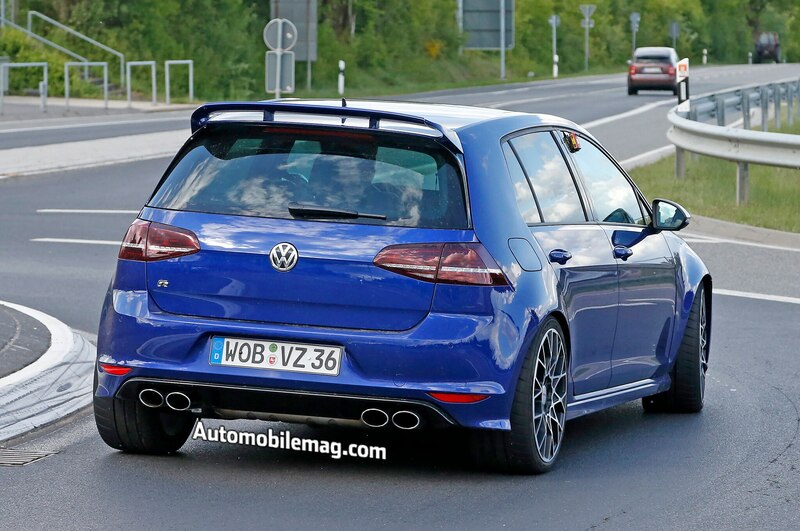 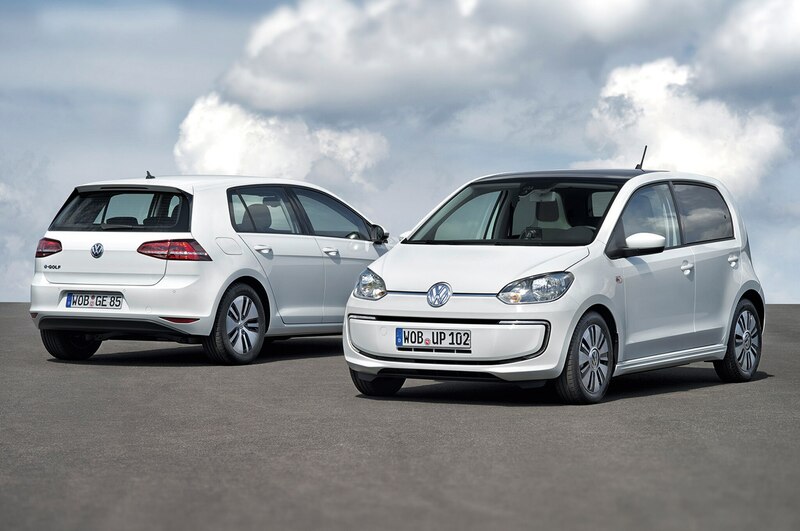 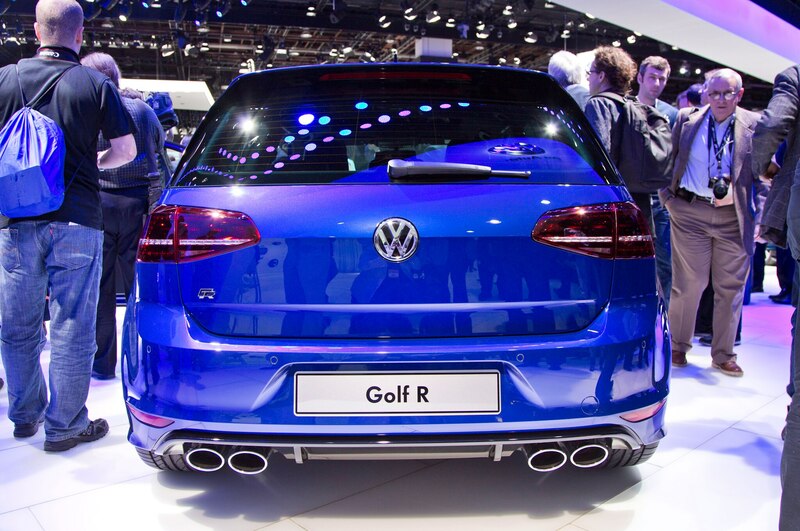 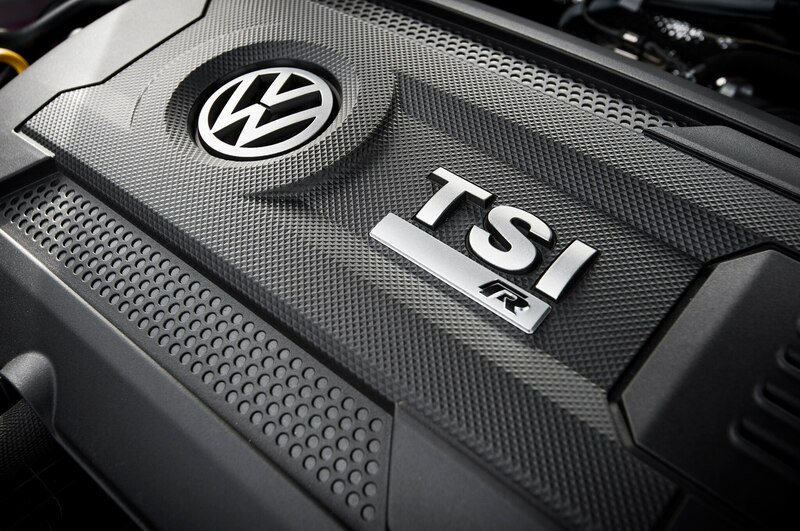 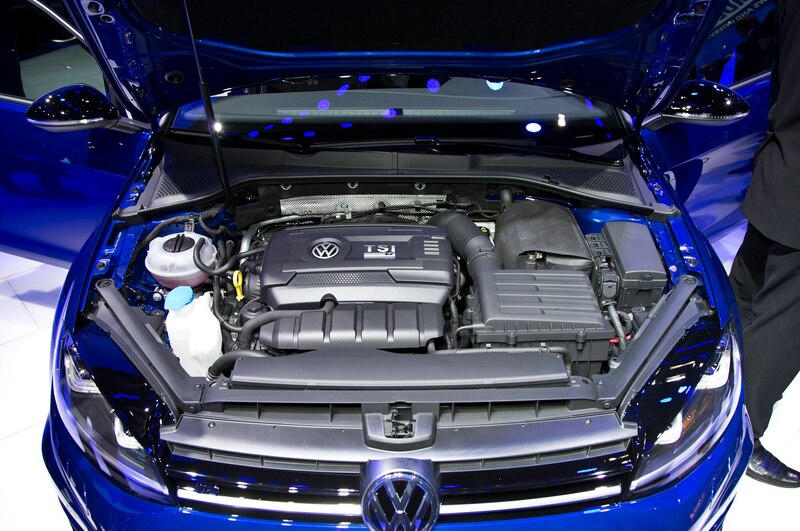 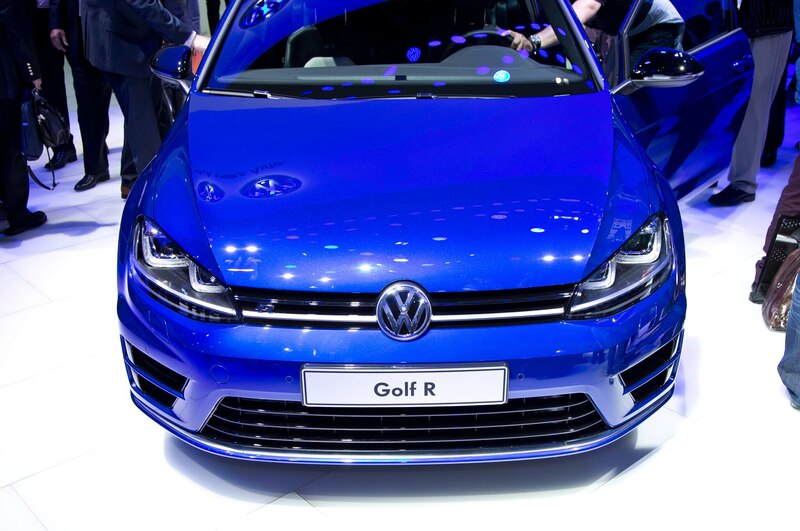 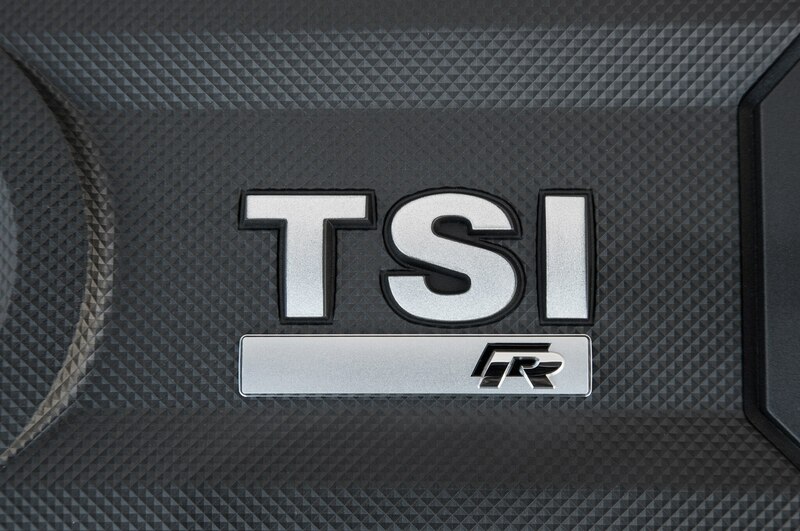 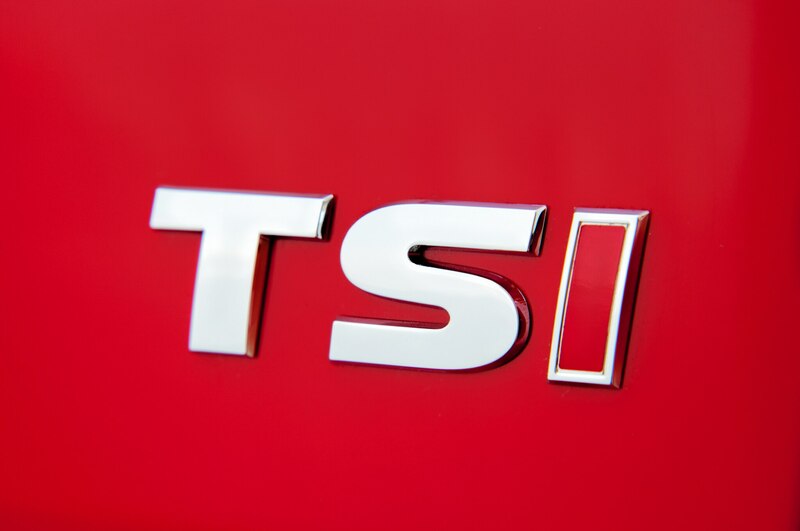 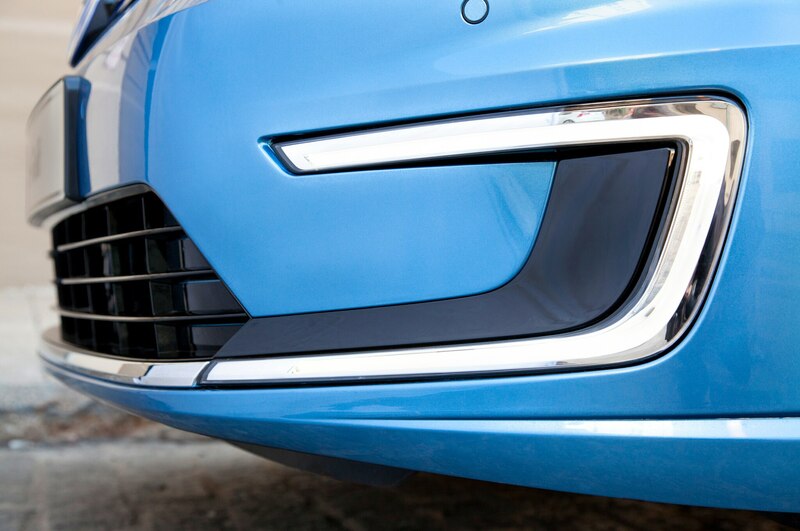 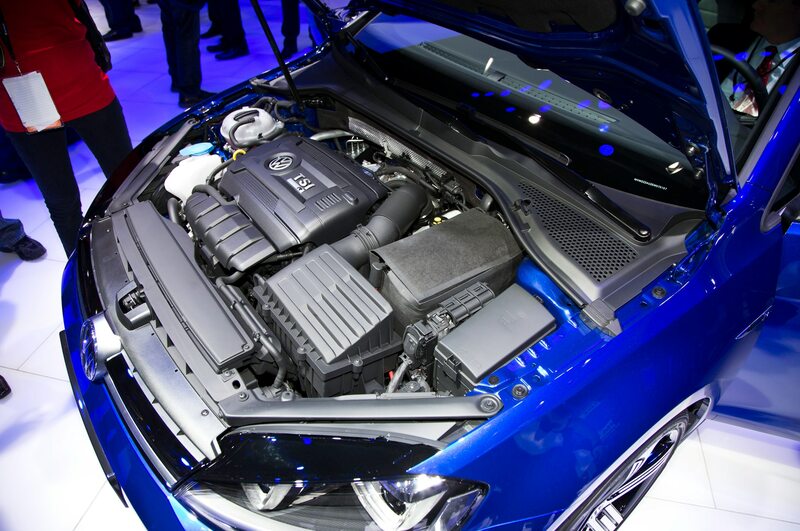 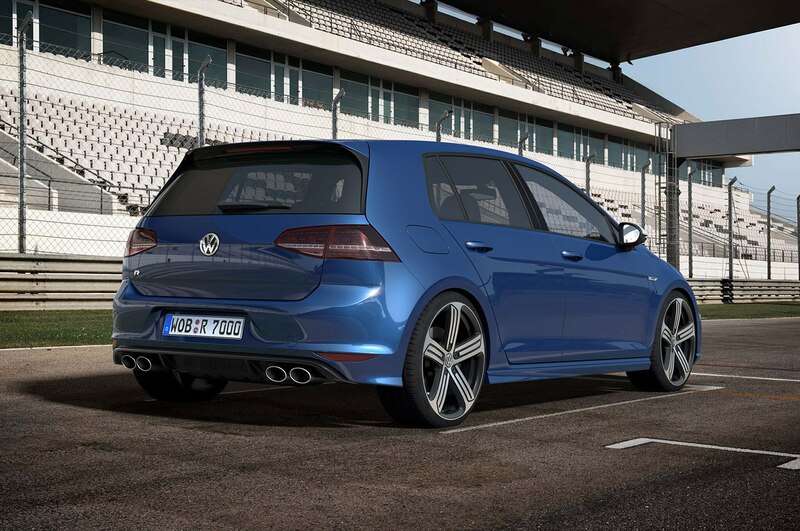 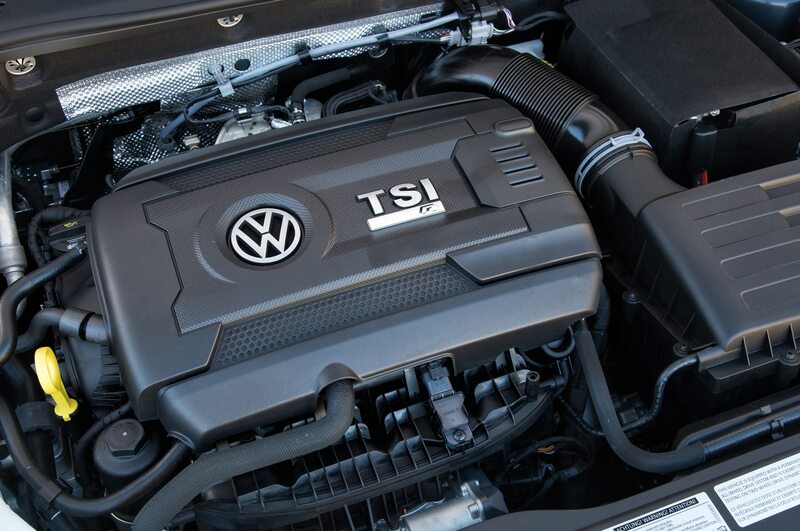 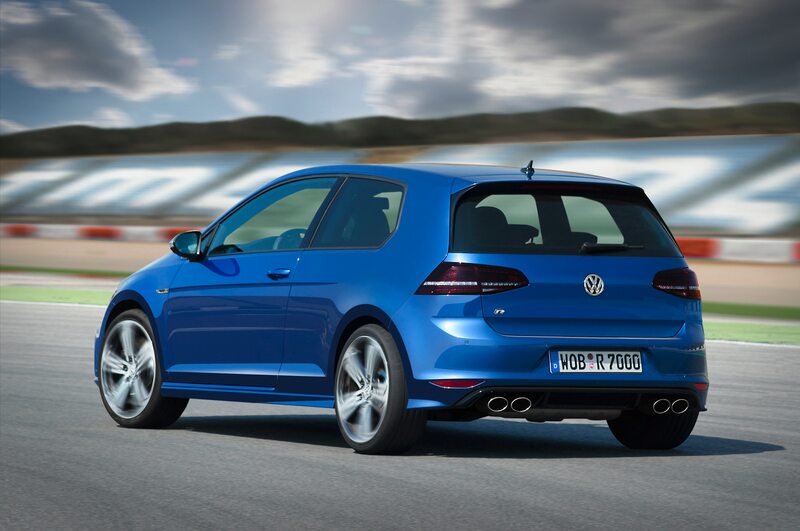 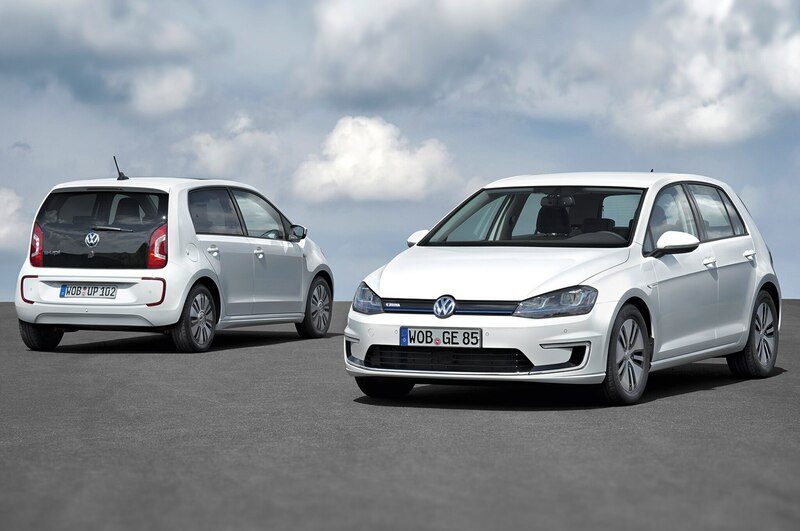 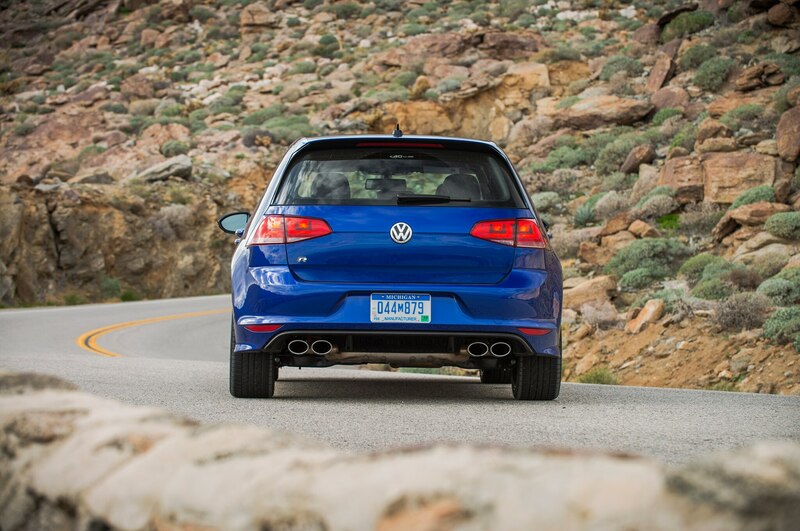 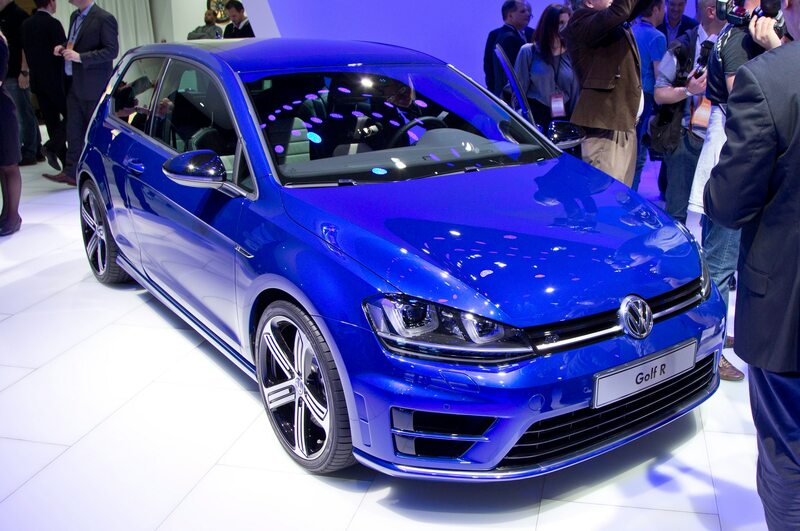 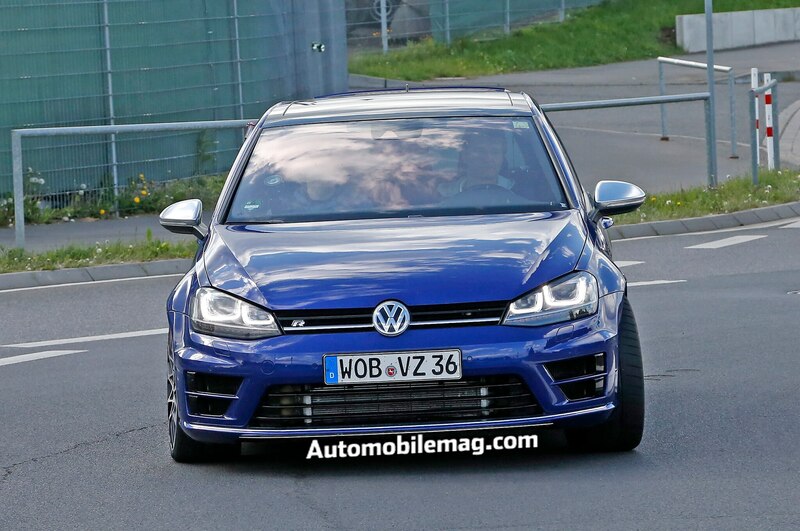 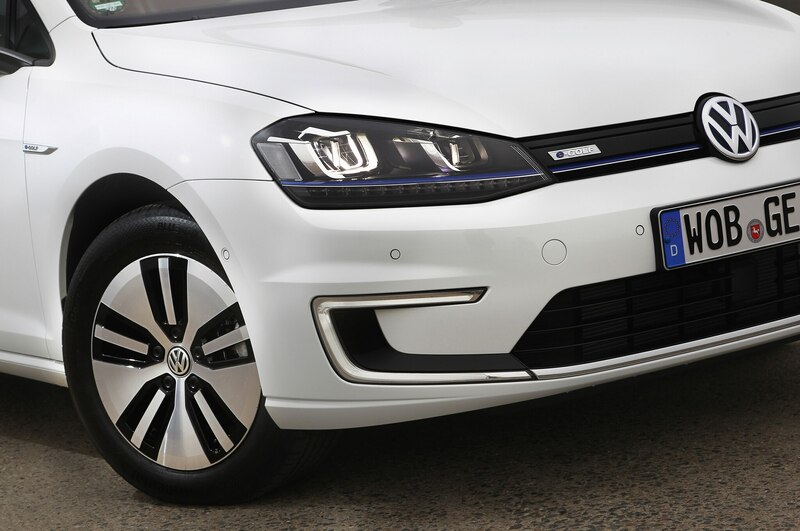 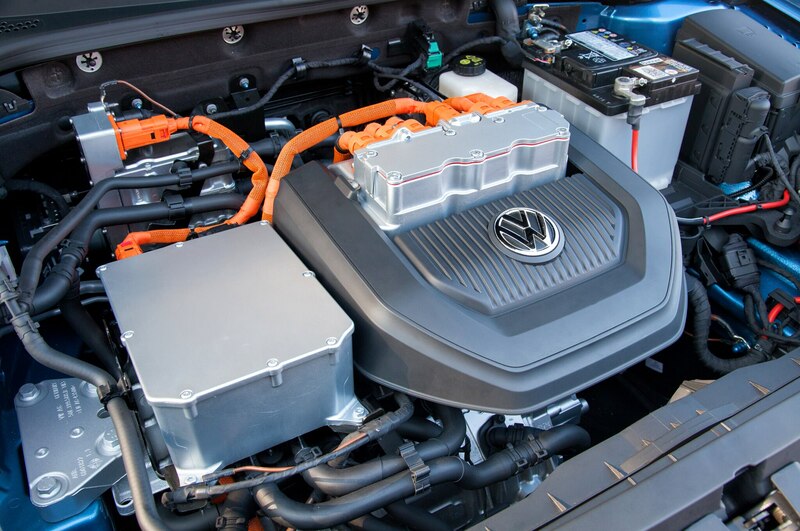 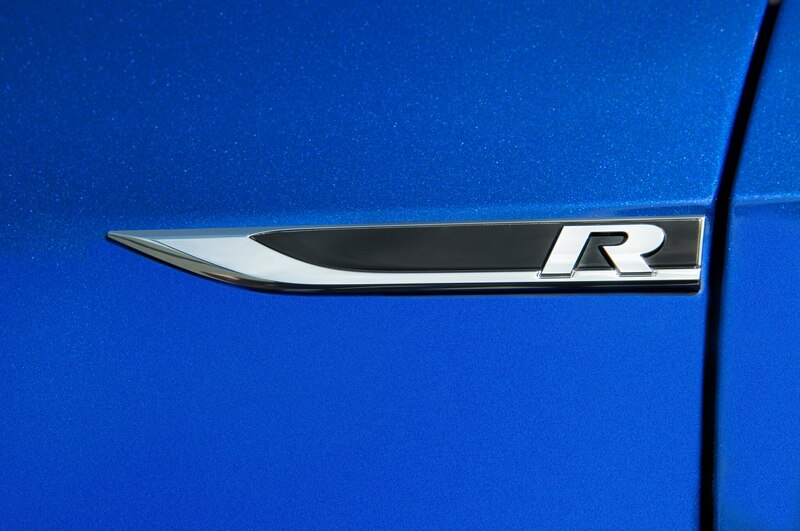 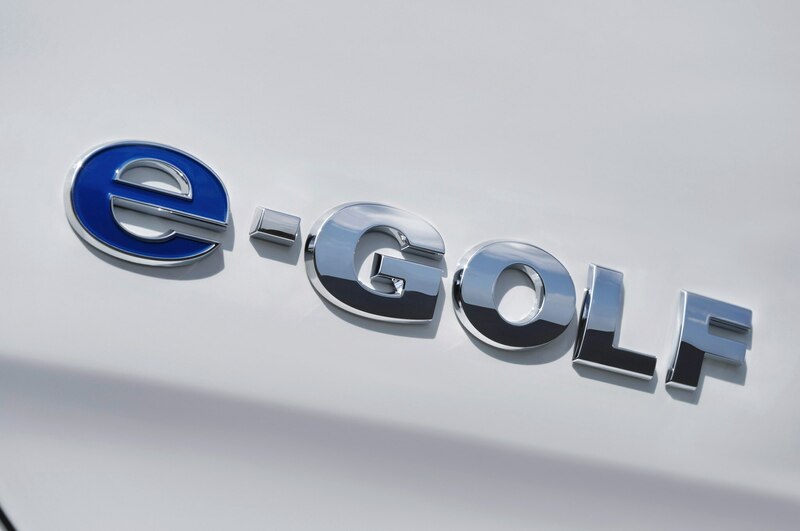 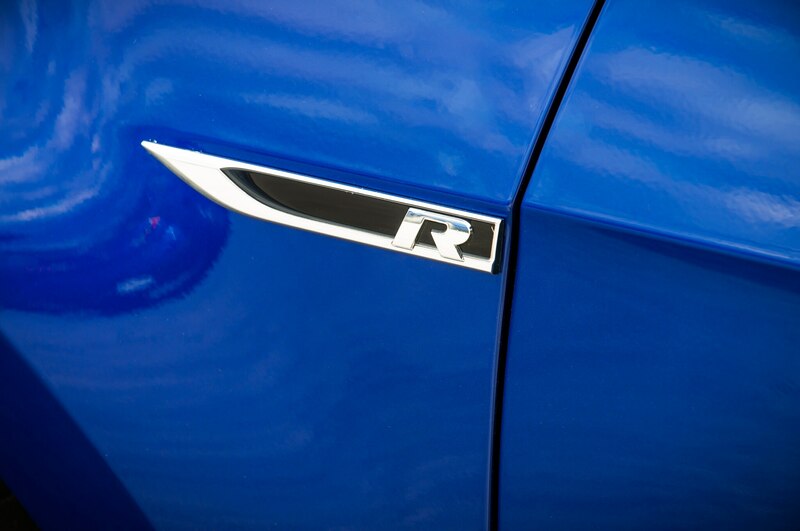 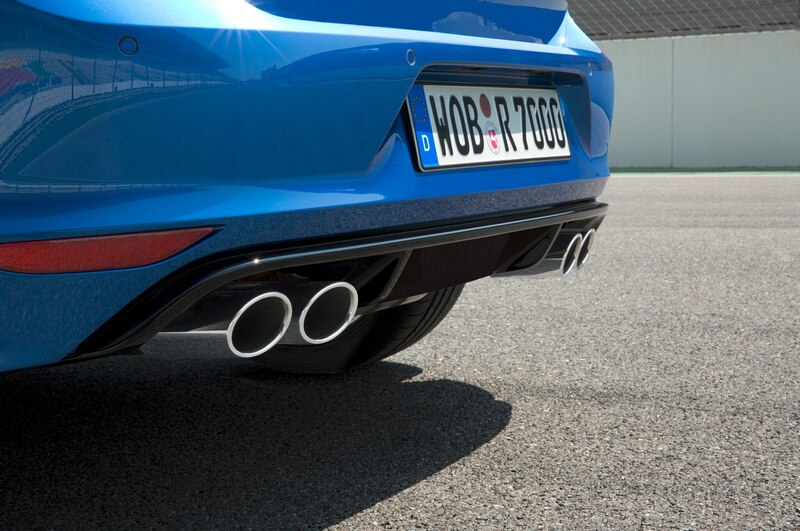 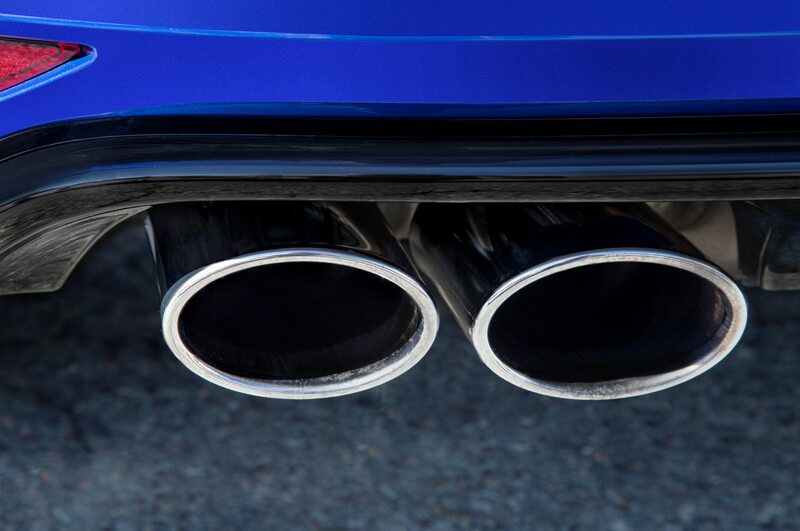 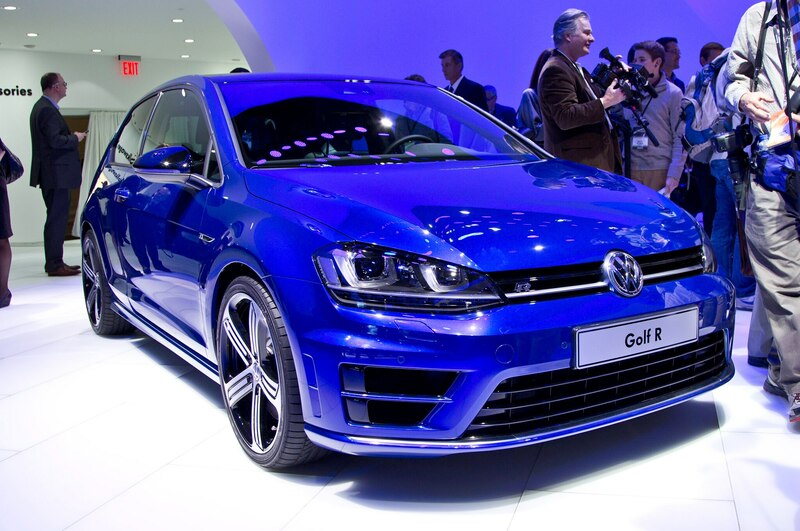 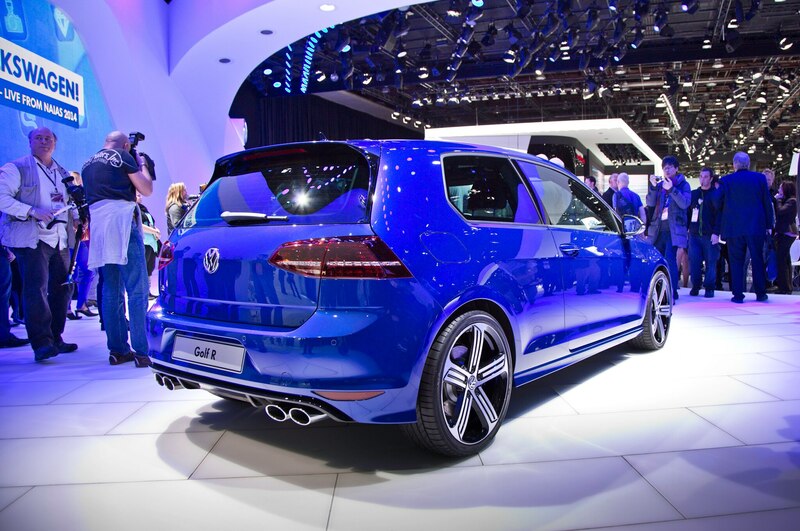 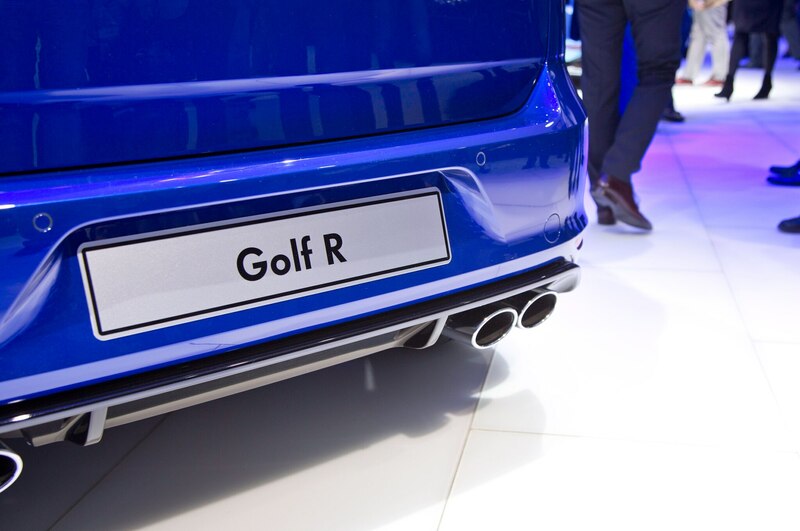 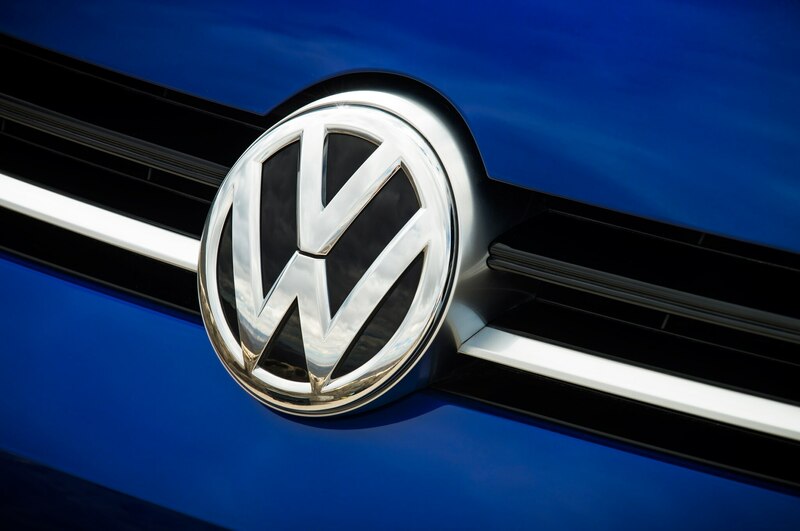 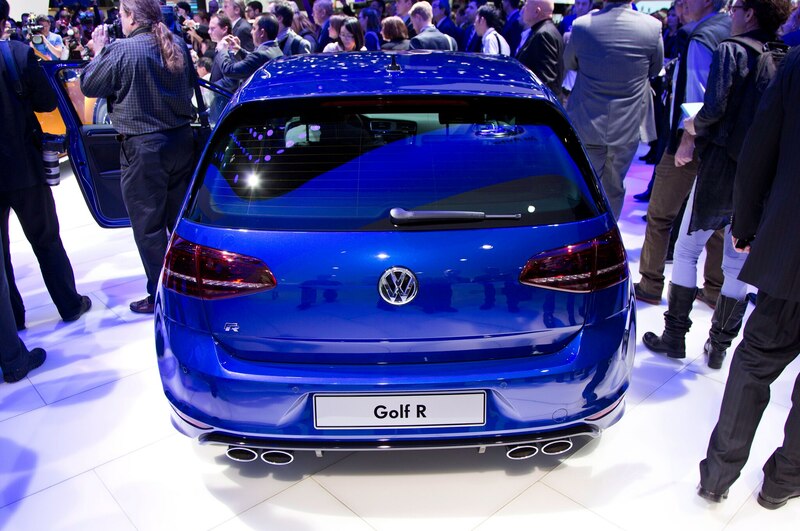 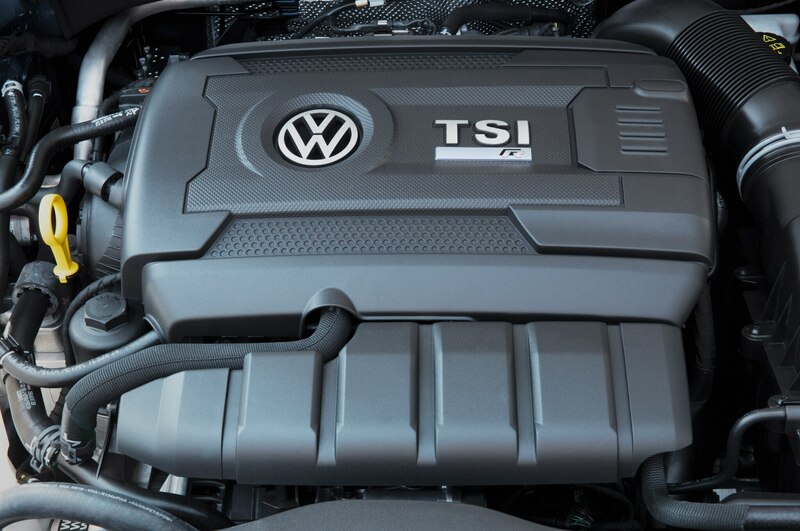 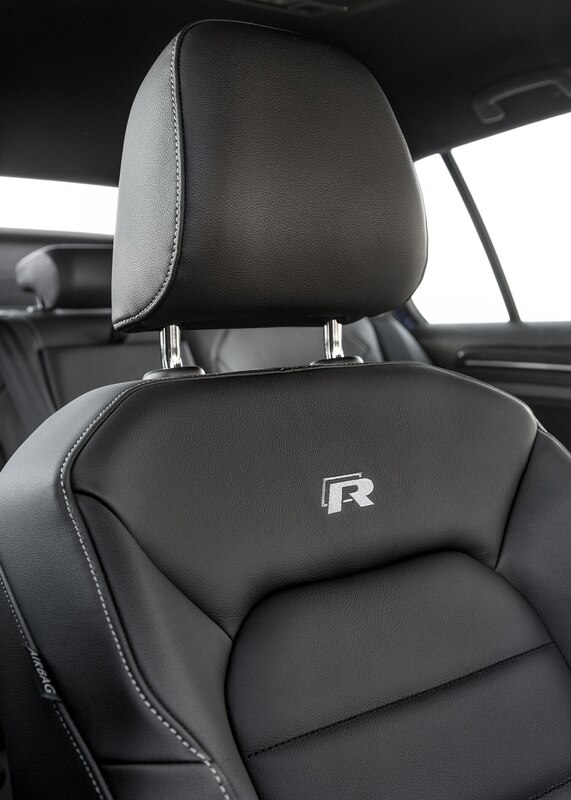 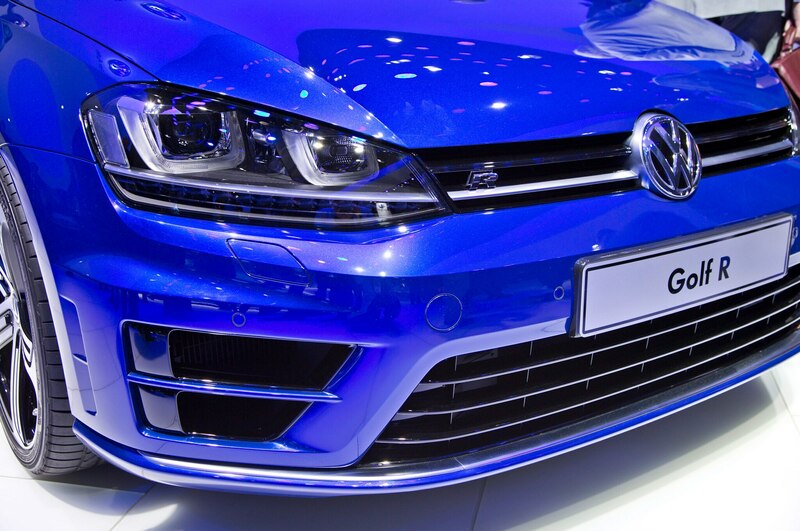 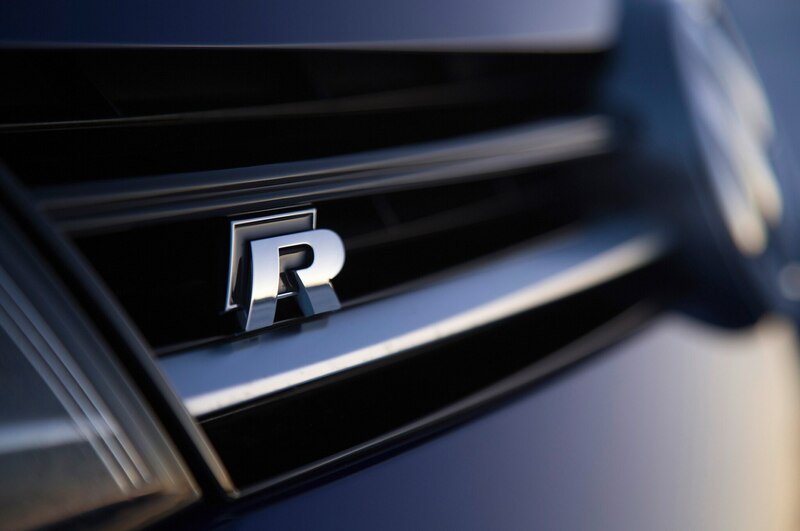 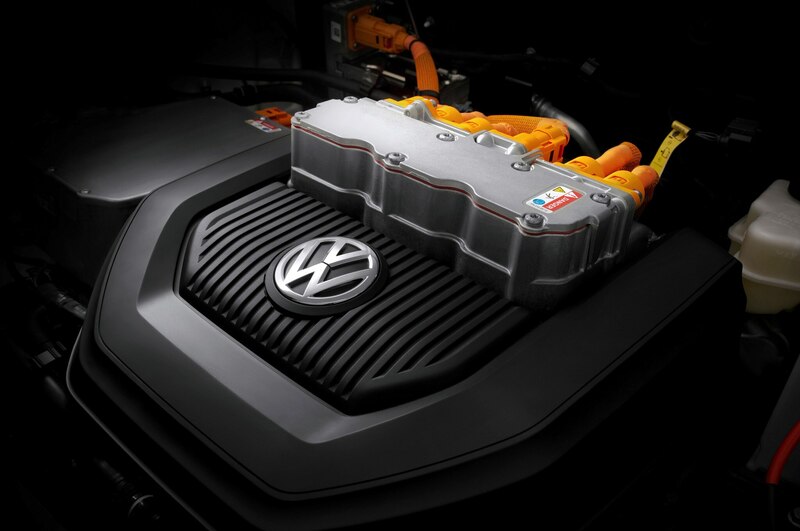 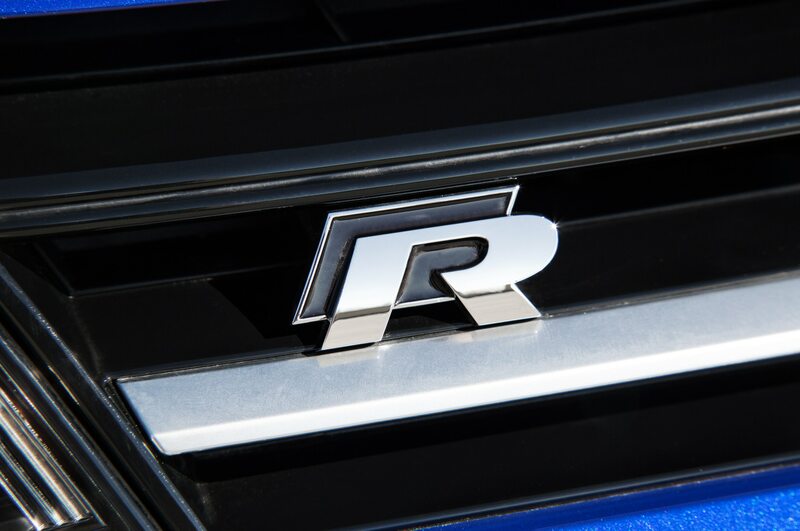 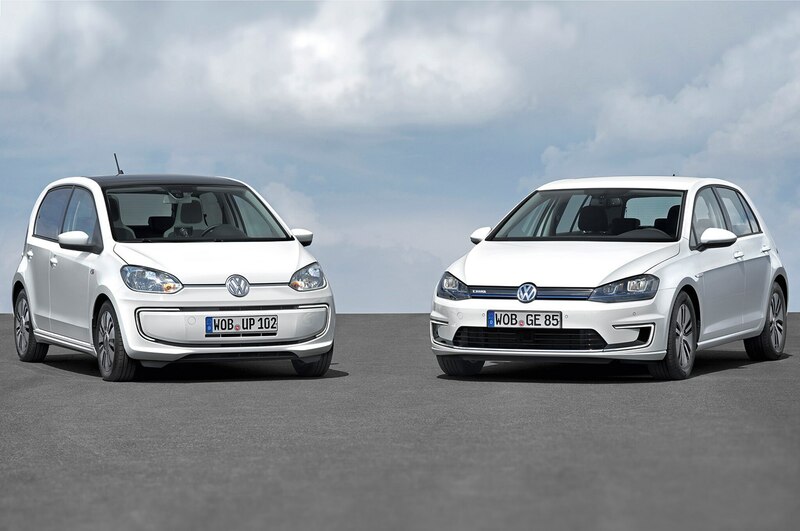 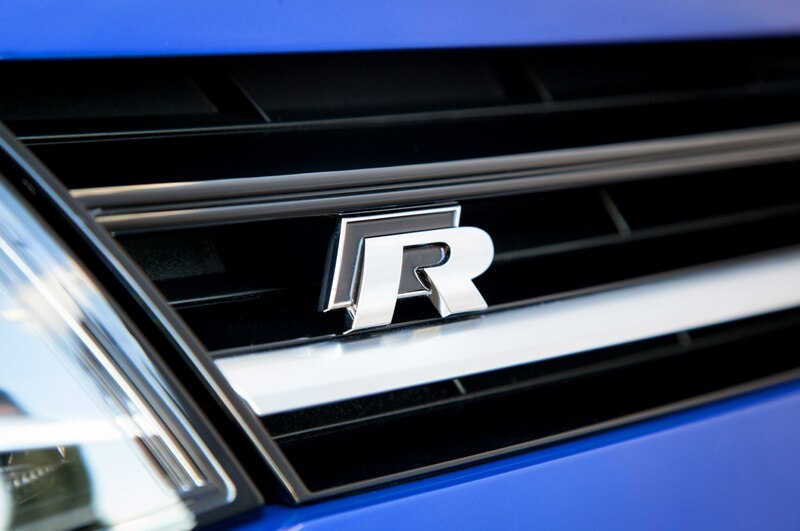 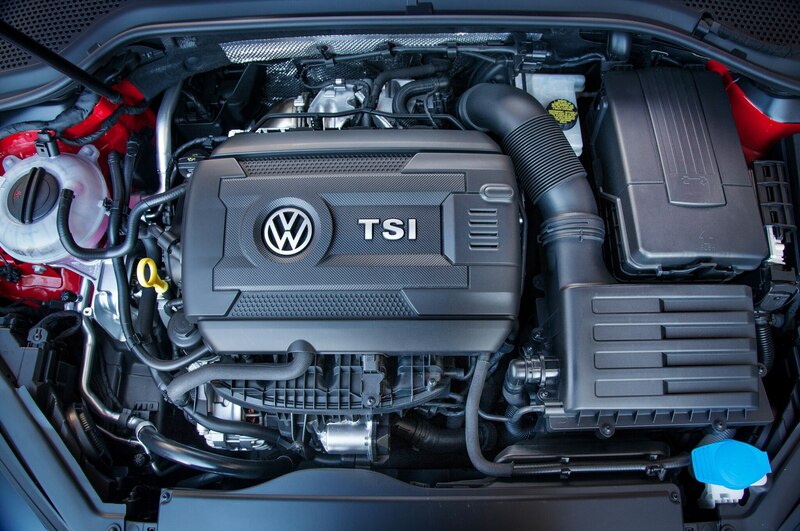 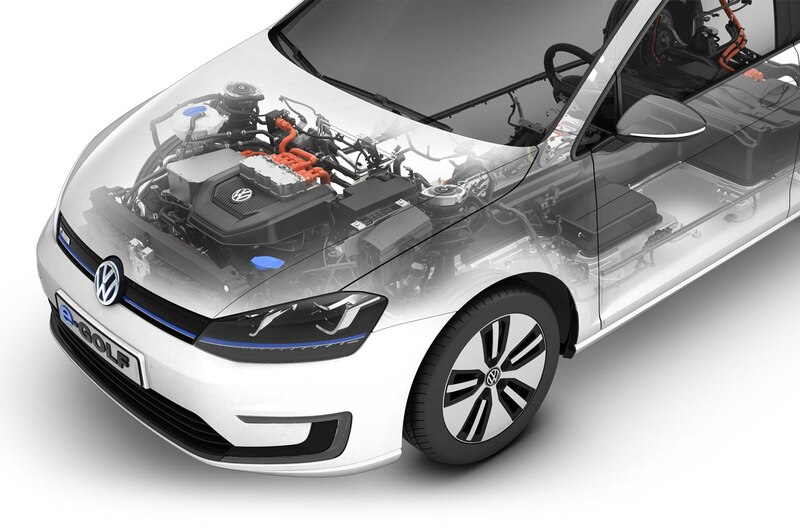 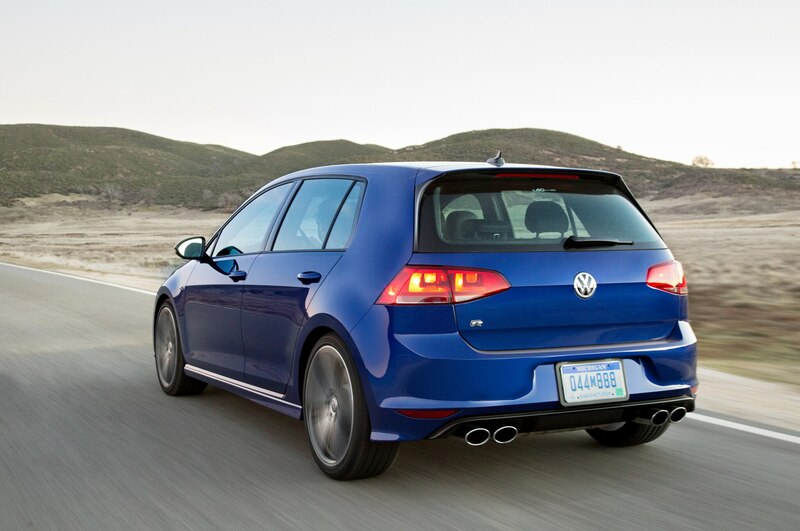 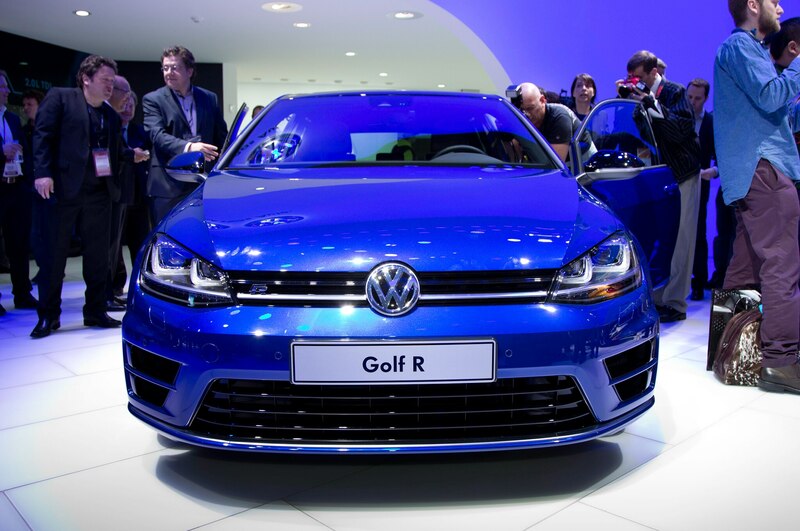 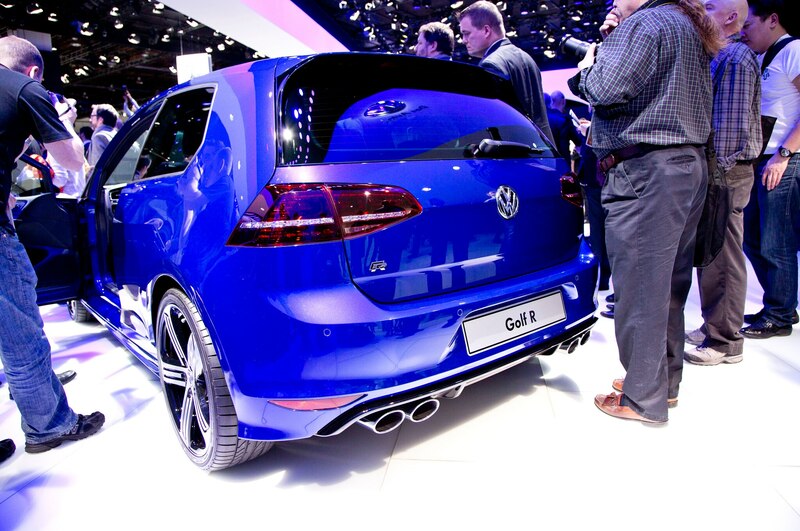 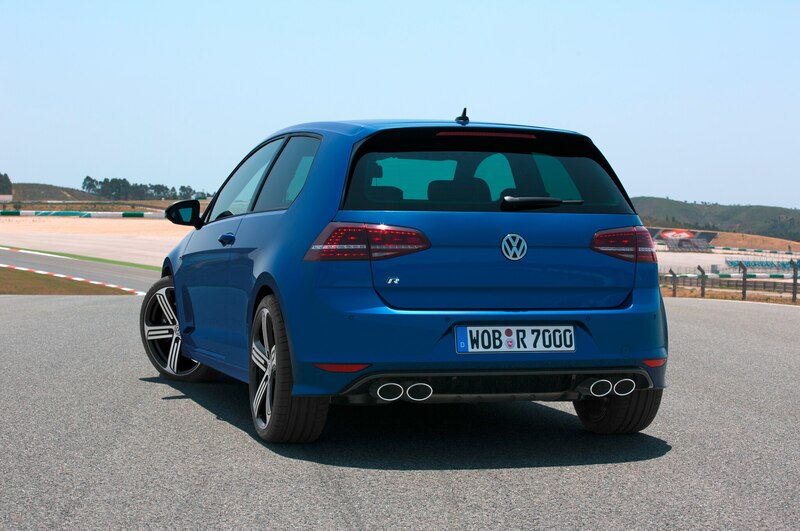 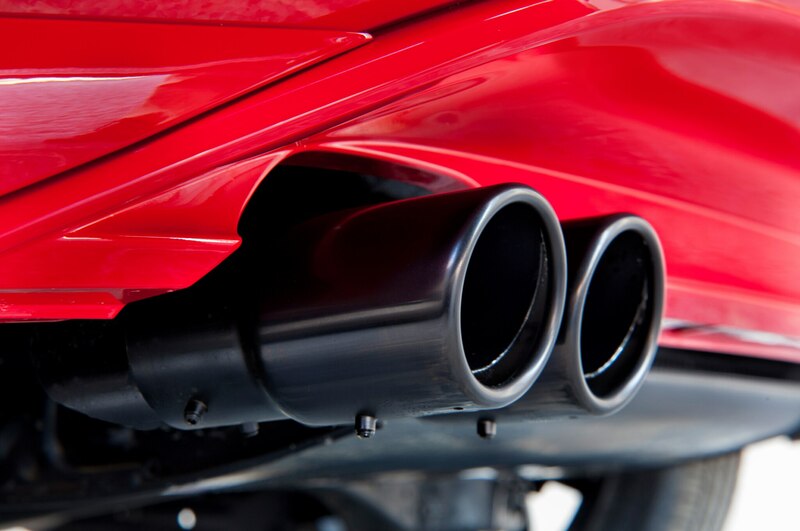 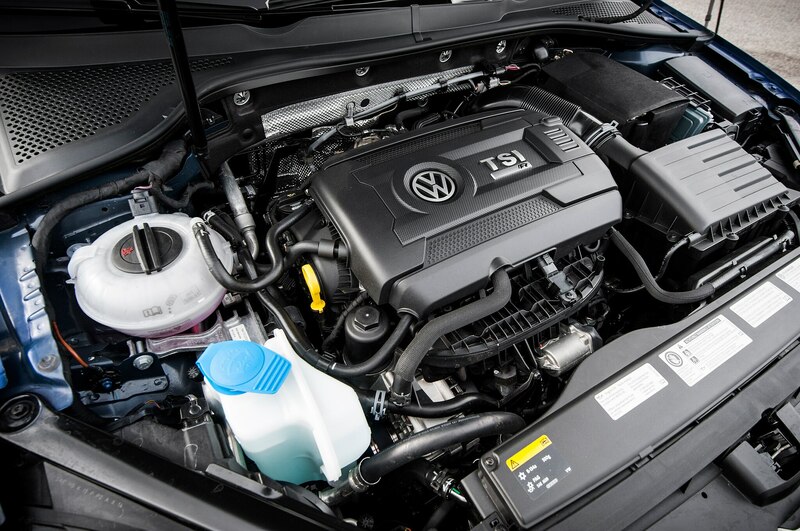 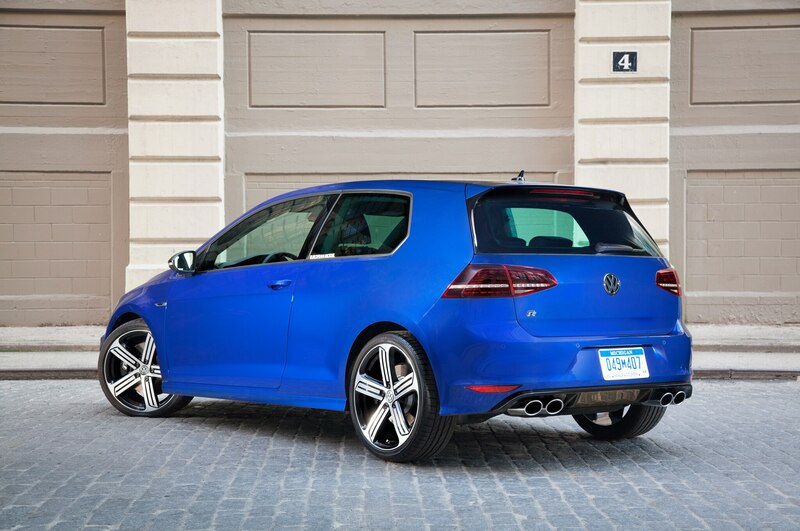 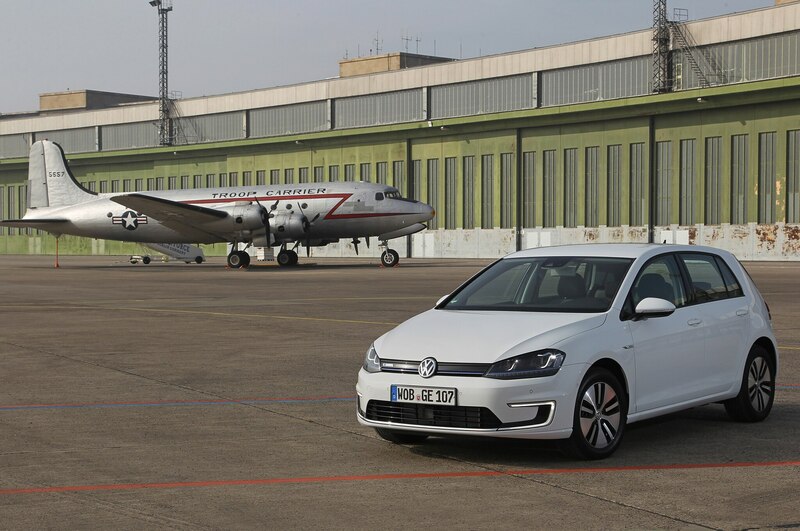 Larger air intakes, quad exhausts, sport seats, and a lower stance set the Golf R apart from other Golfs. 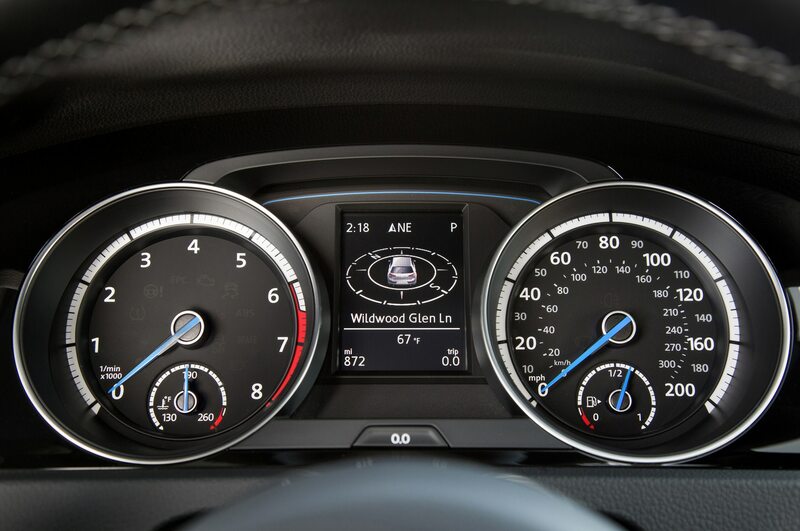 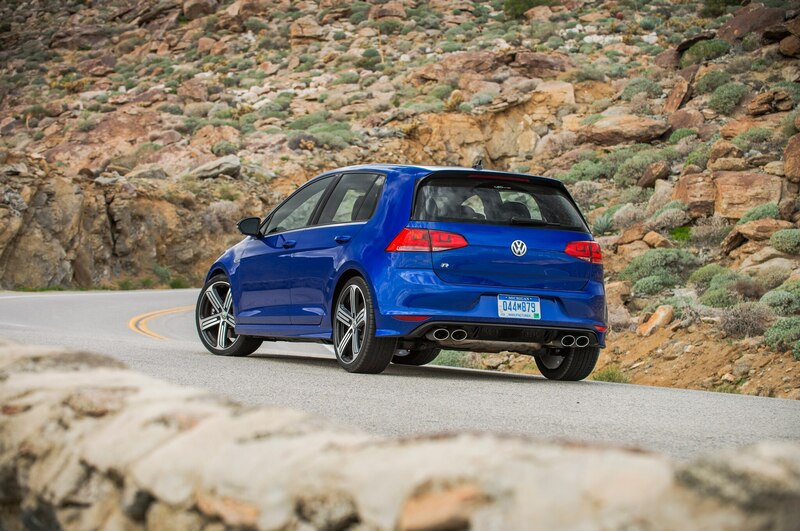 We roll on the accelerator, and the 2015 Volkswagen Golf R flicks forward, its 2.0-liter turbo-four pulling persistently through the rev range. 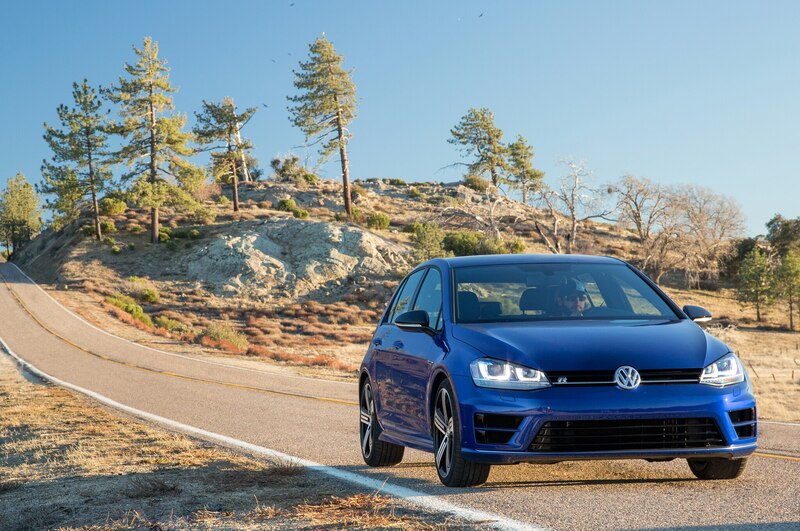 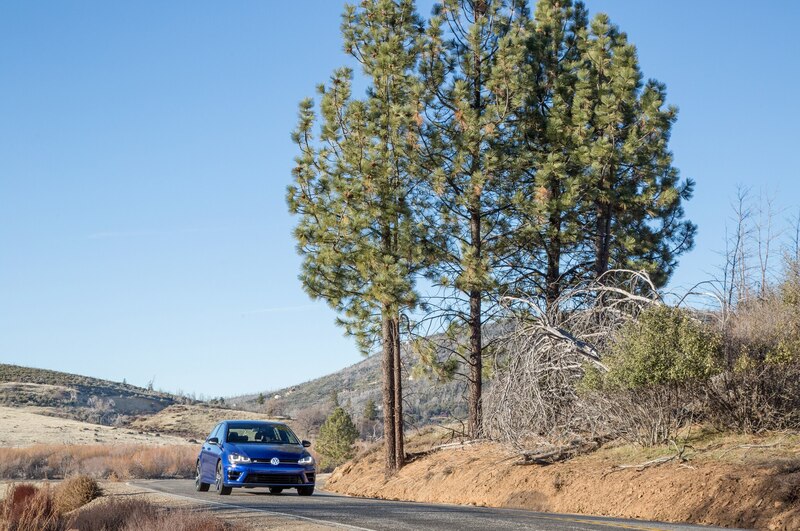 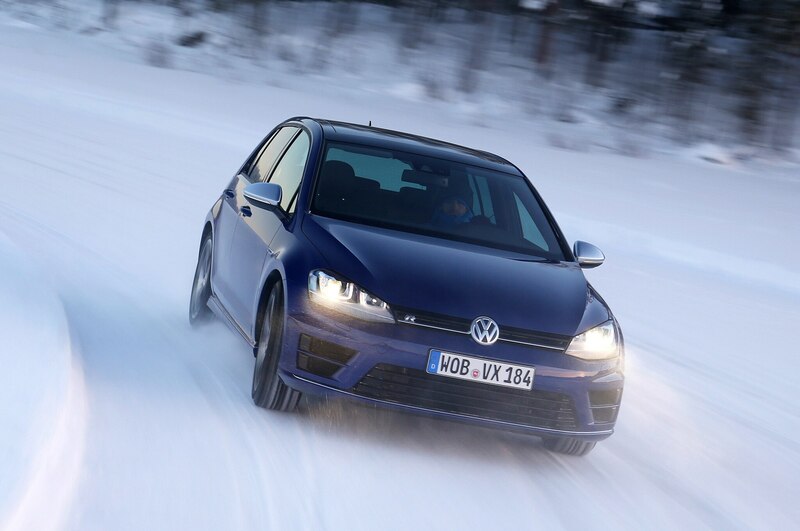 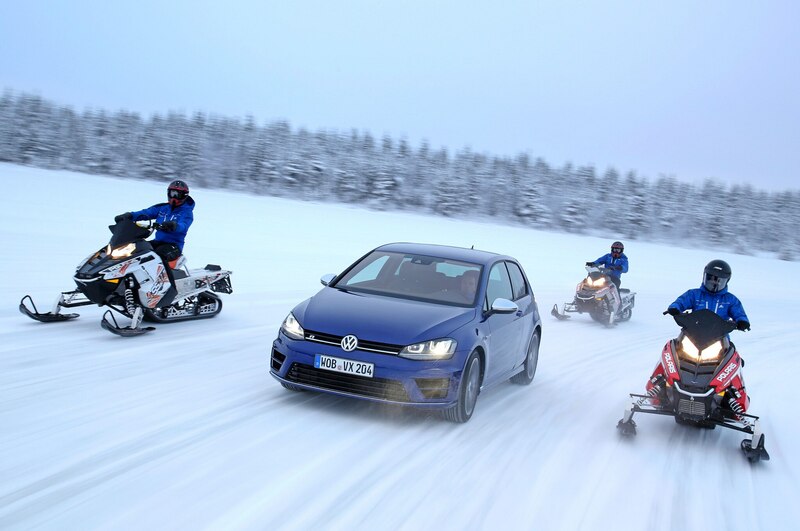 We continue accelerating through a switchback, the Golf R’s chassis soaking up the quick transitions, thanks in part to its adaptive suspension. 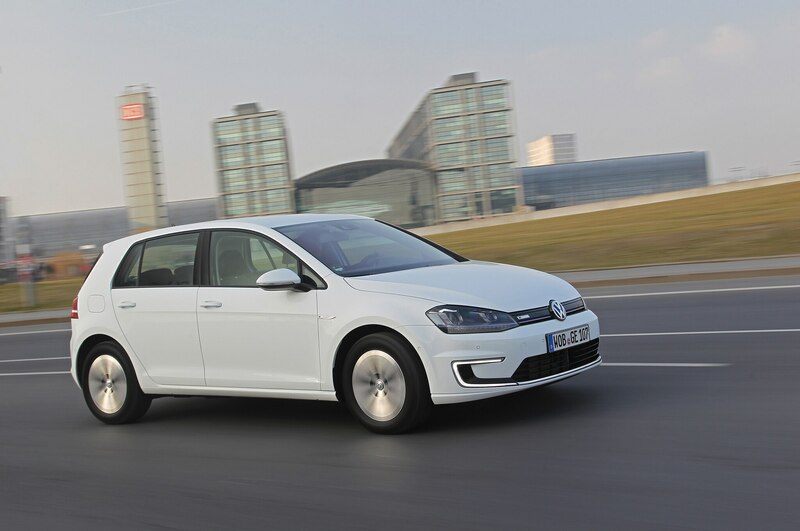 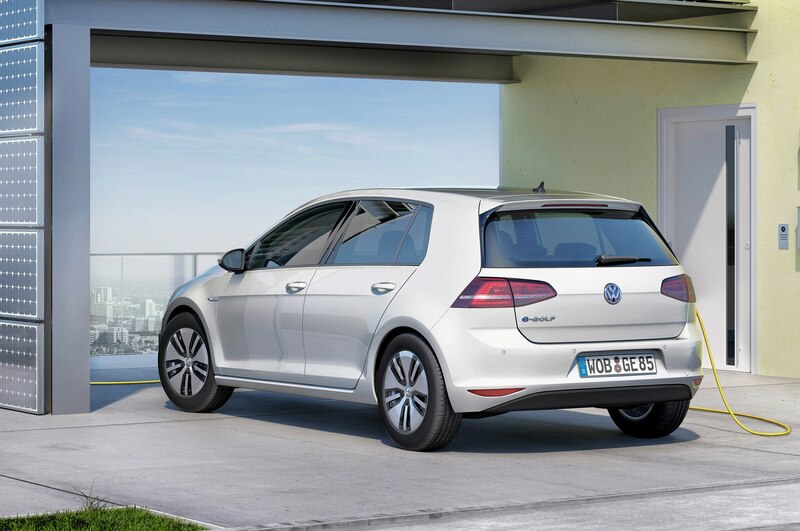 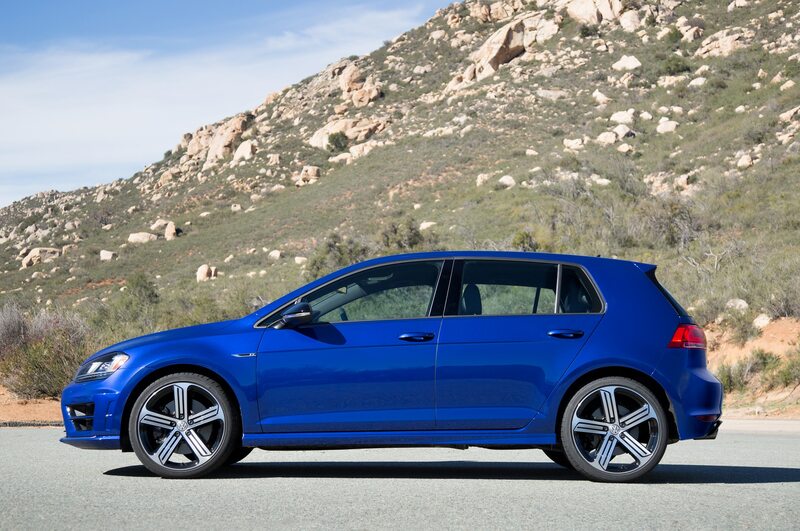 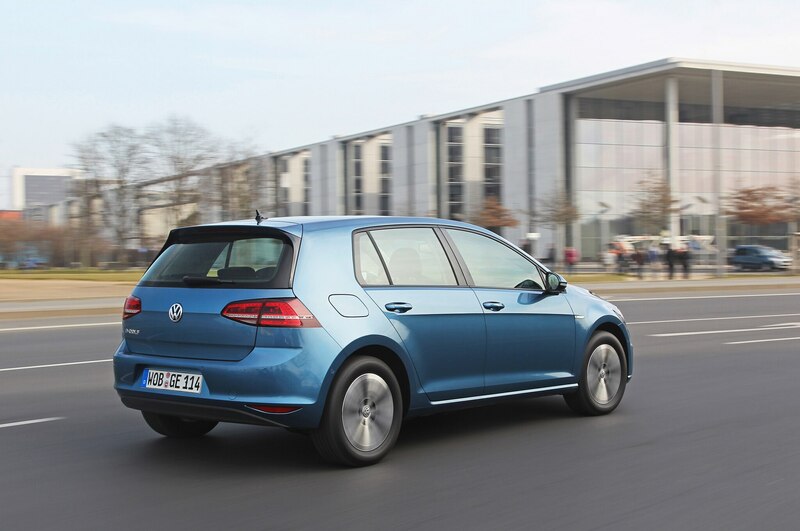 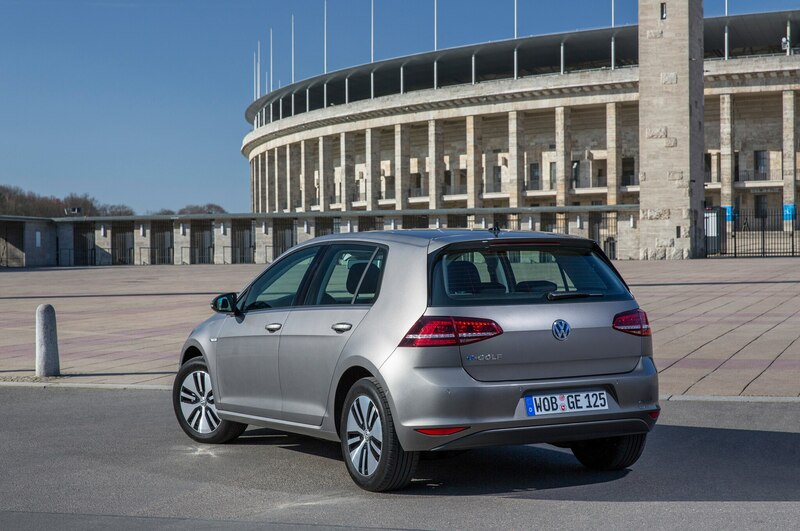 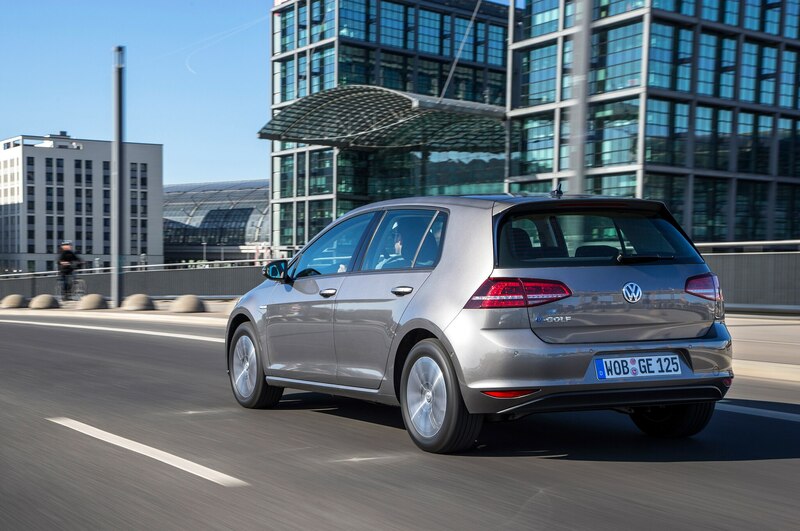 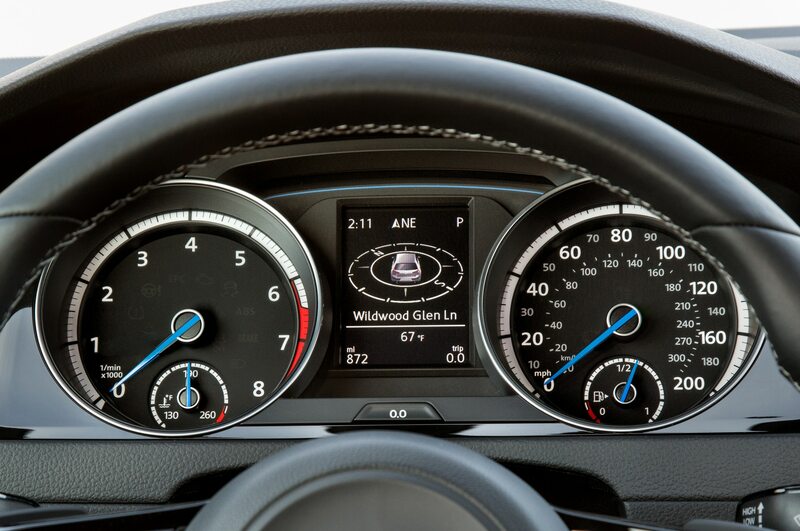 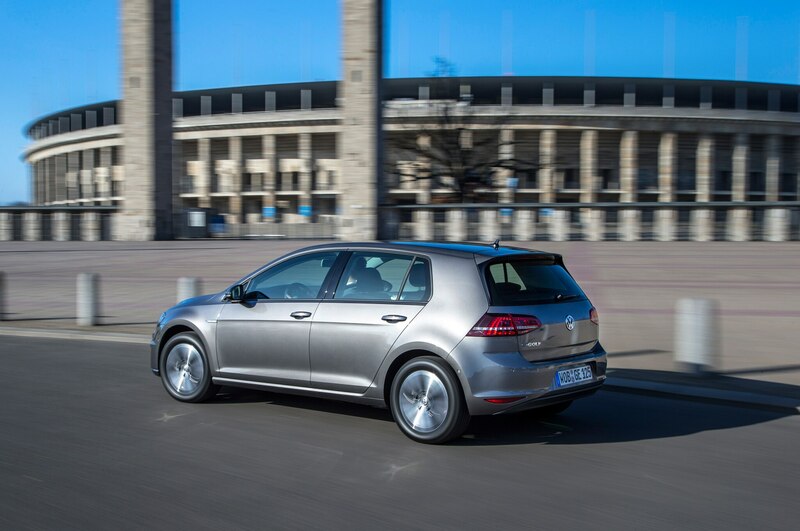 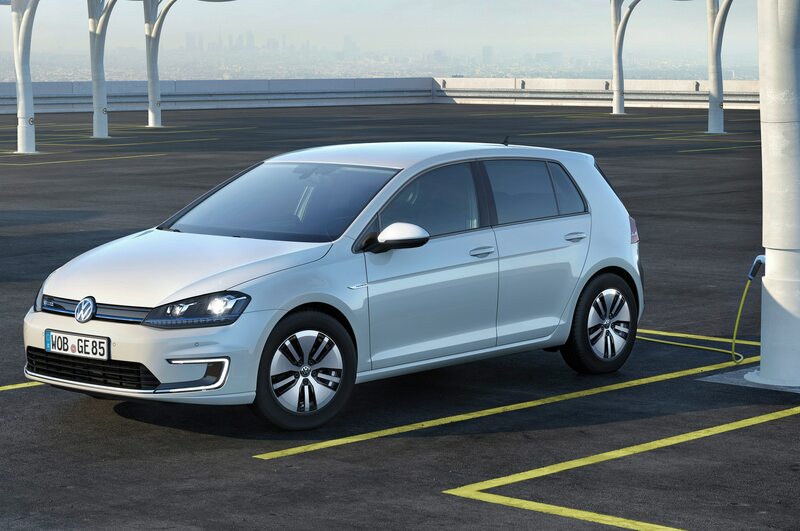 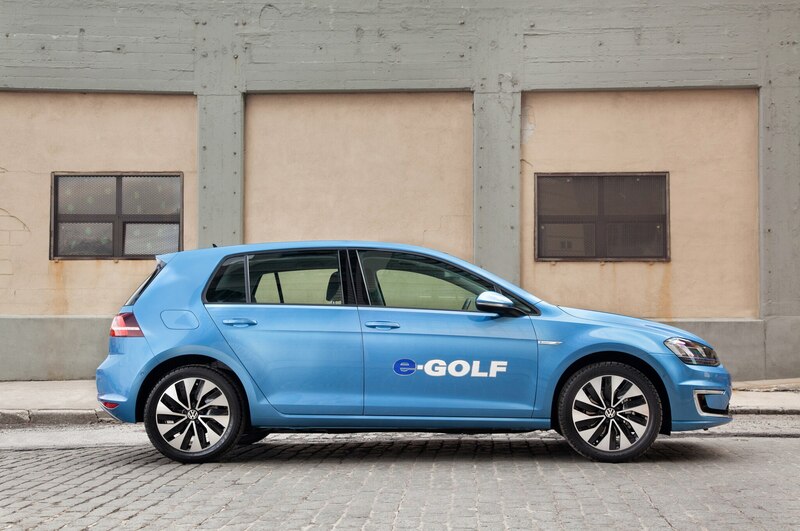 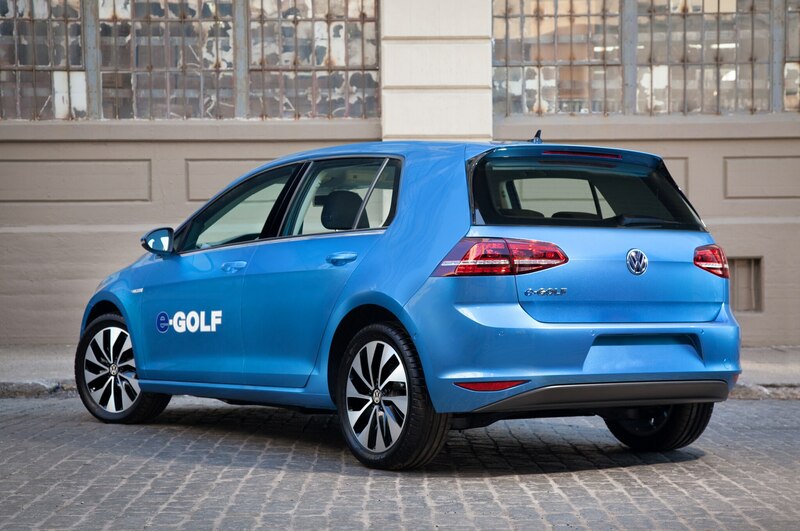 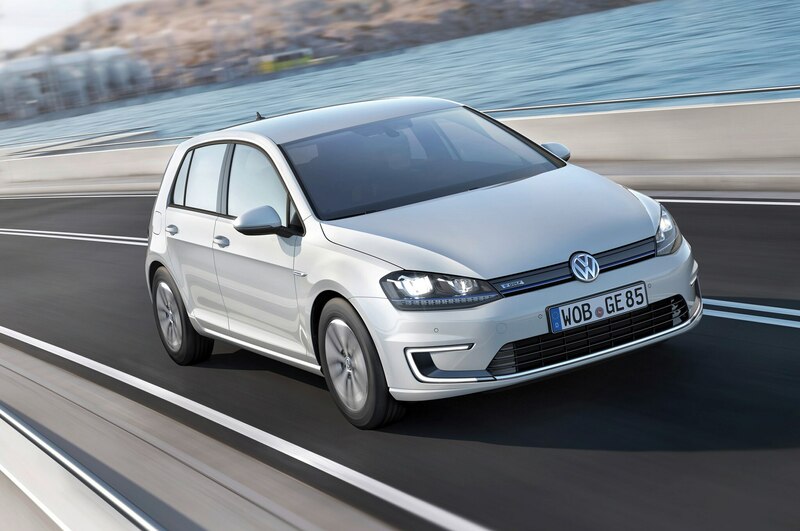 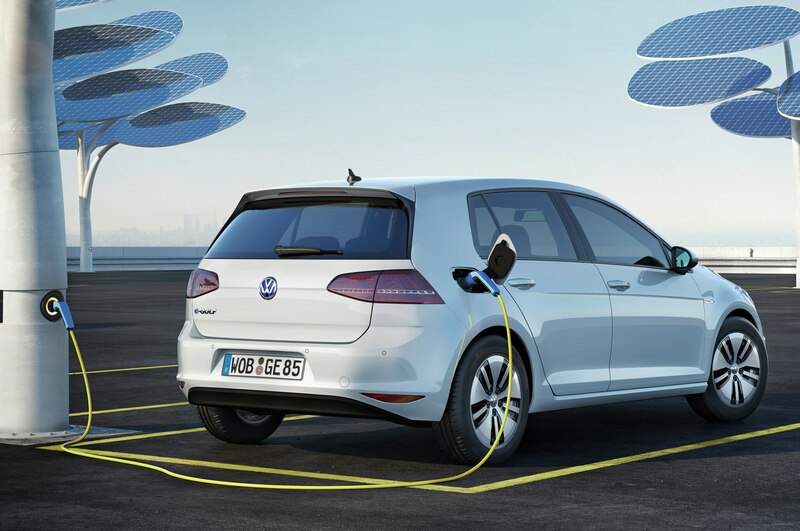 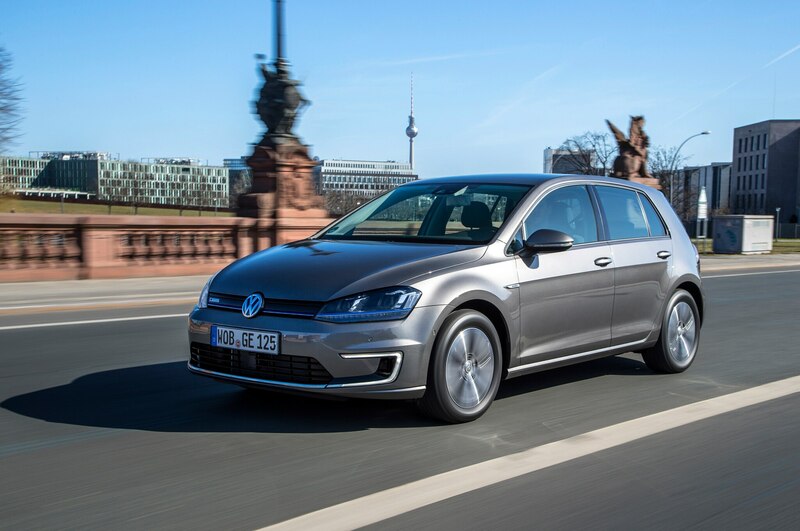 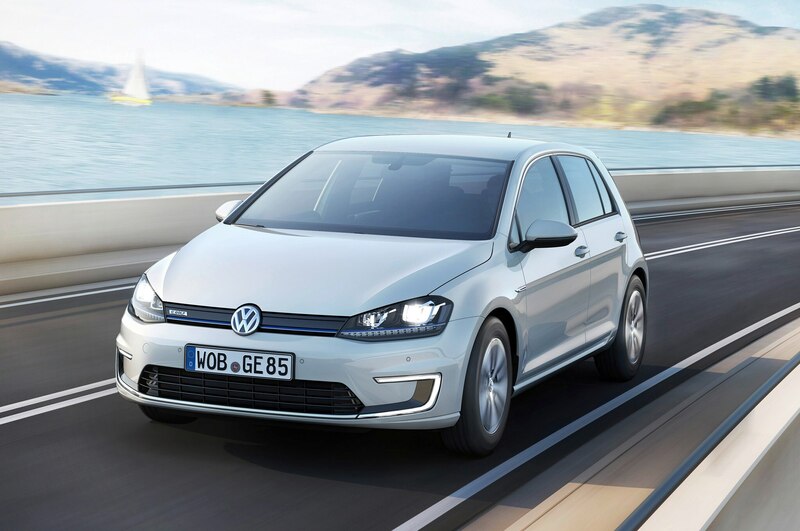 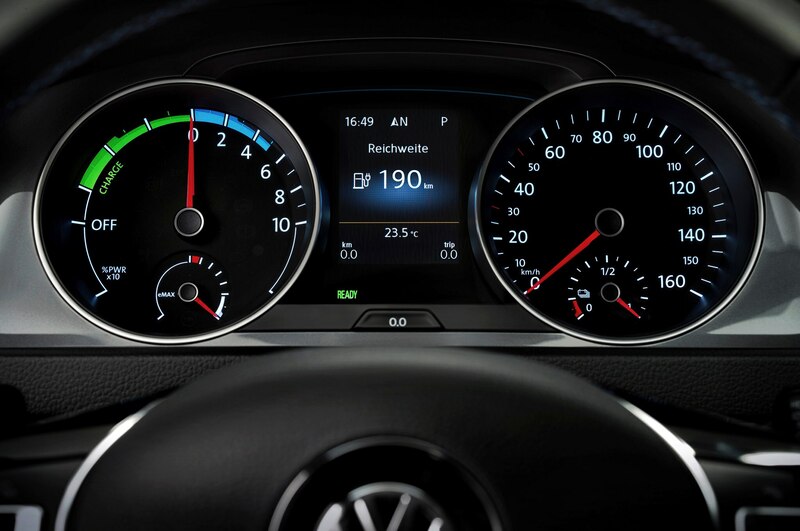 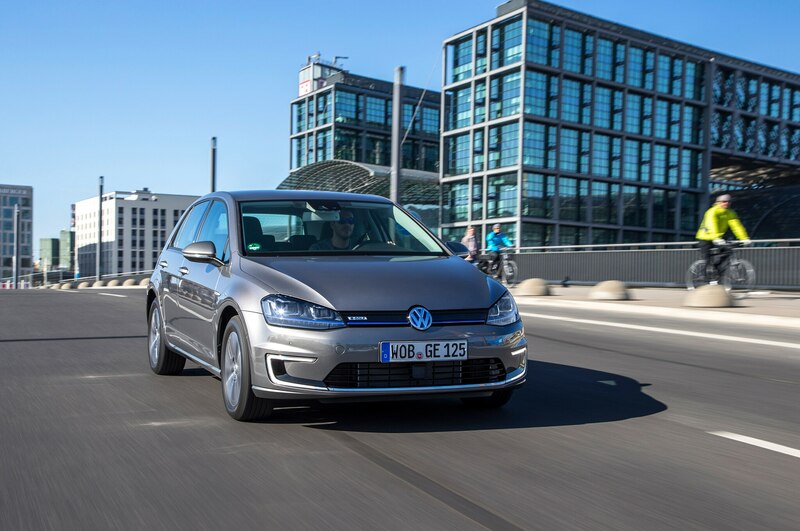 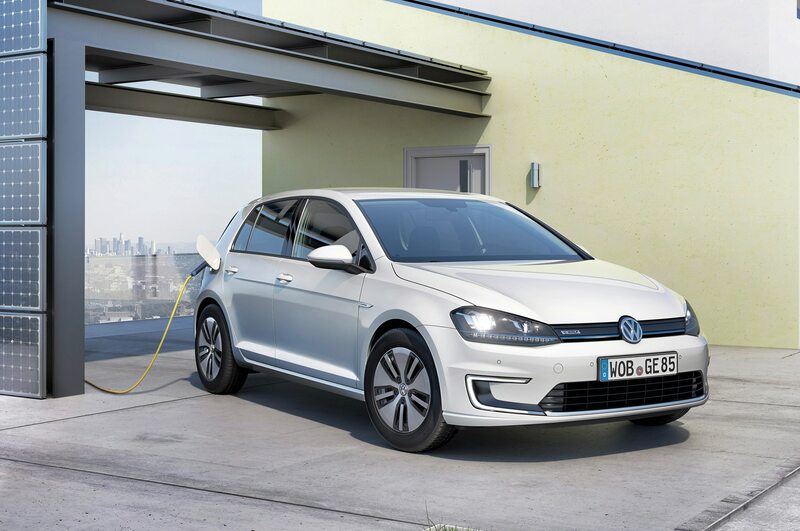 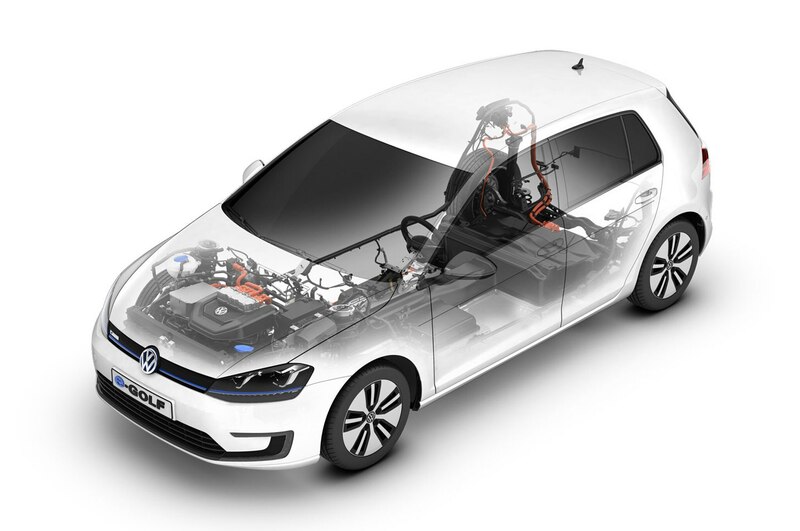 Dynamic Chassis Control, never before offered on U.S.-market Golfs, is available only on the higher of the Golf R’s two trims. 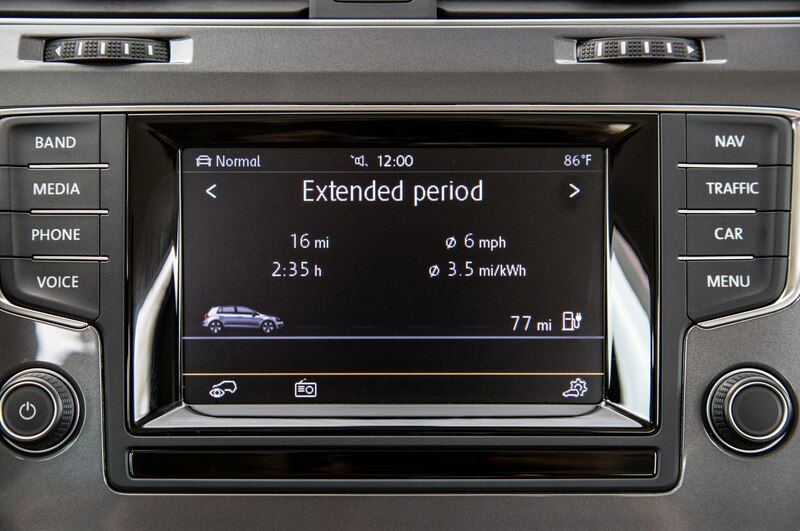 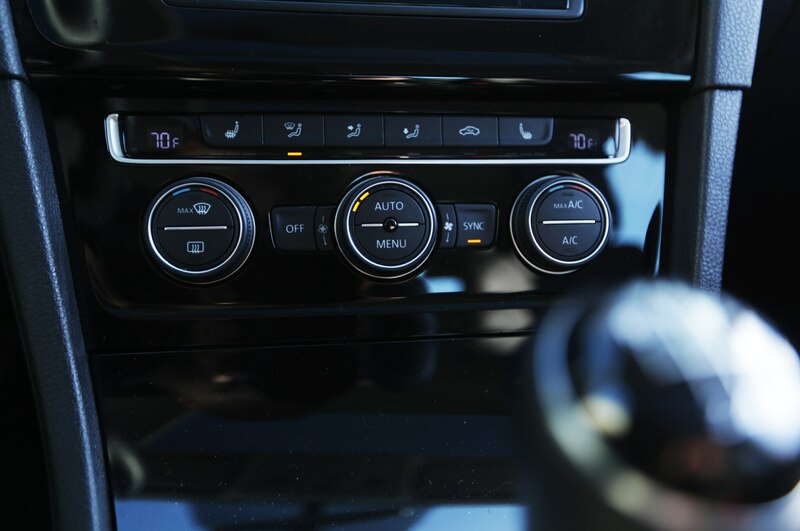 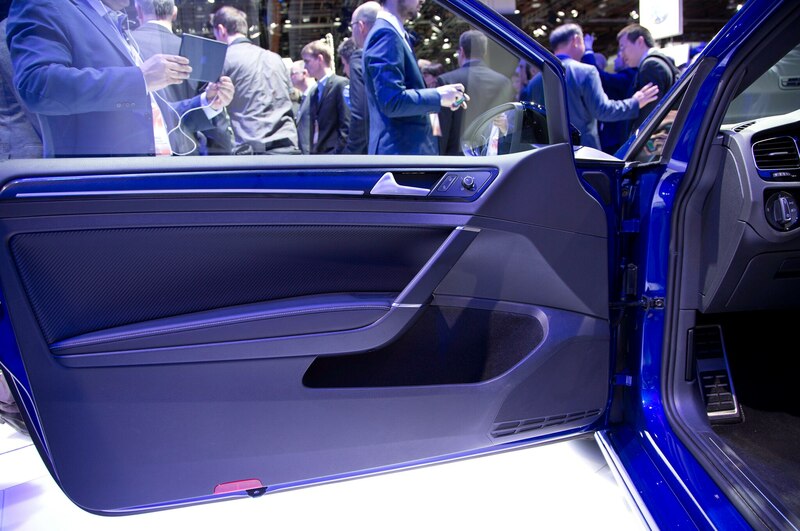 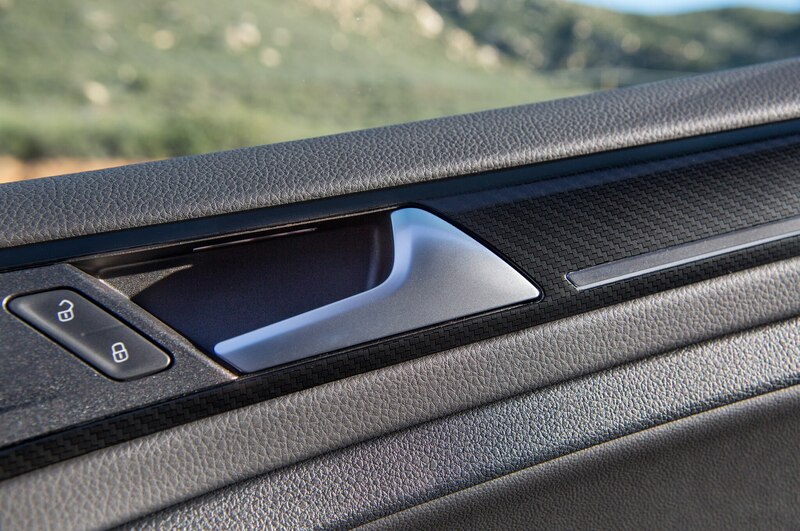 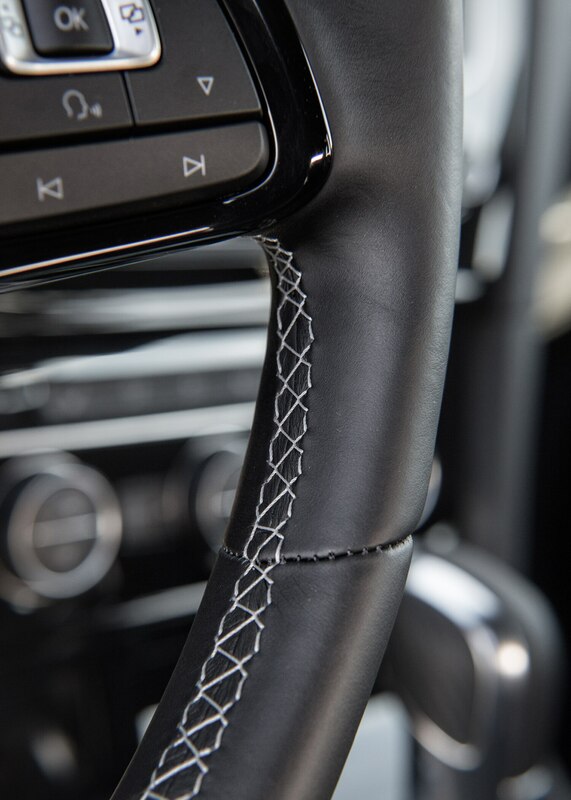 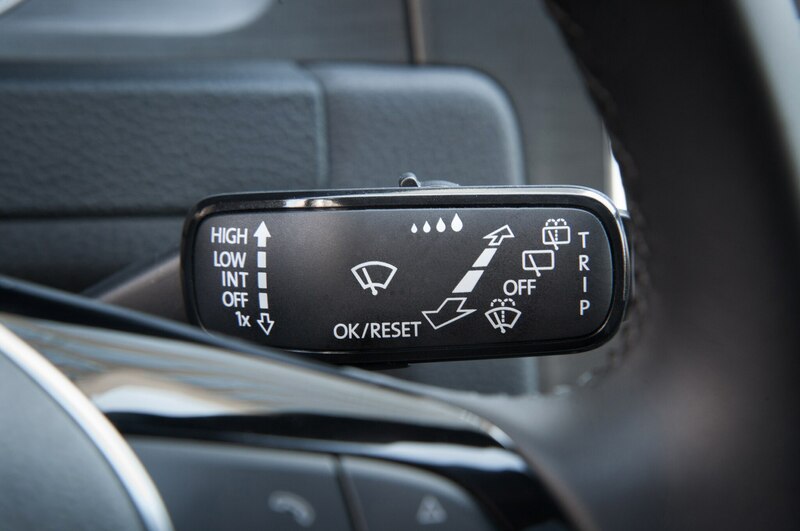 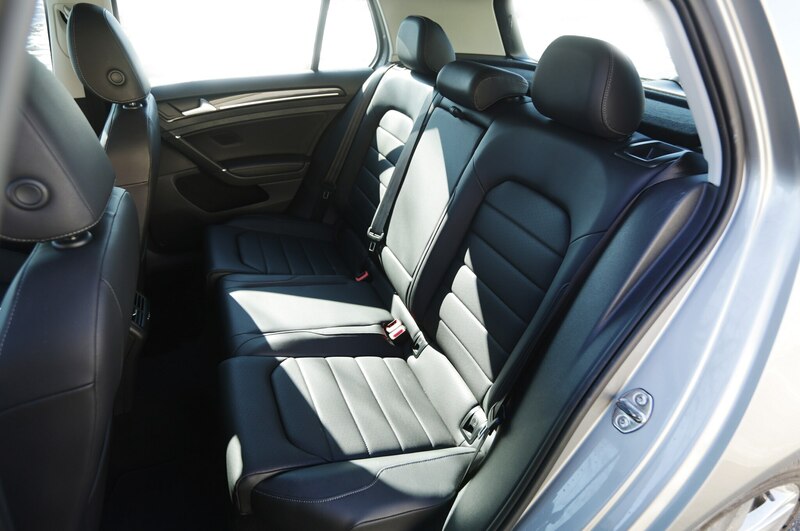 It allows the driver to adjust the car’s ride and handling. 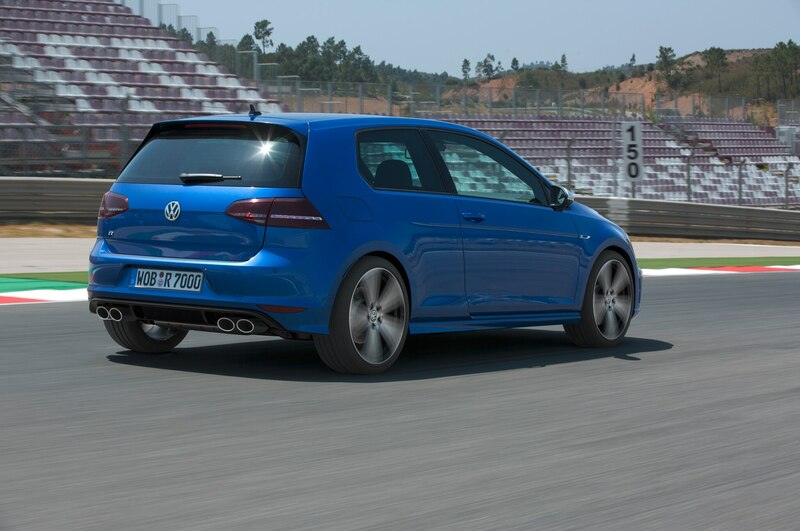 We’re in Race, the most aggressive of three modes, which stiffens up the rear dampers and virtually eliminates body roll and pitching. 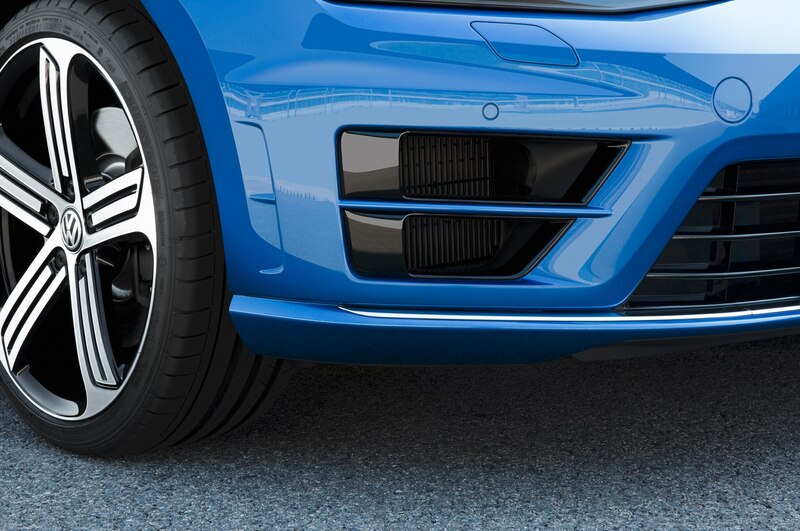 Paying for the adaptive suspension also gets you 19-inch wheels, touchscreen navigation, and an upgraded Fender sound system. 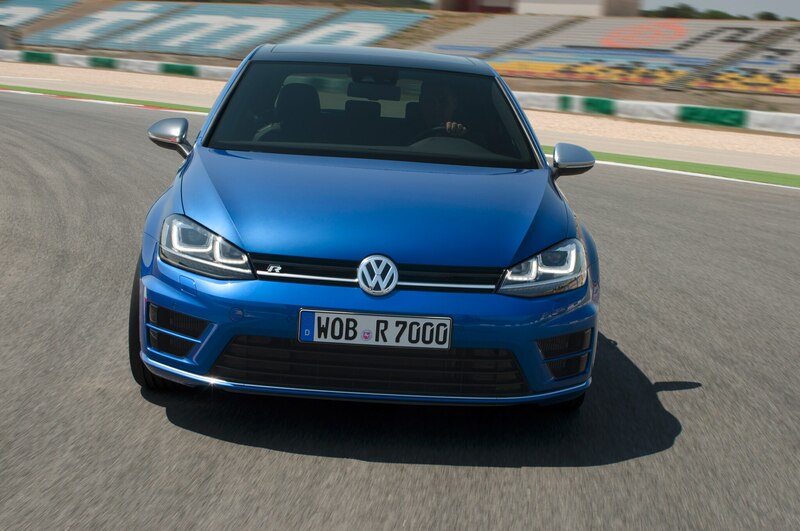 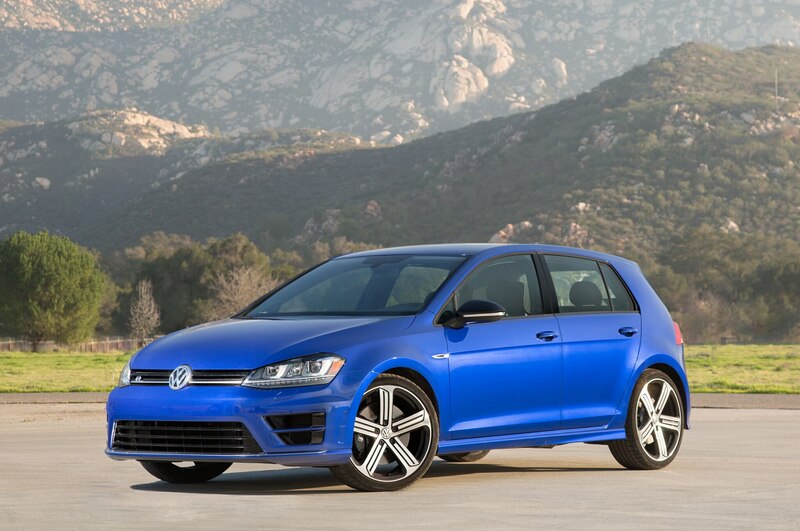 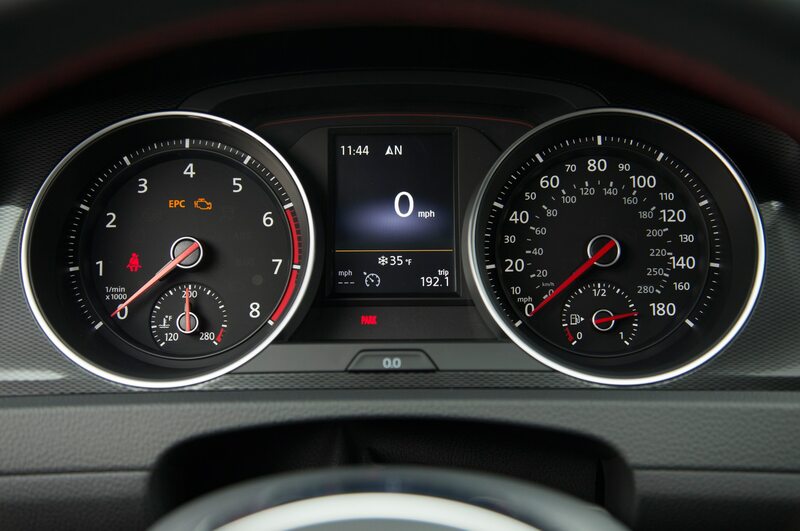 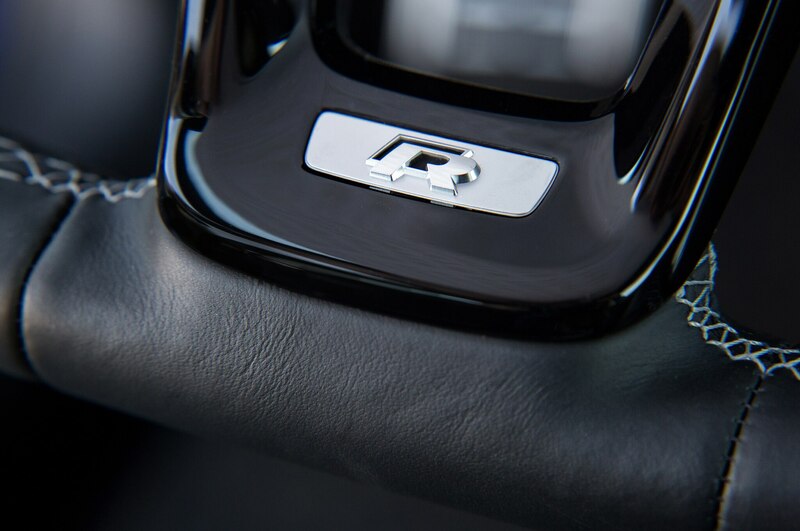 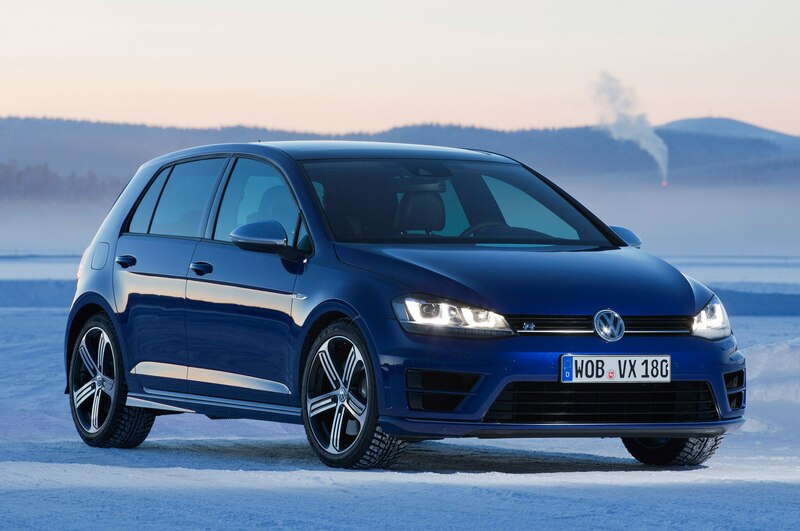 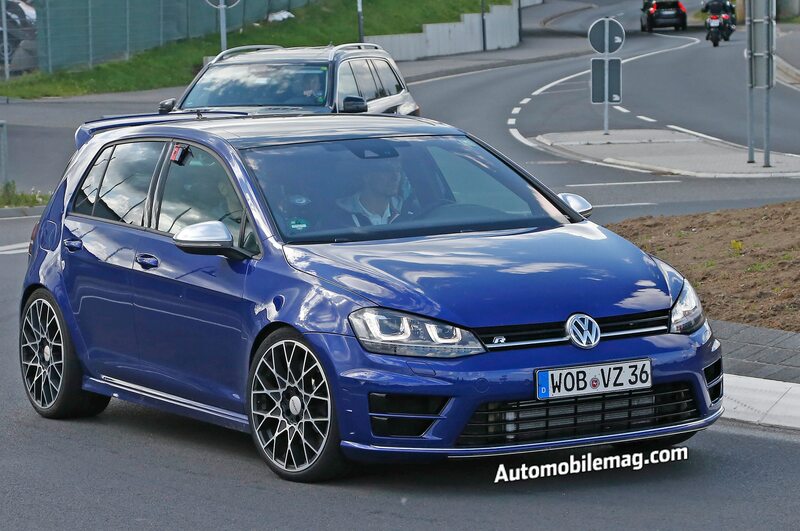 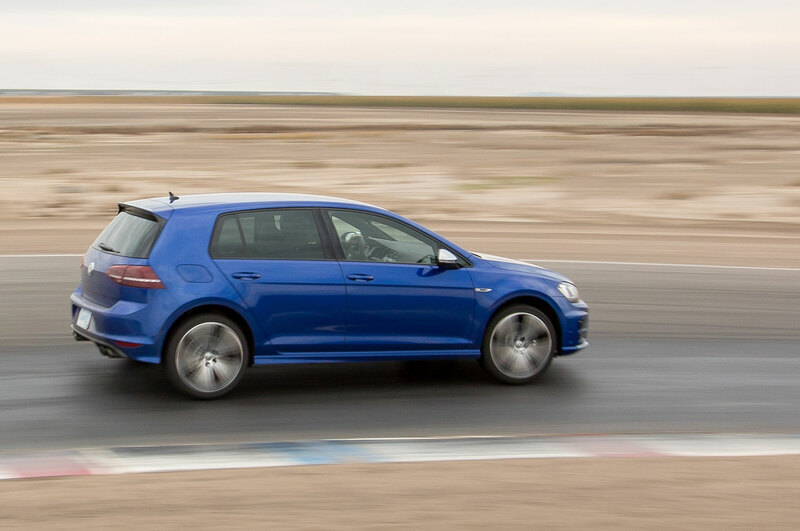 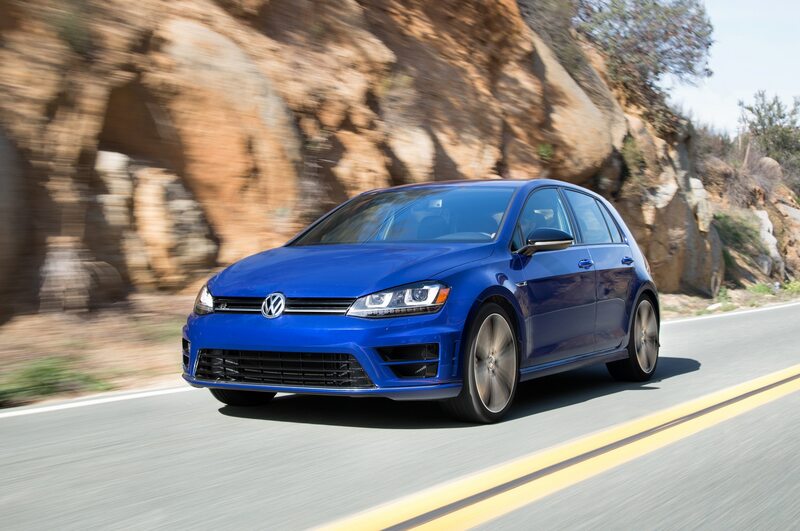 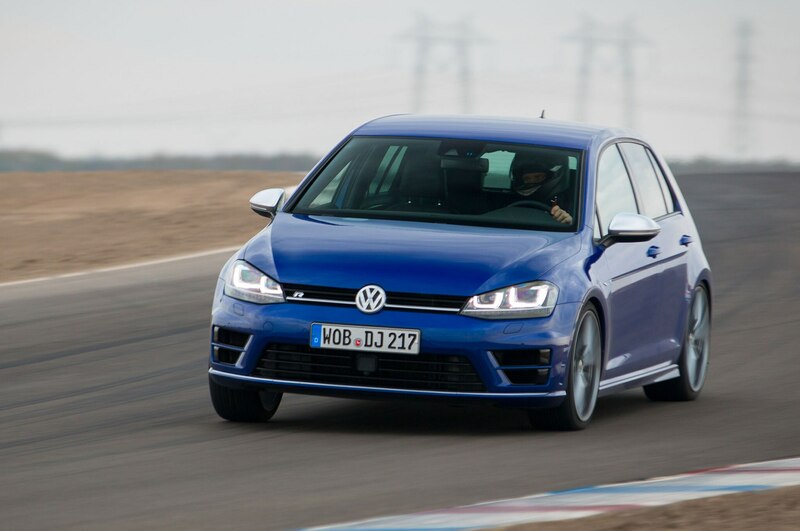 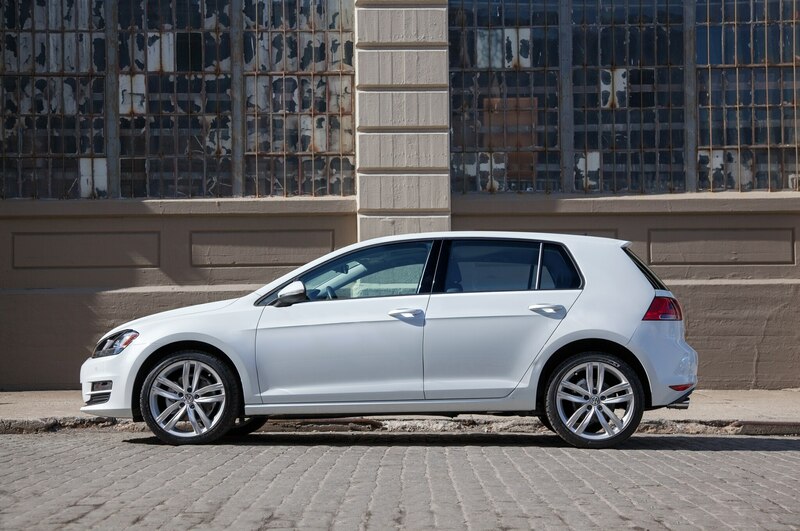 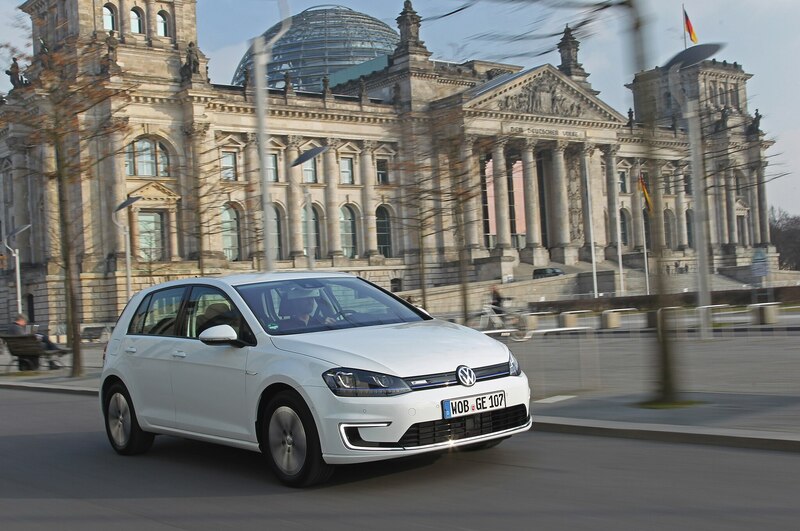 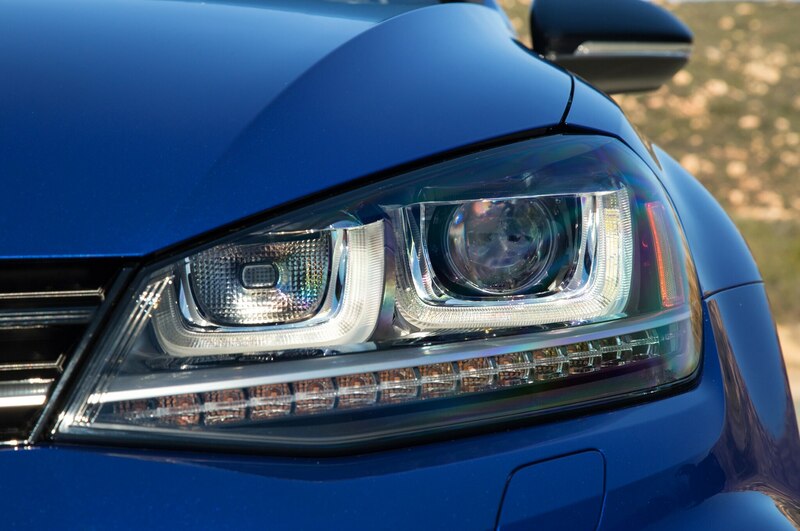 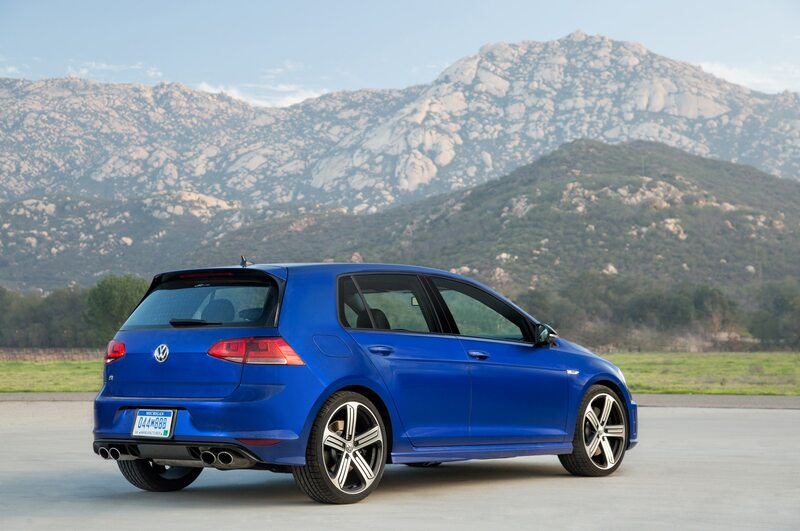 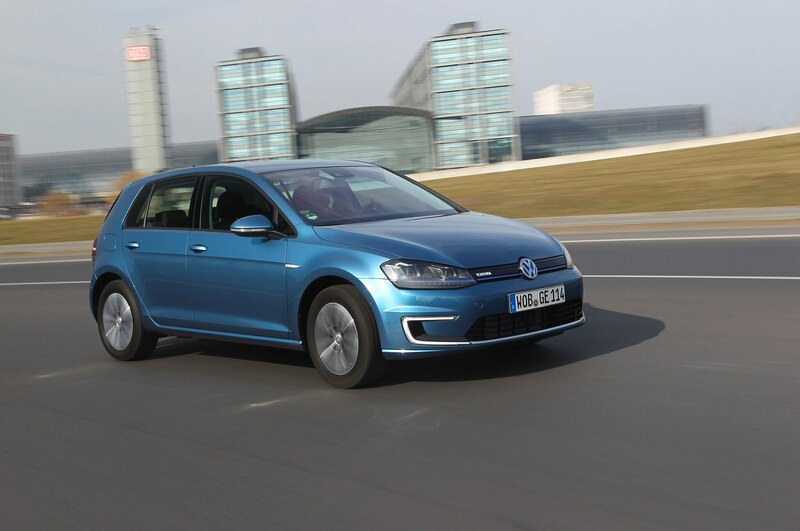 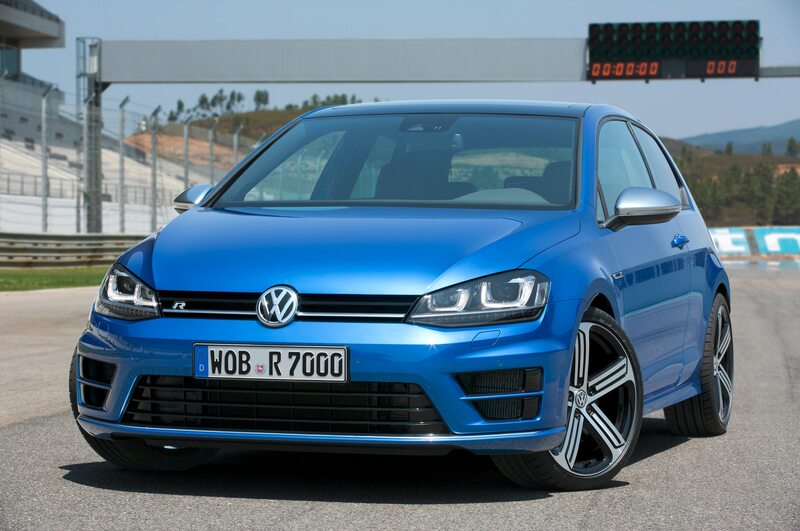 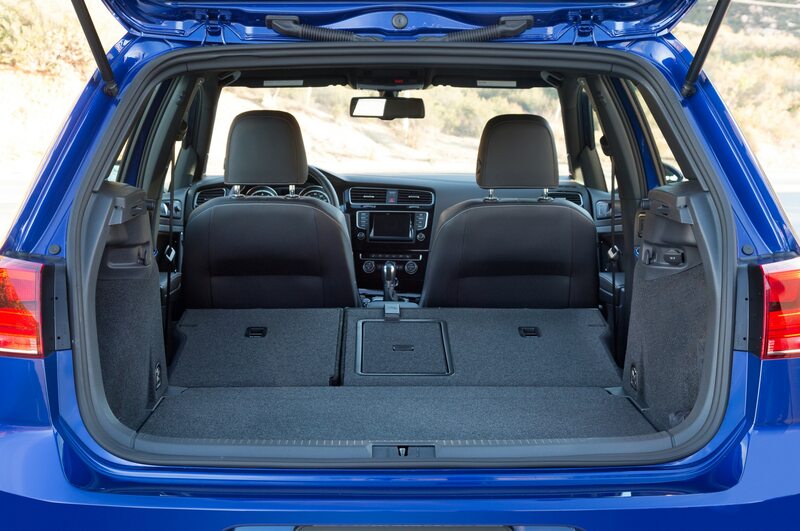 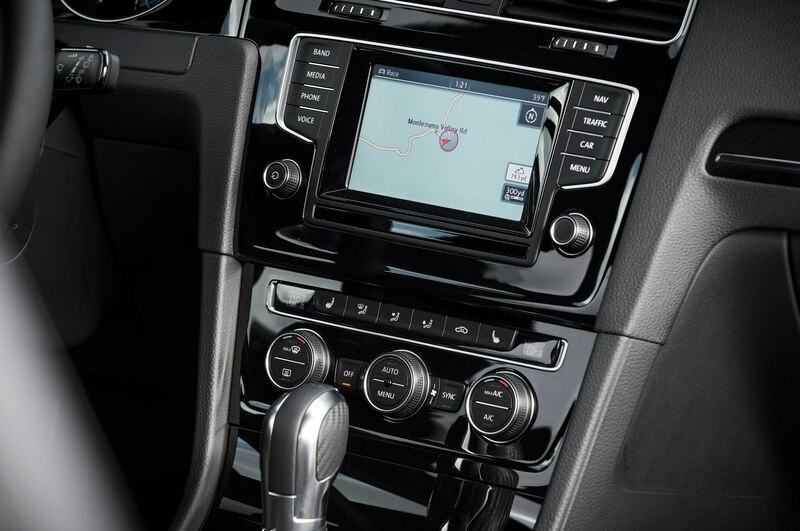 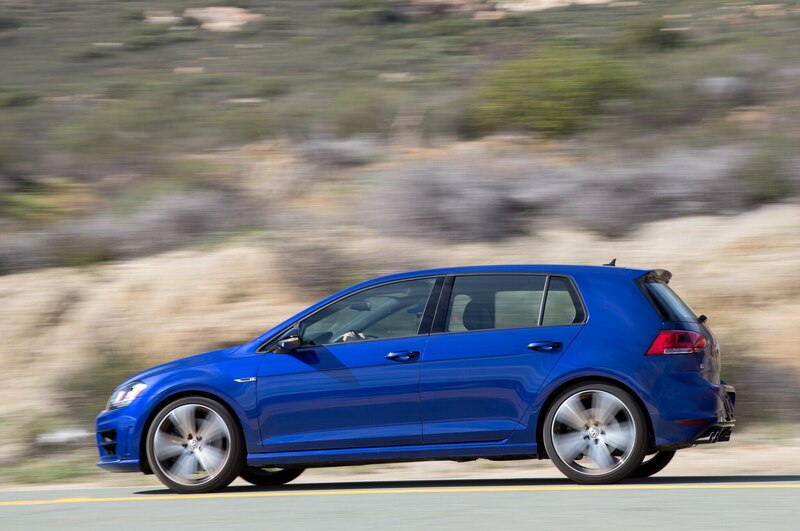 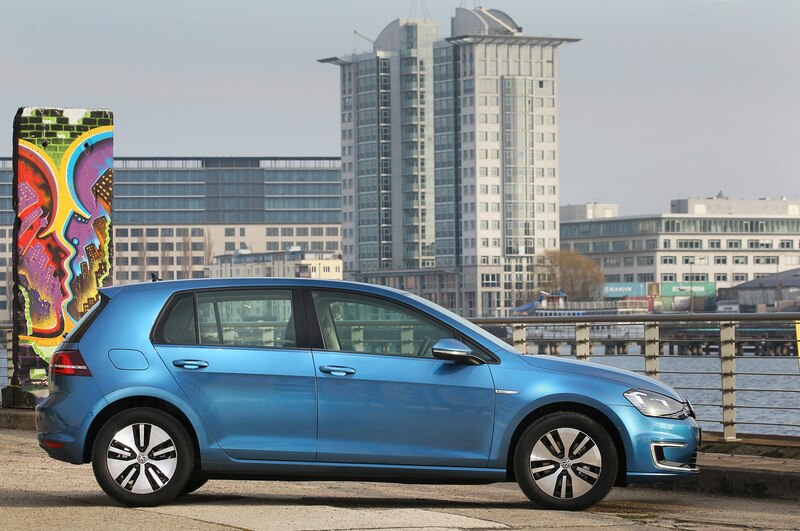 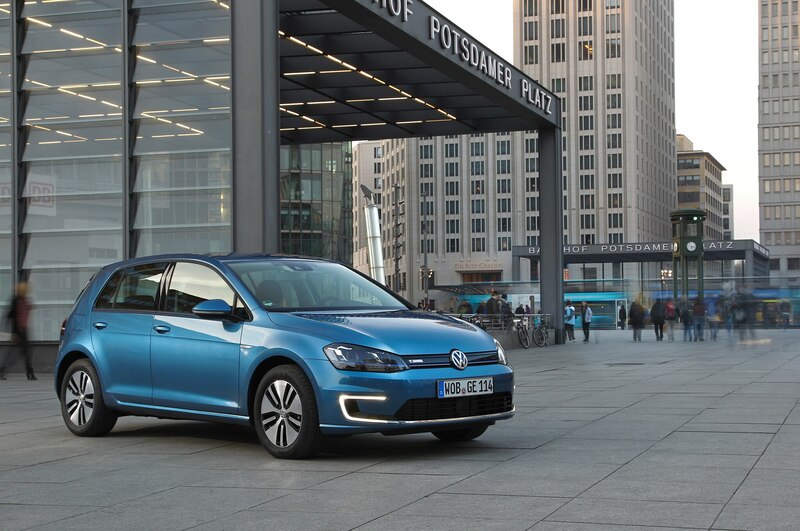 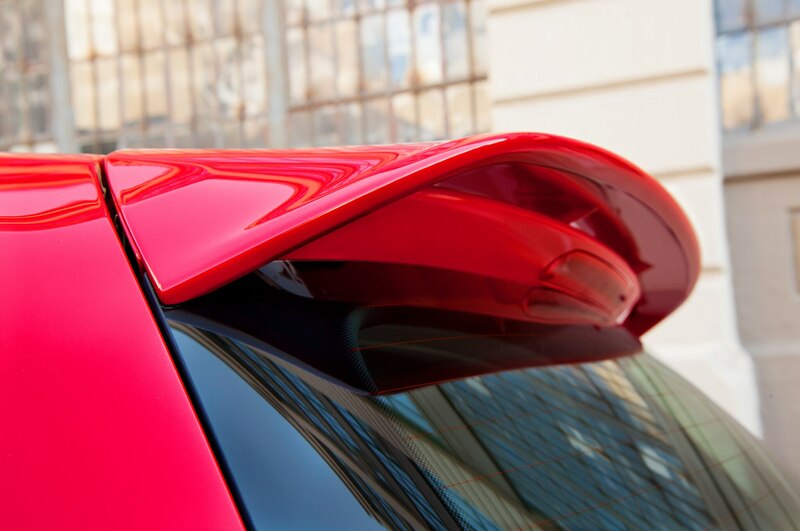 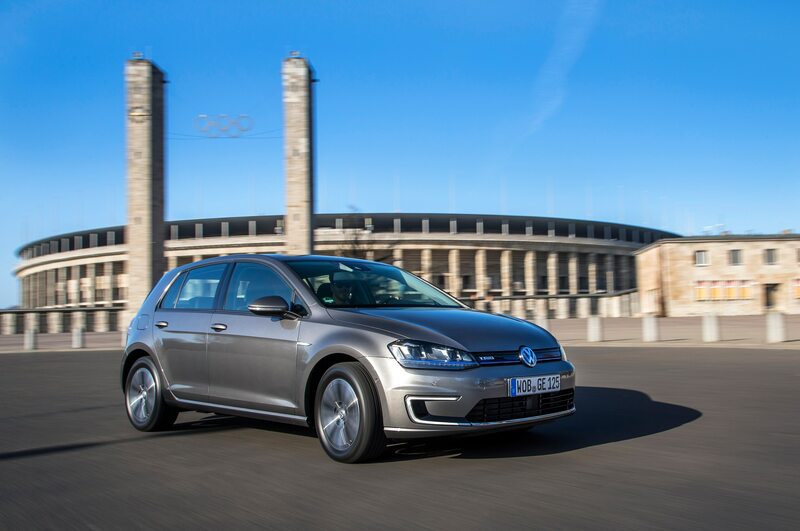 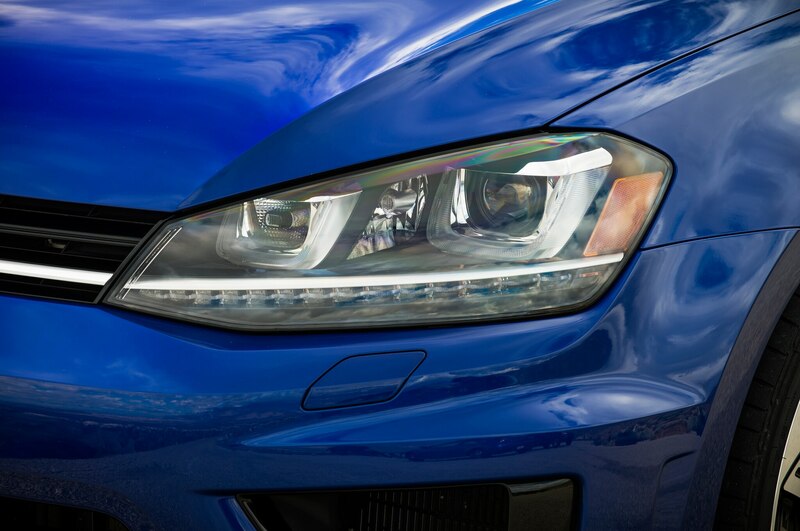 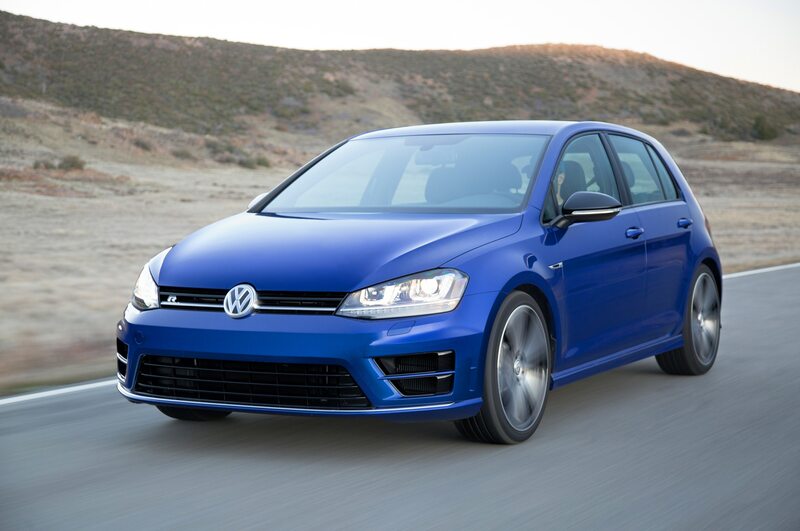 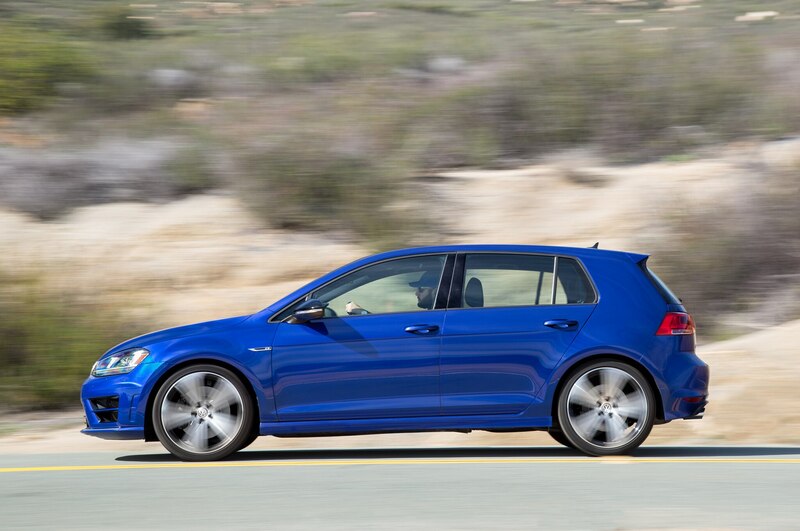 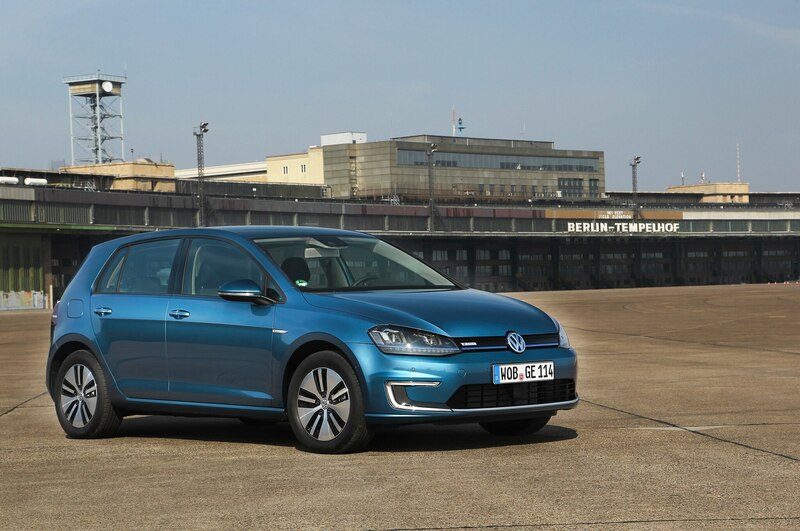 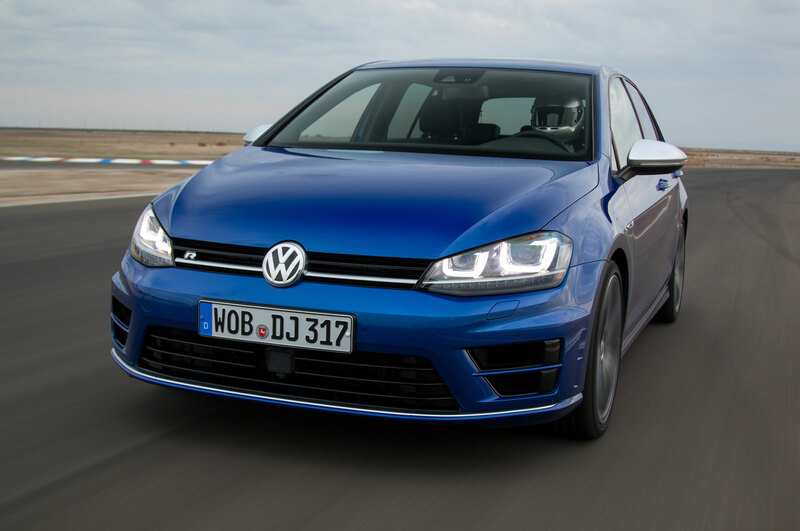 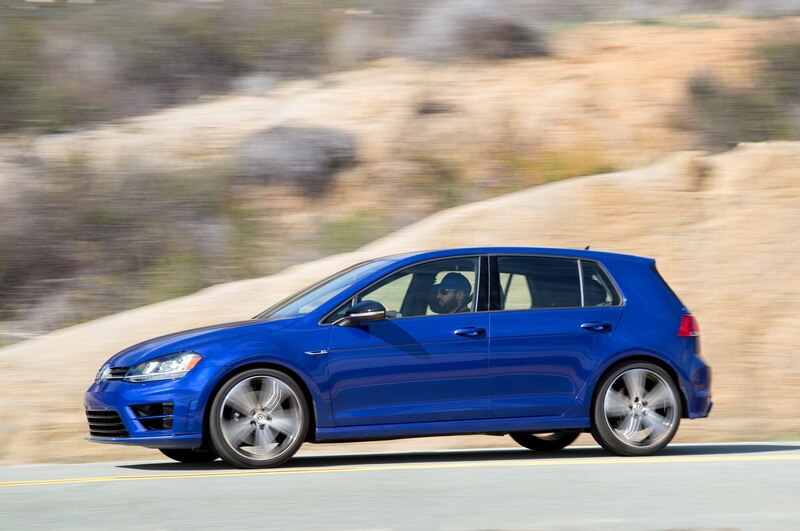 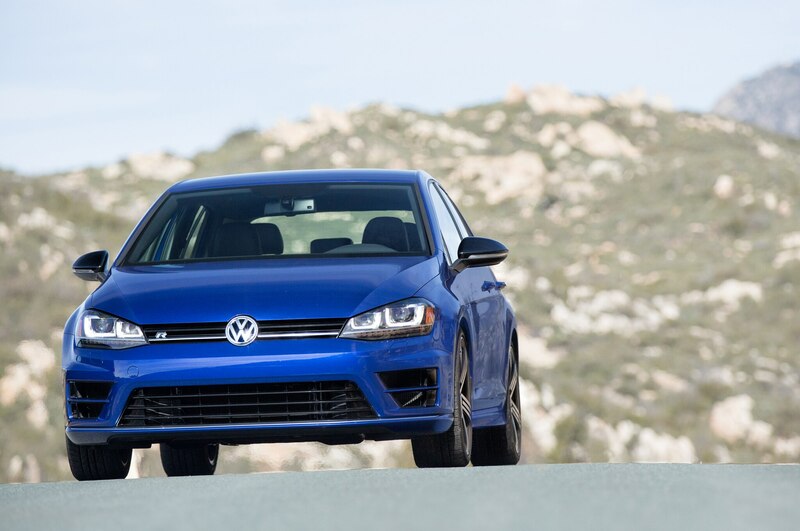 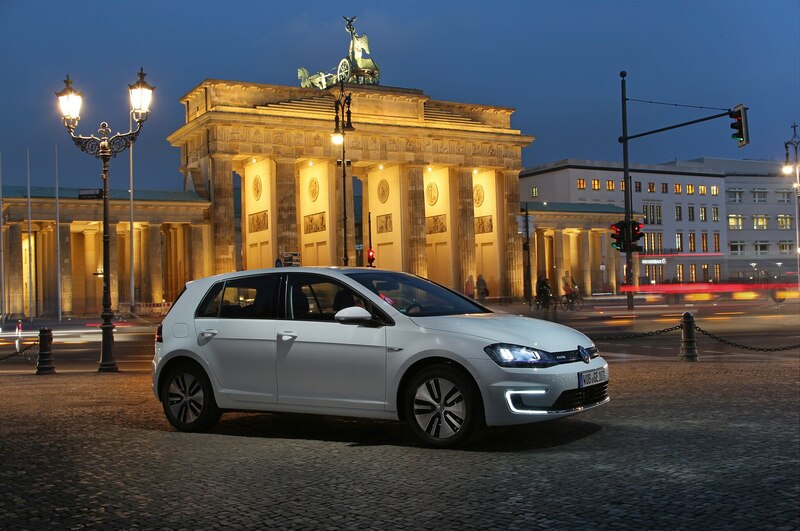 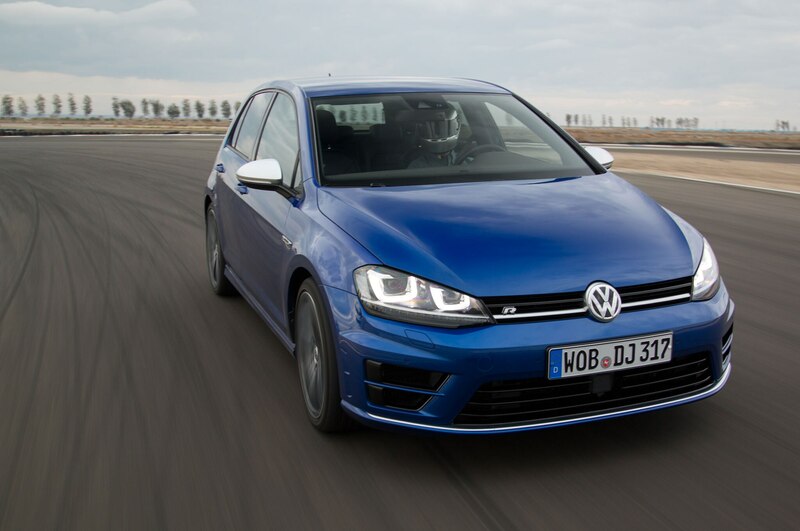 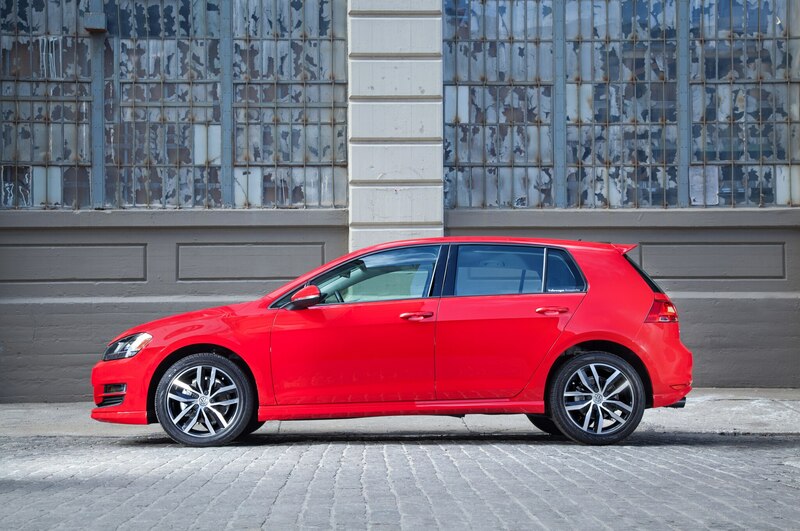 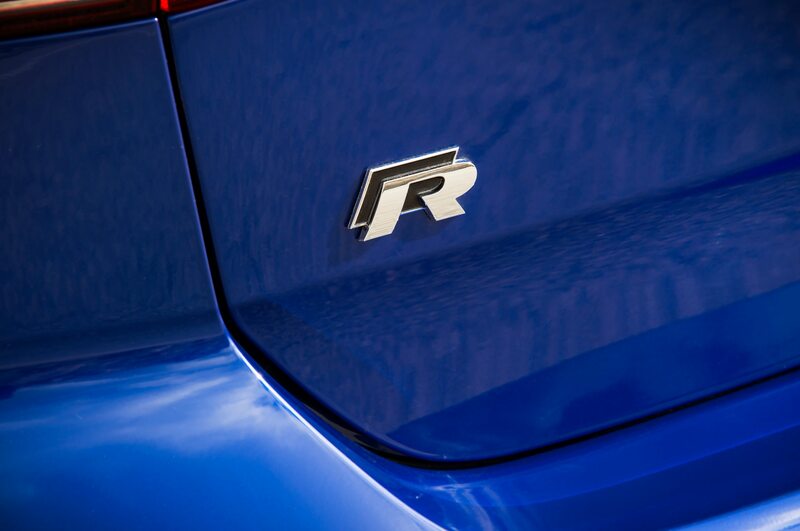 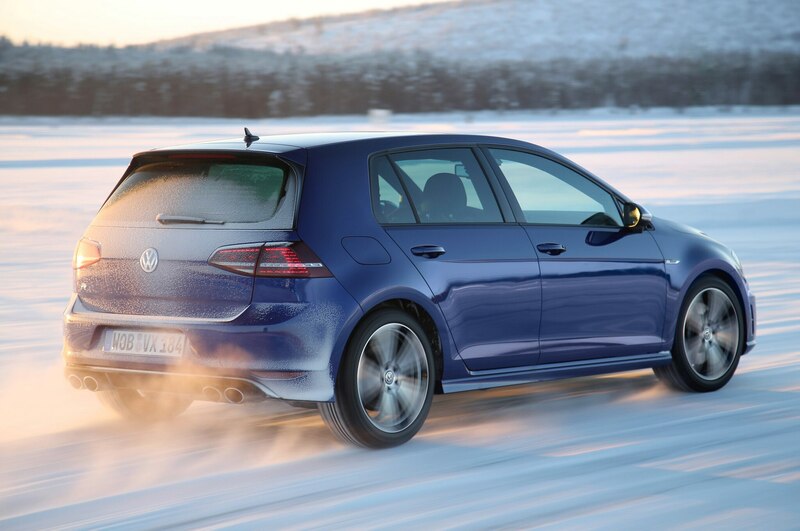 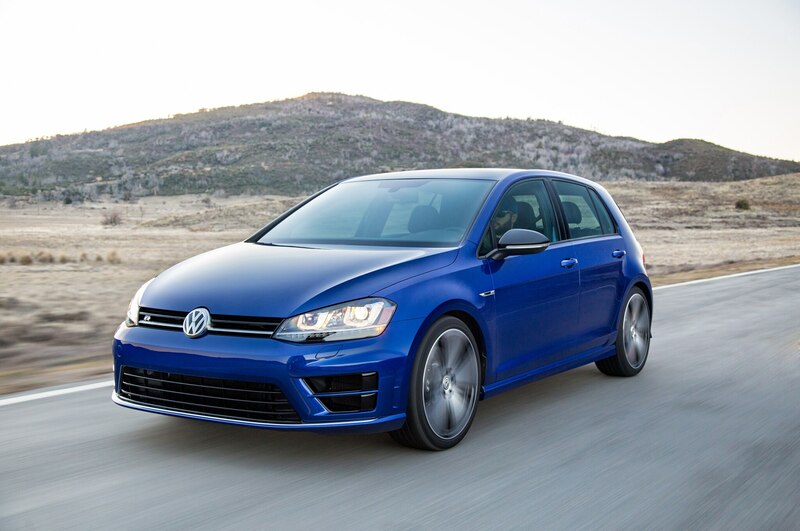 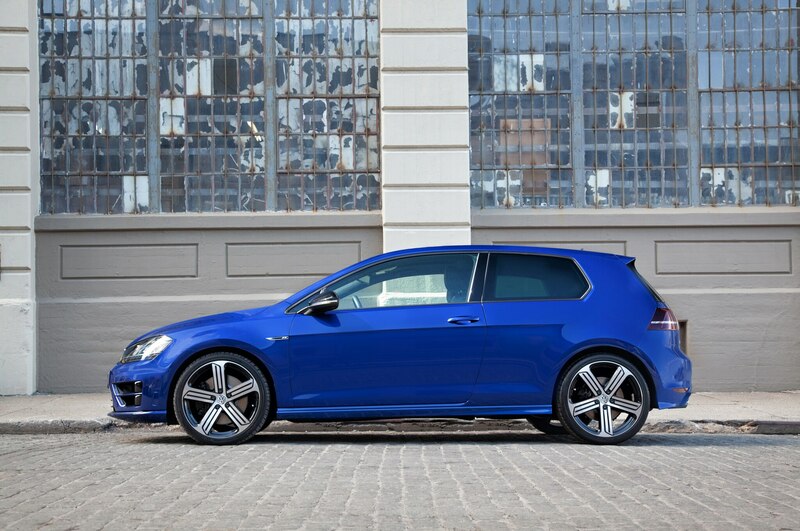 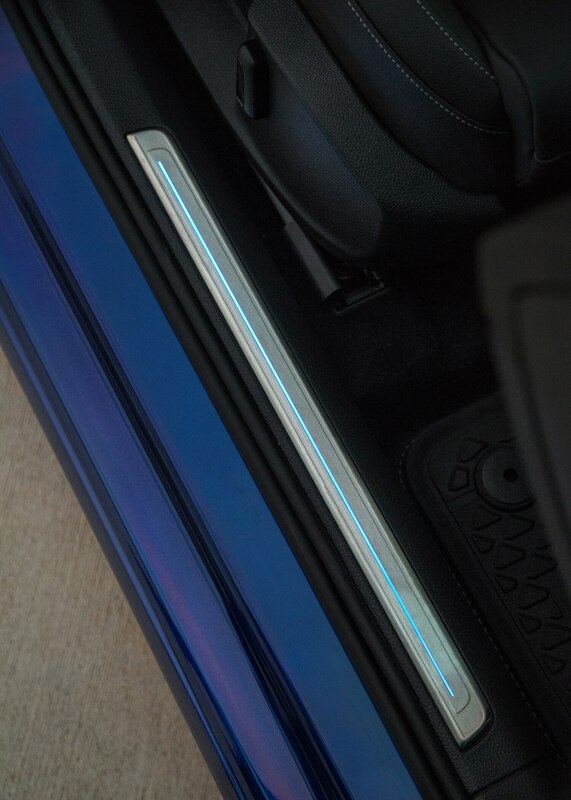 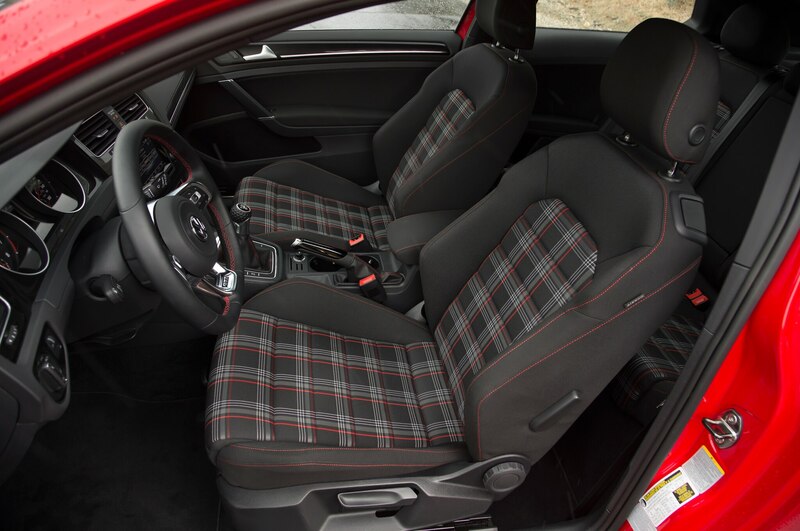 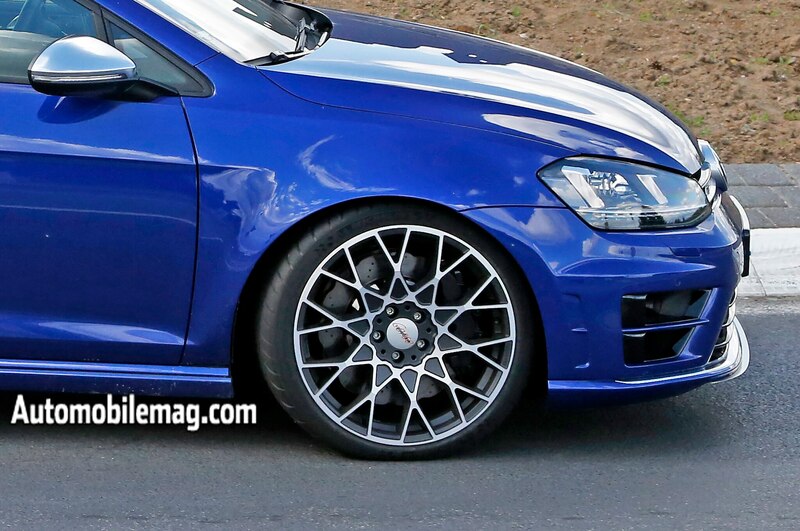 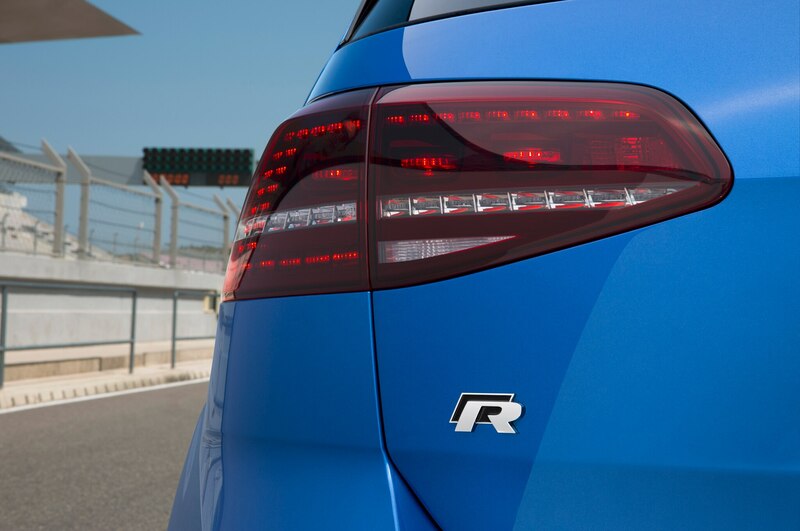 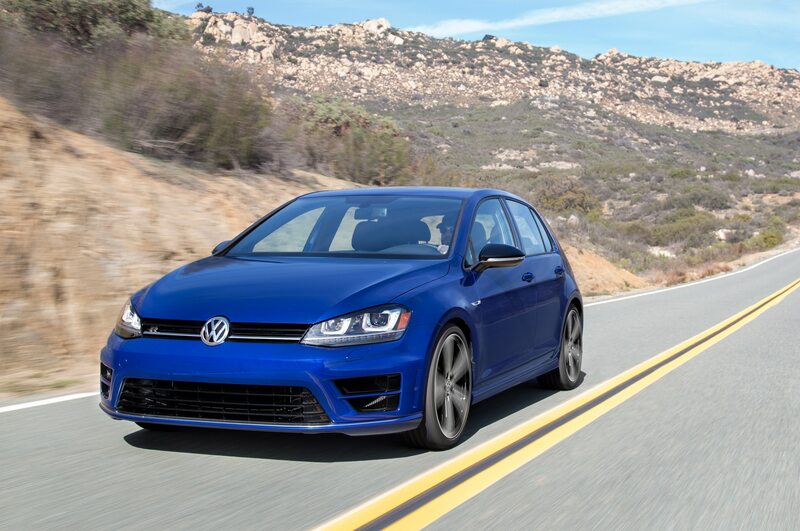 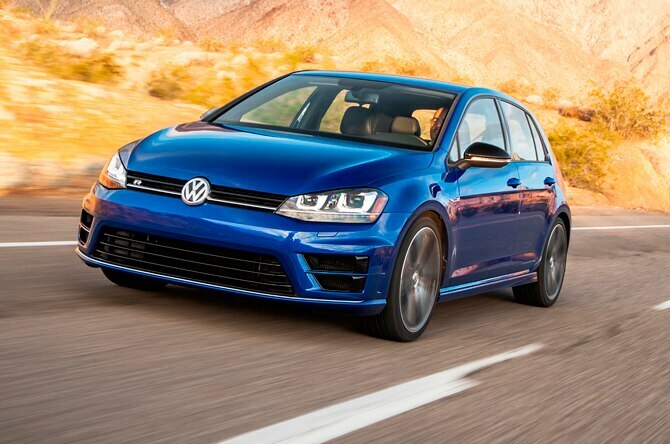 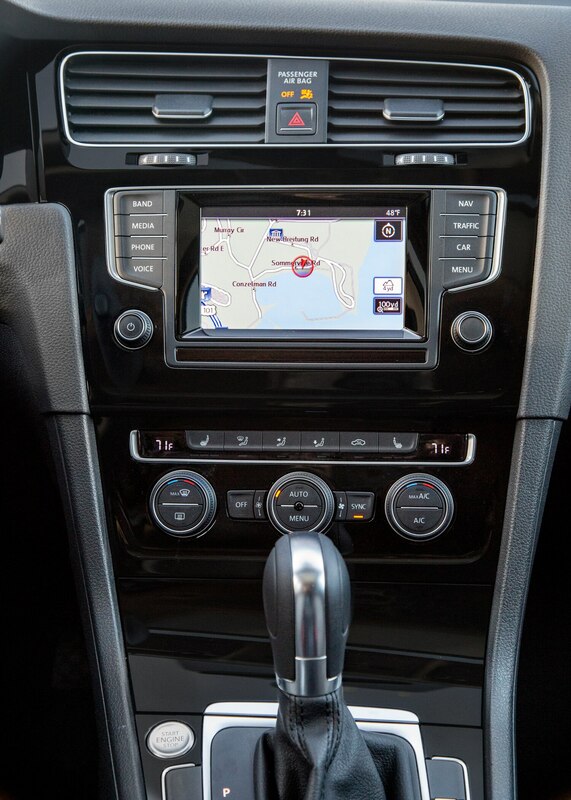 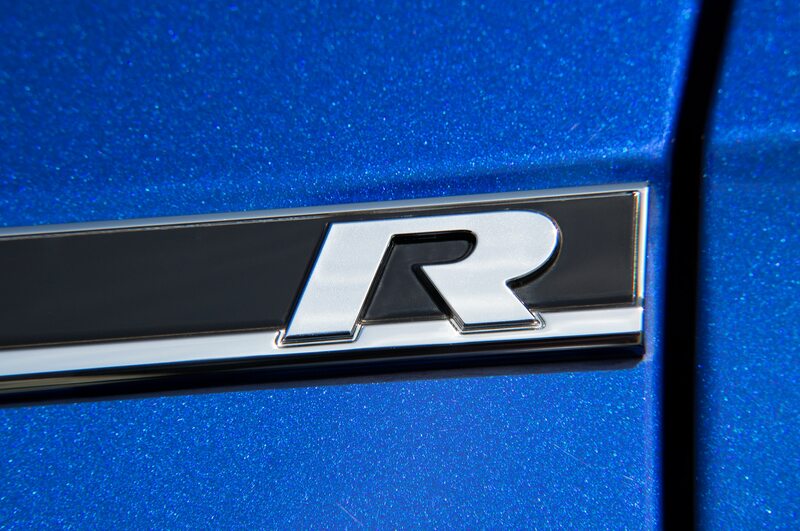 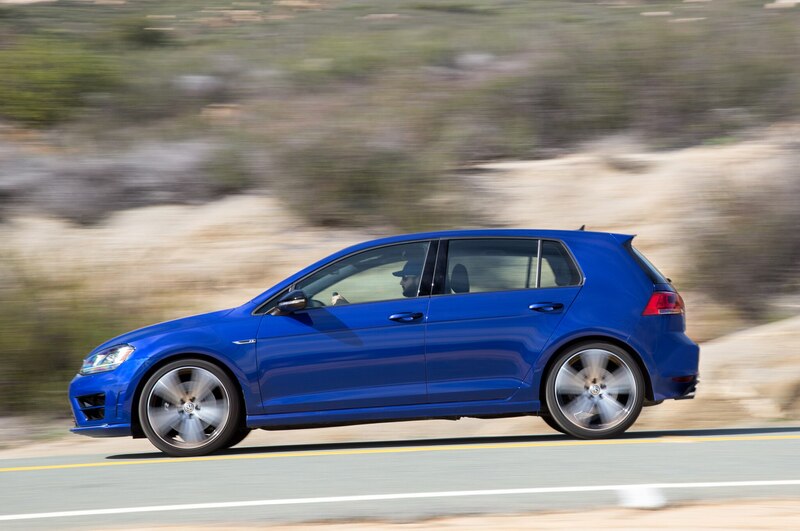 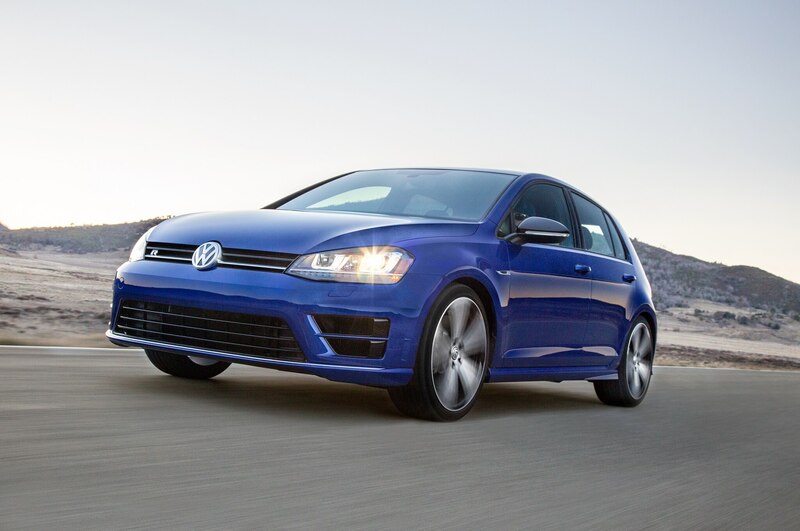 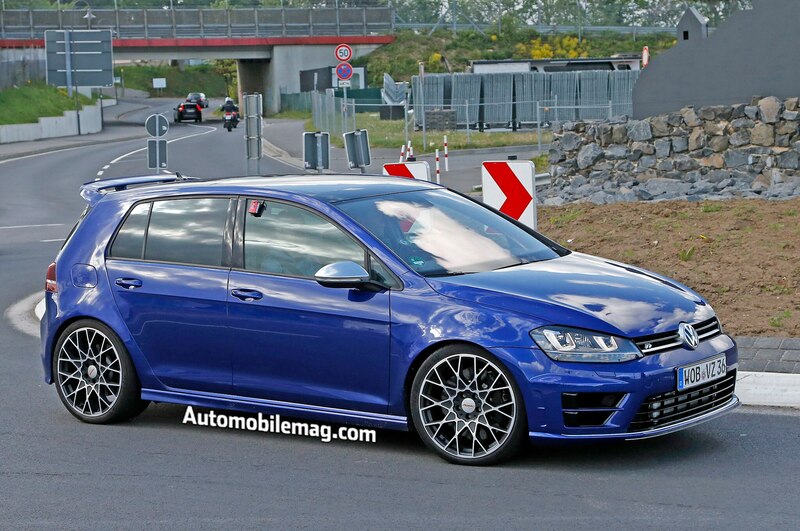 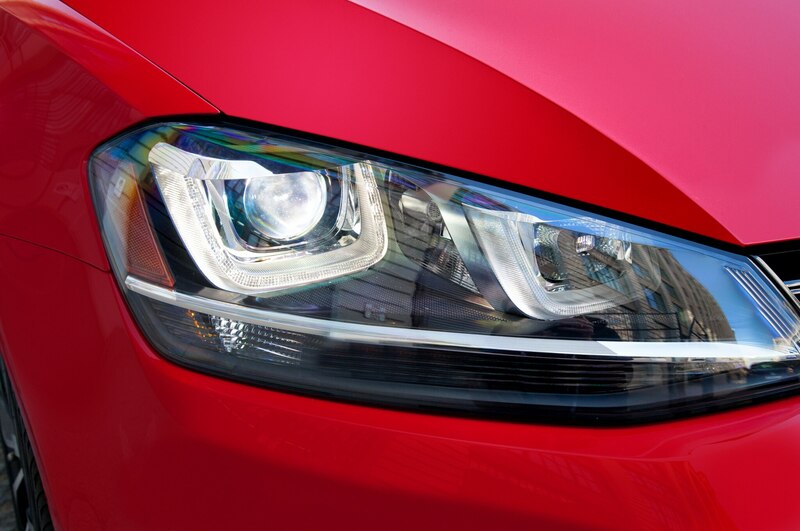 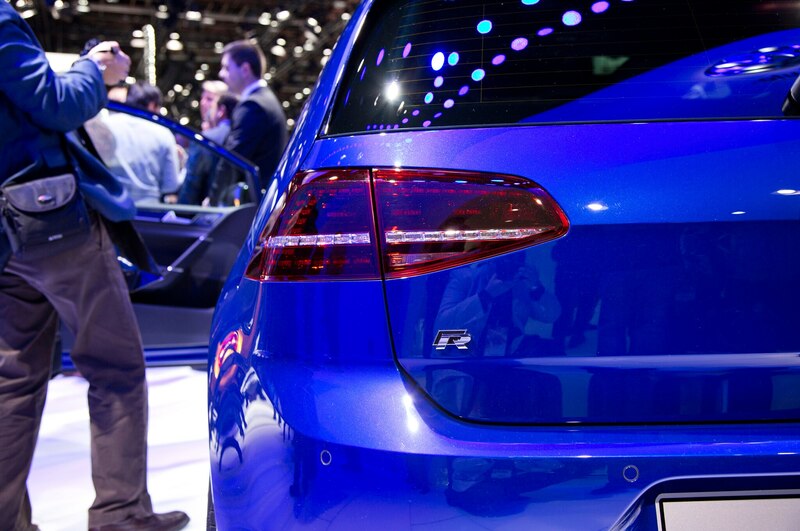 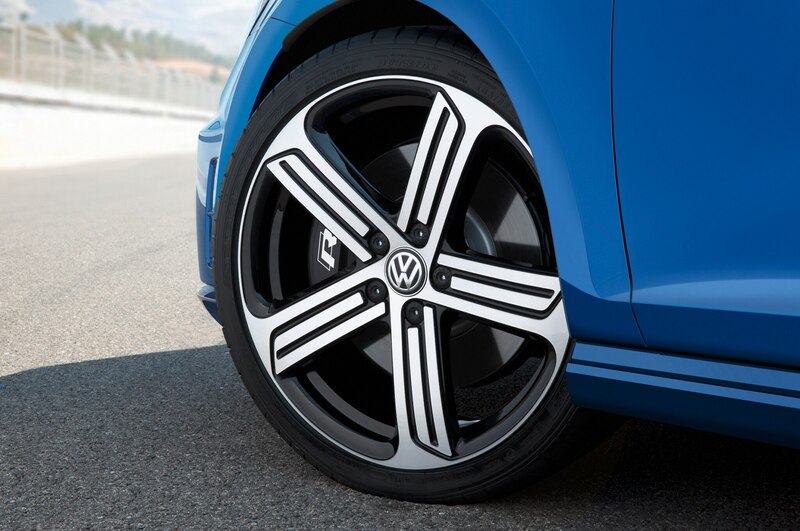 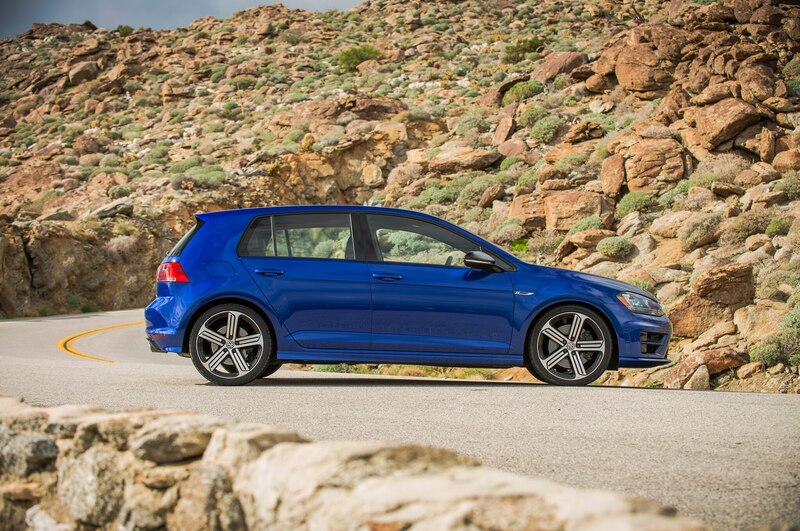 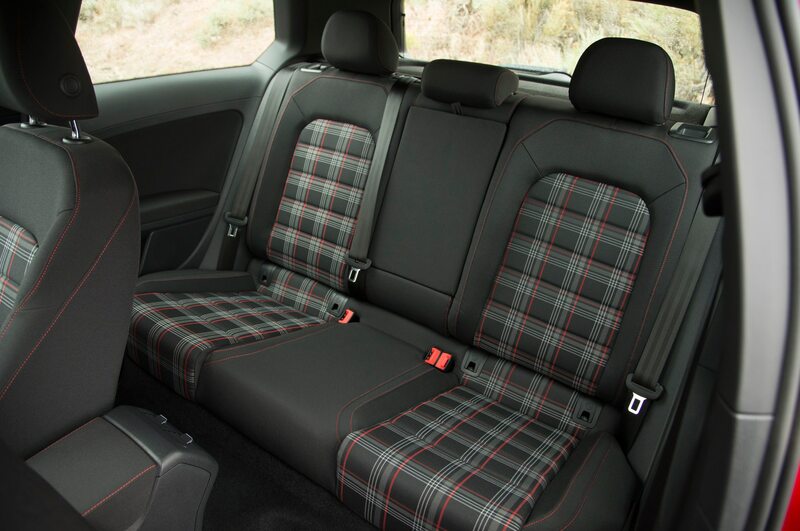 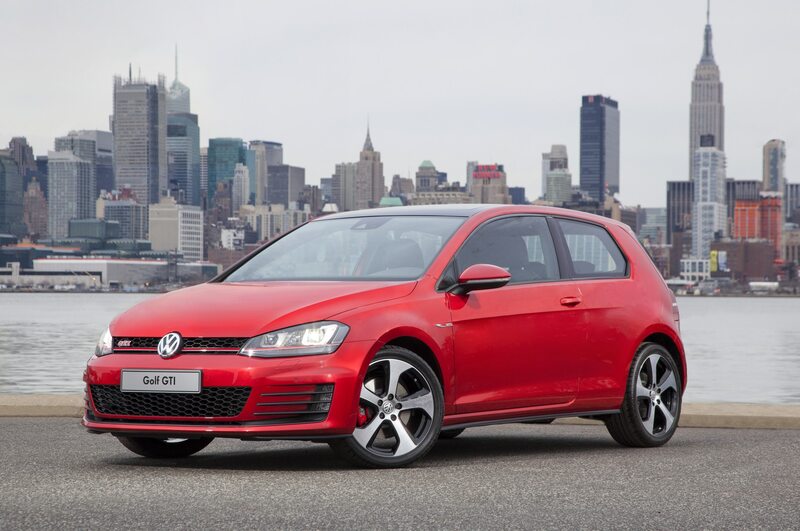 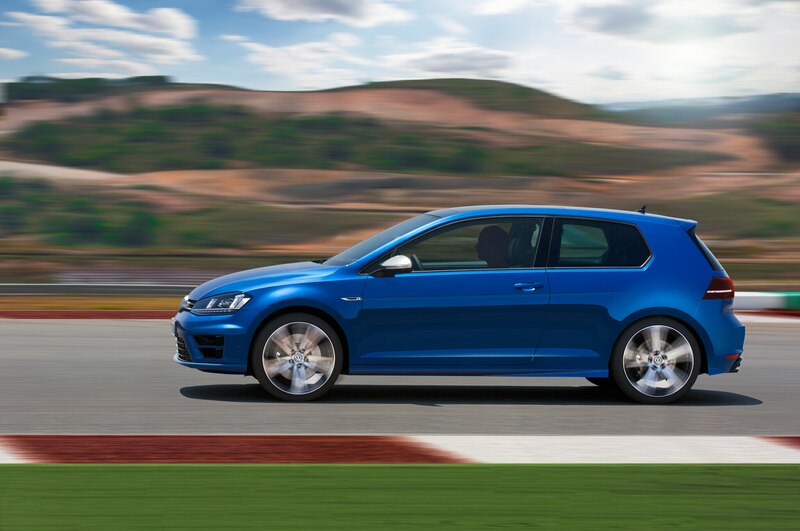 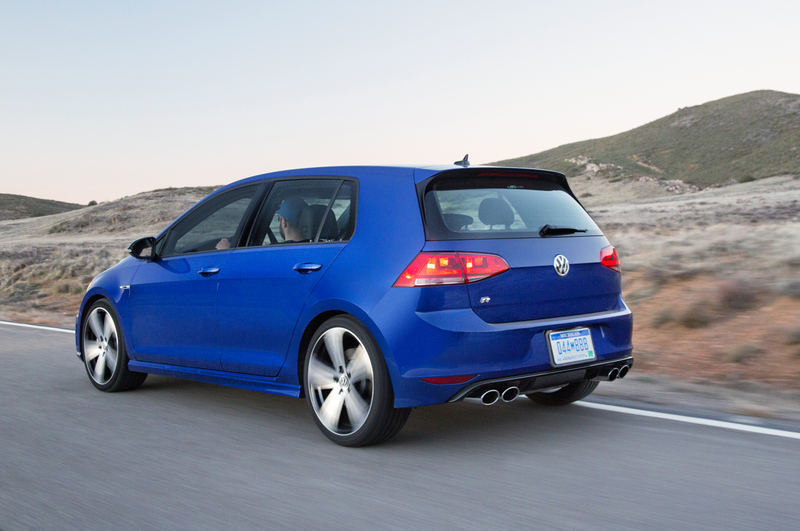 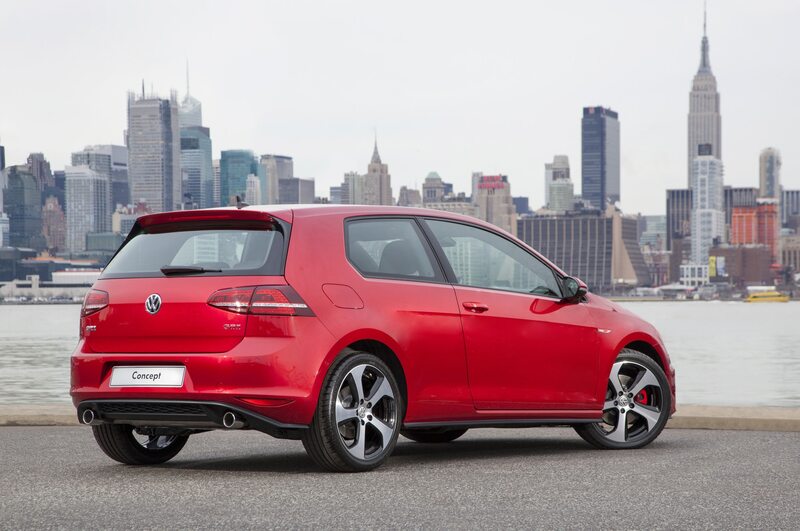 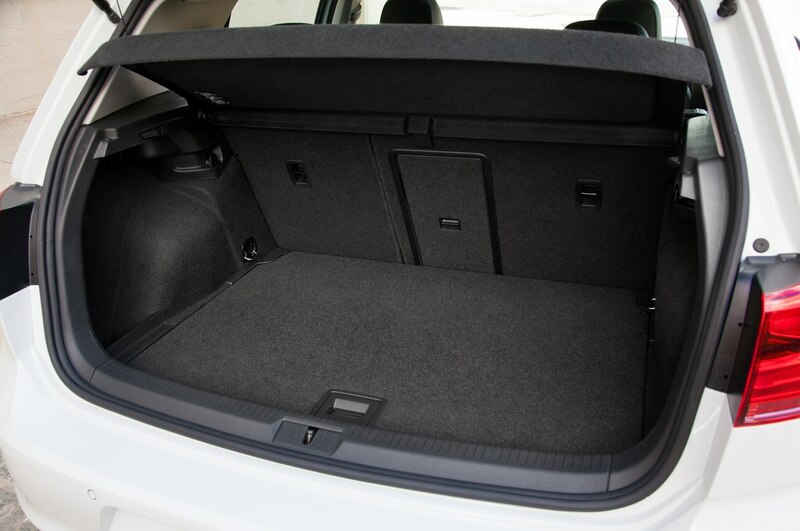 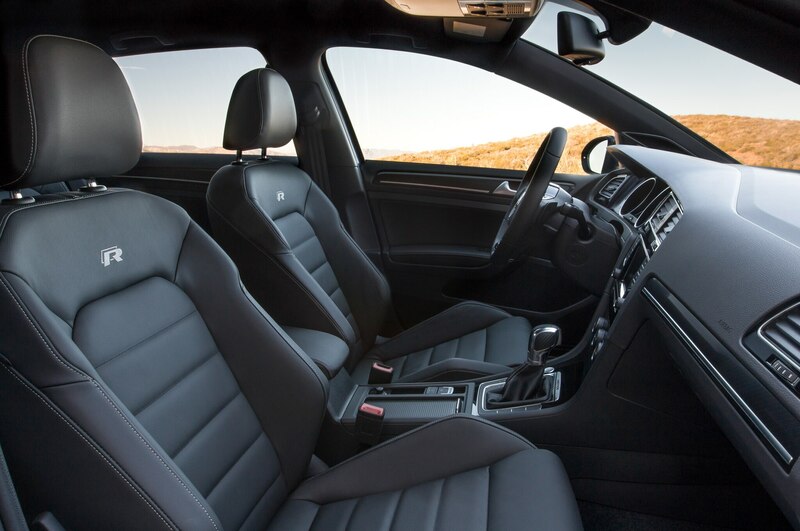 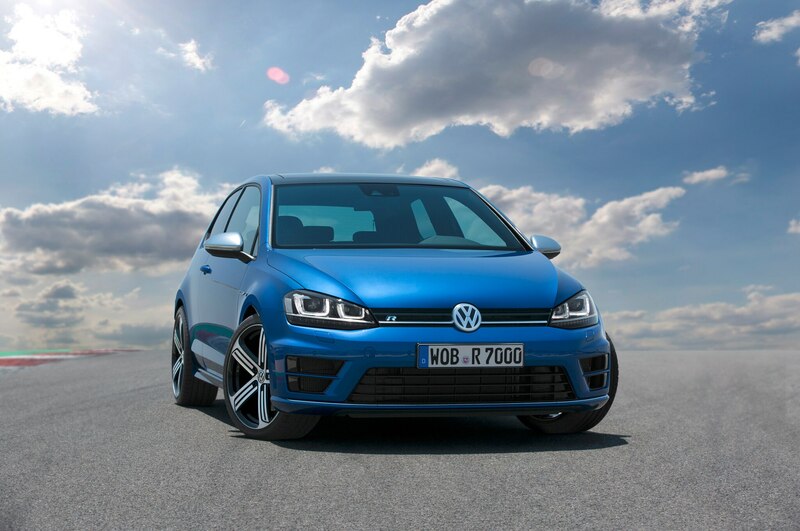 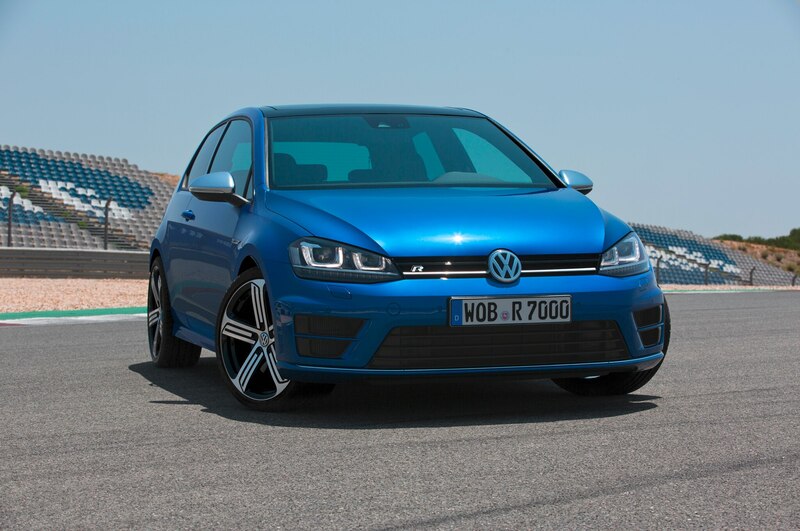 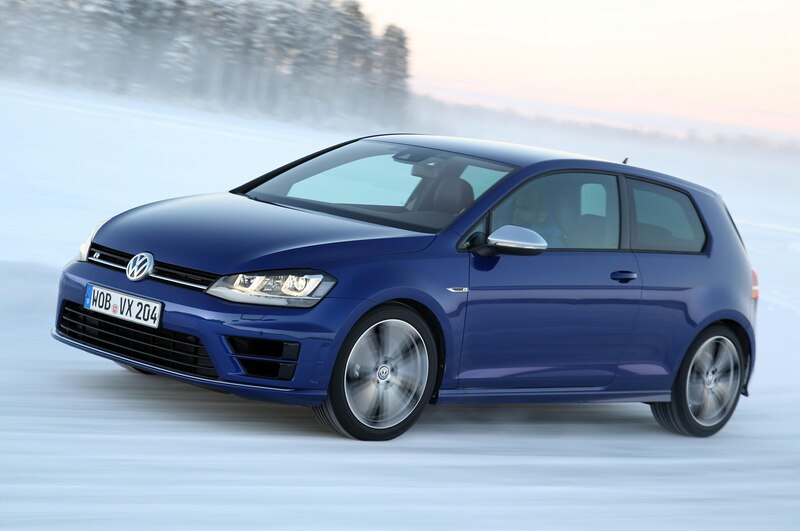 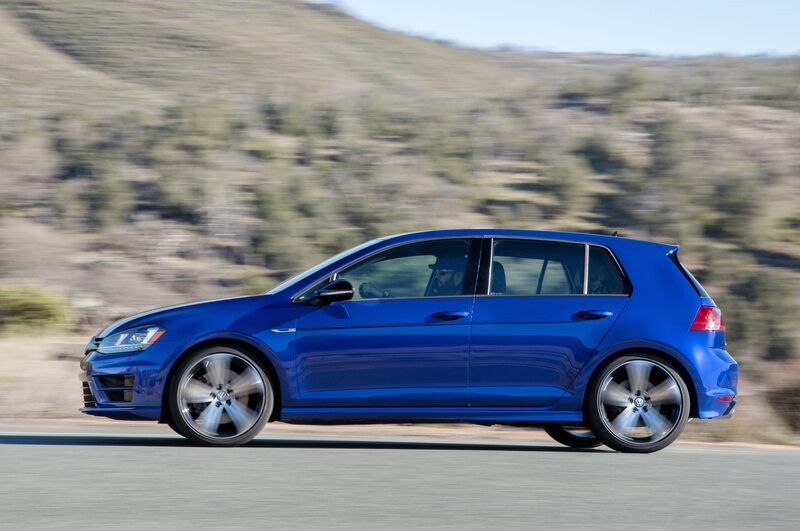 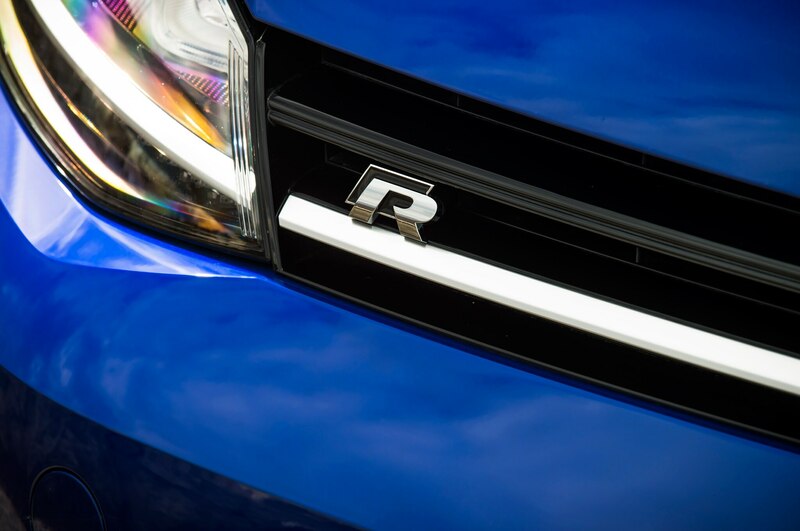 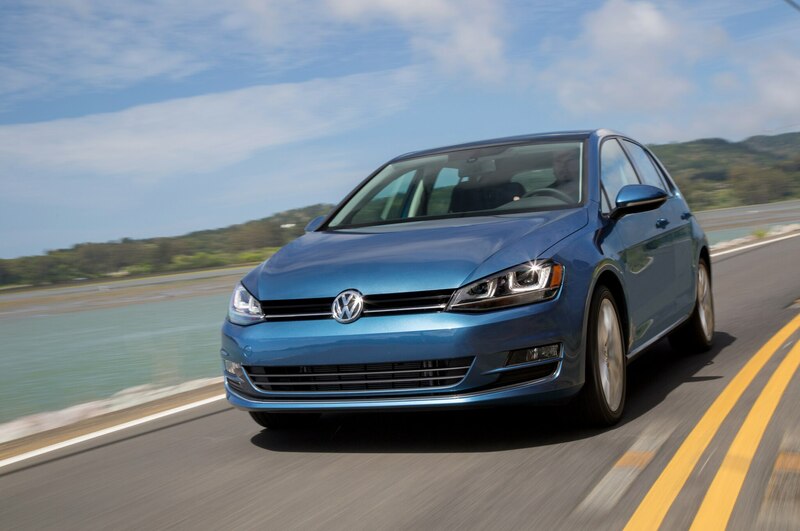 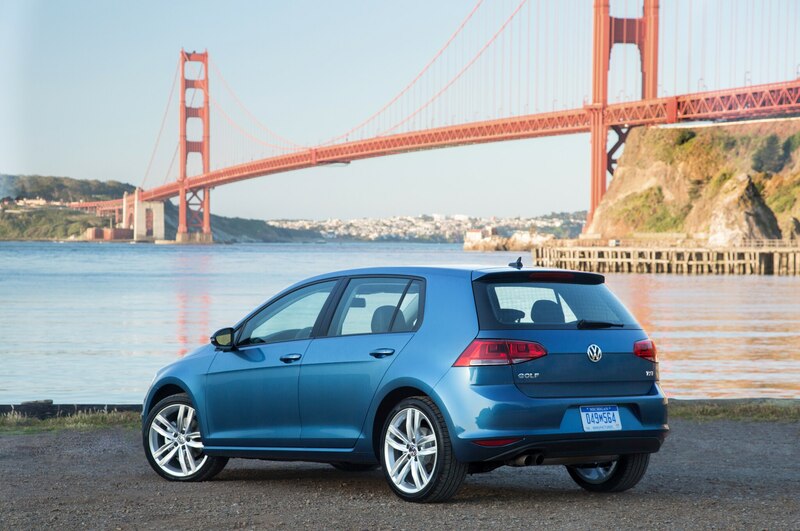 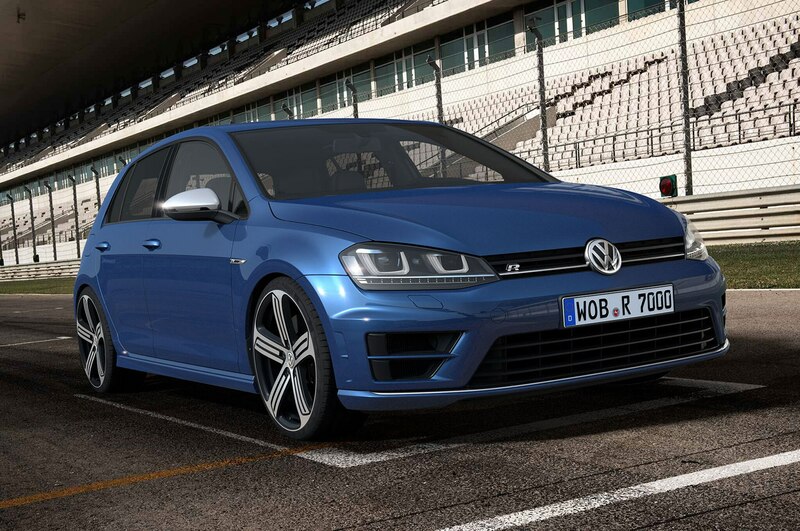 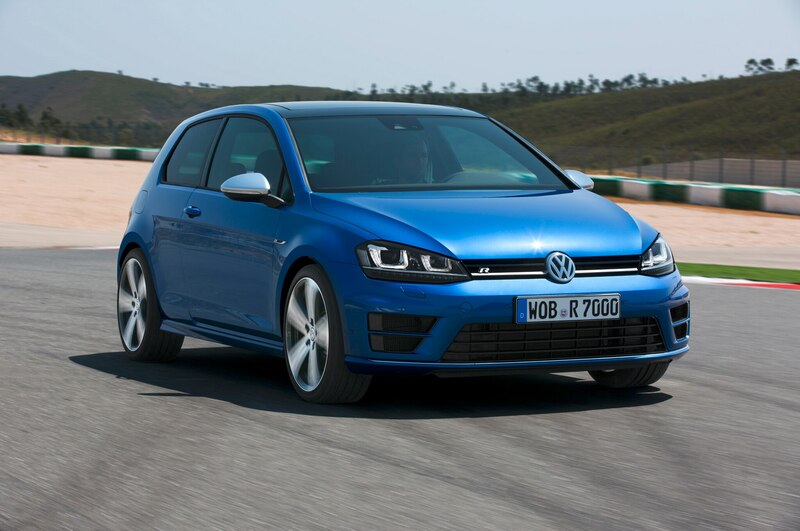 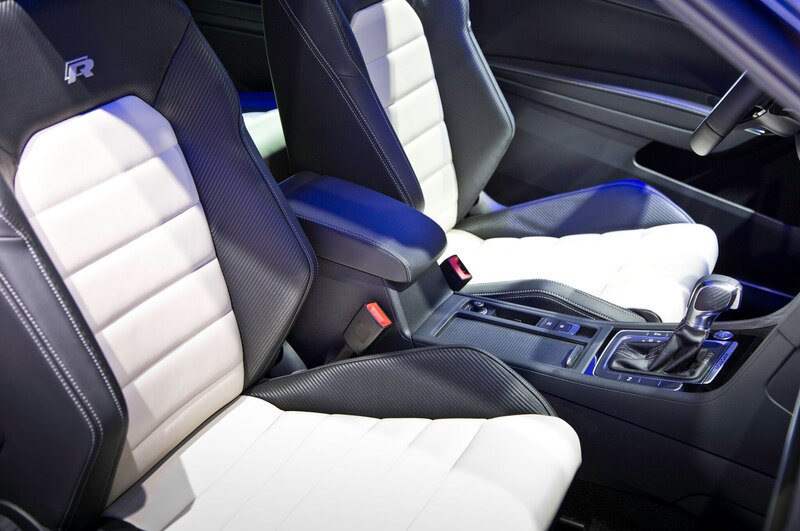 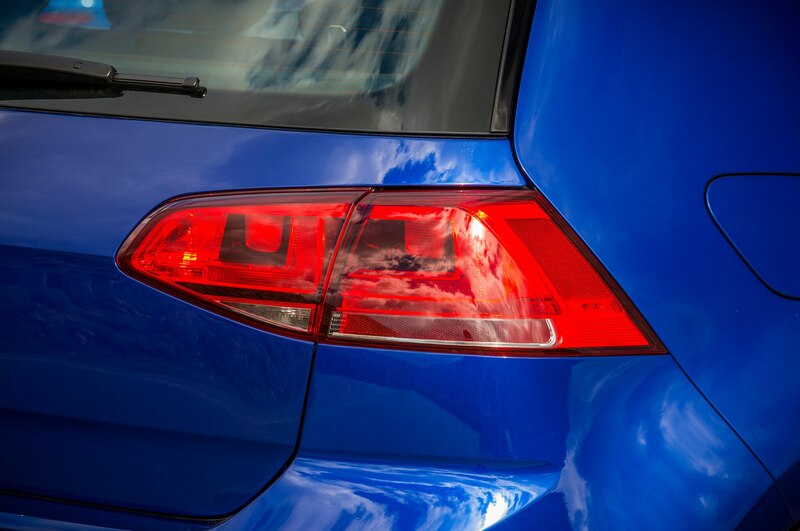 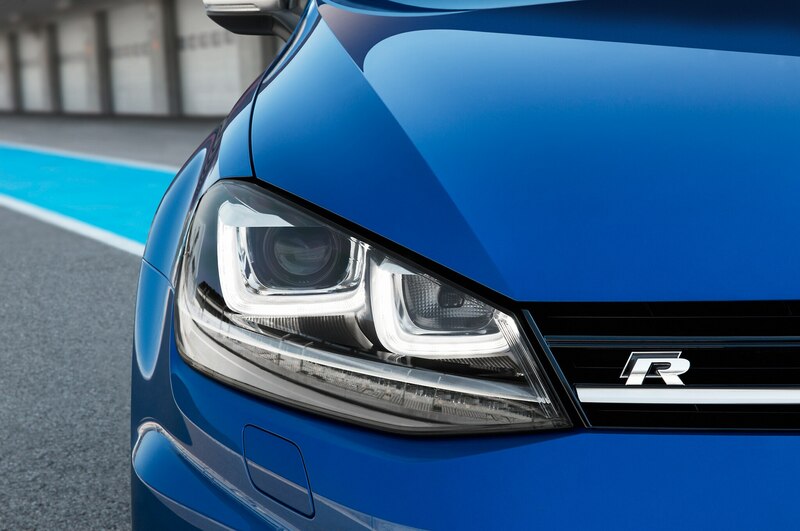 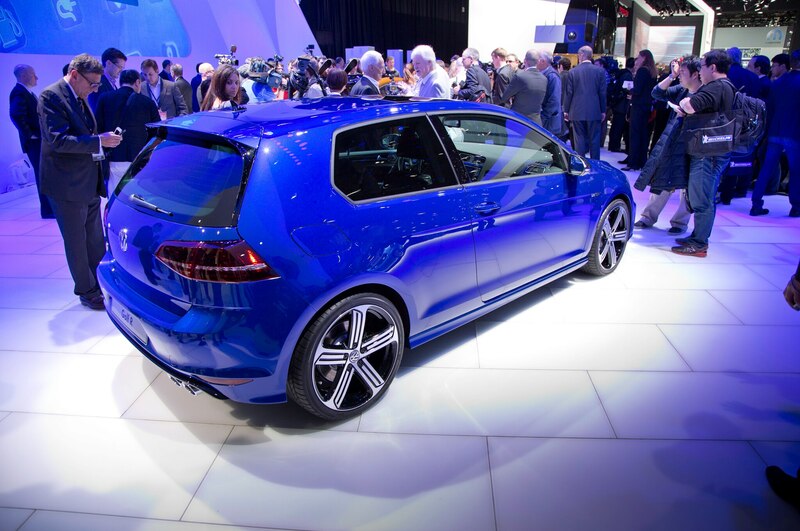 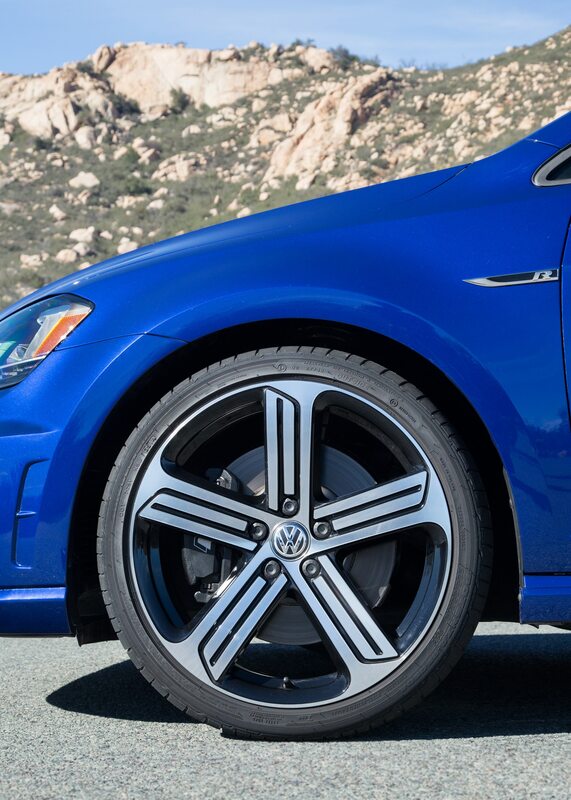 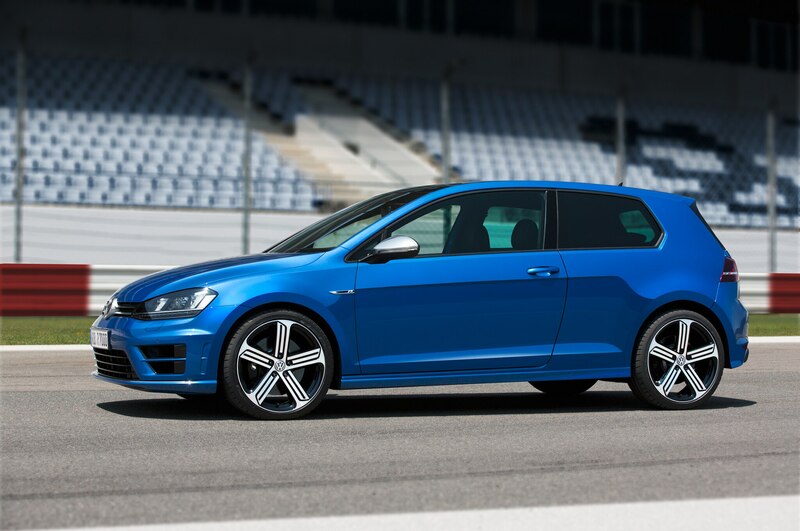 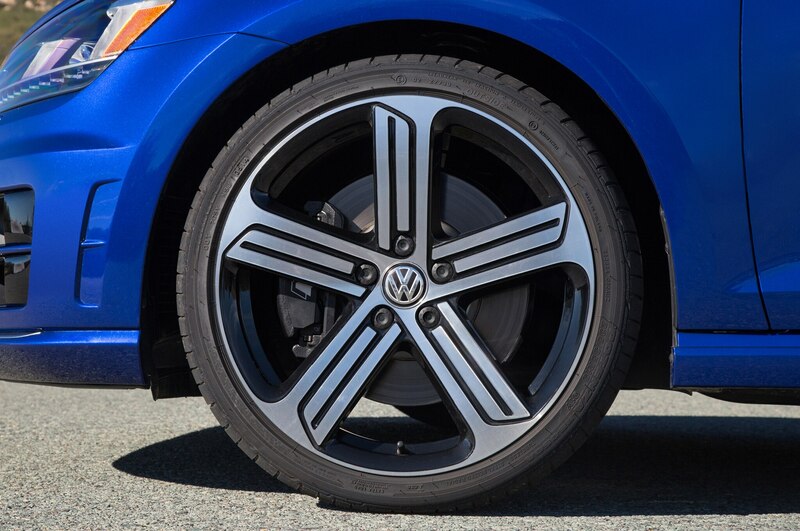 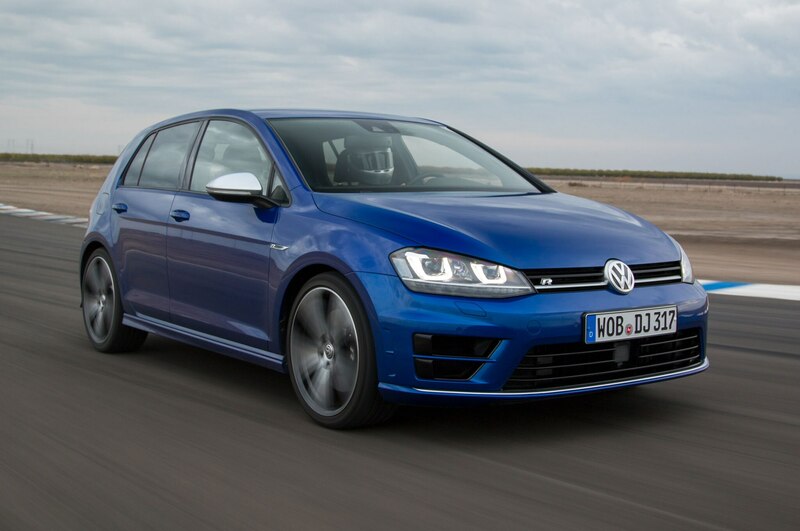 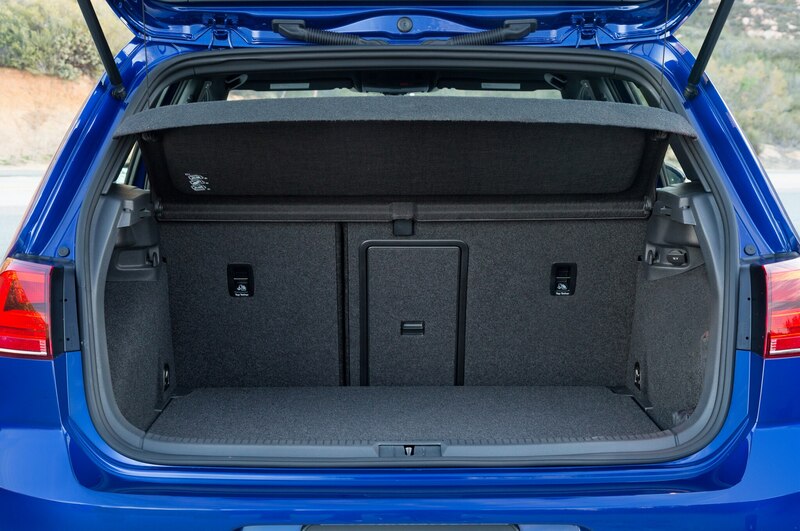 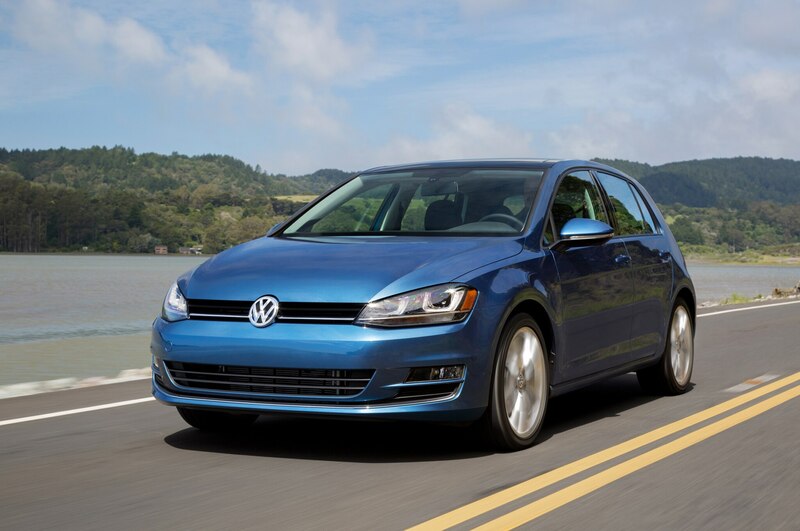 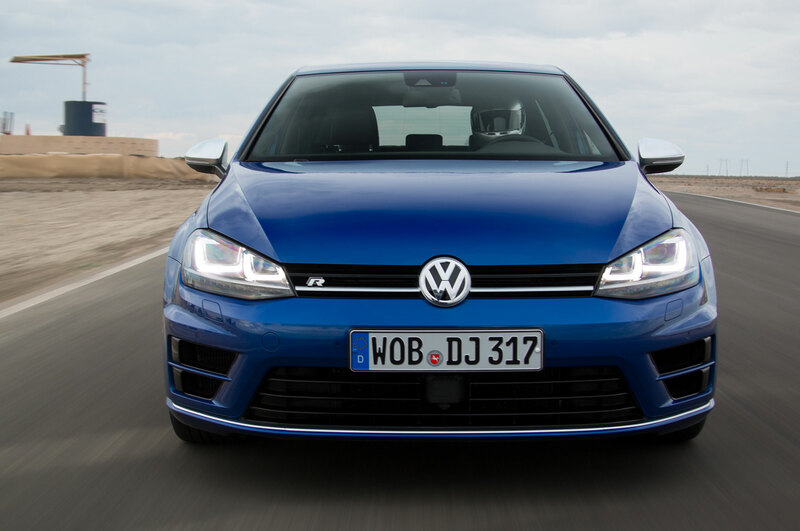 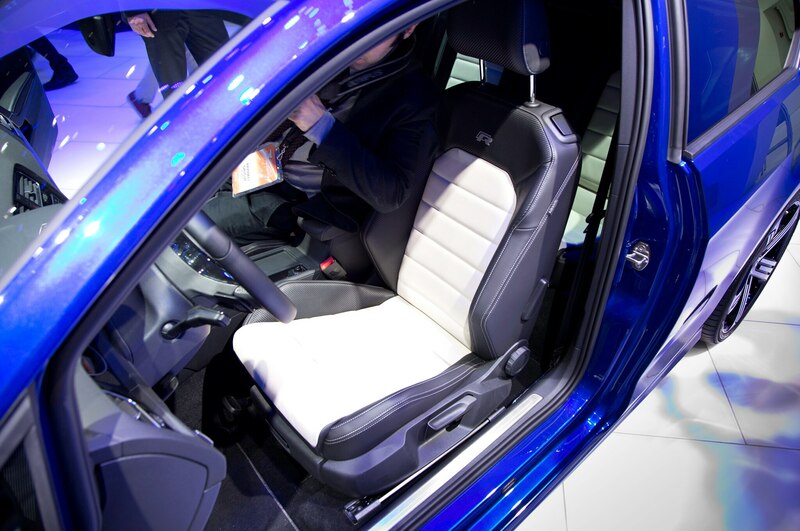 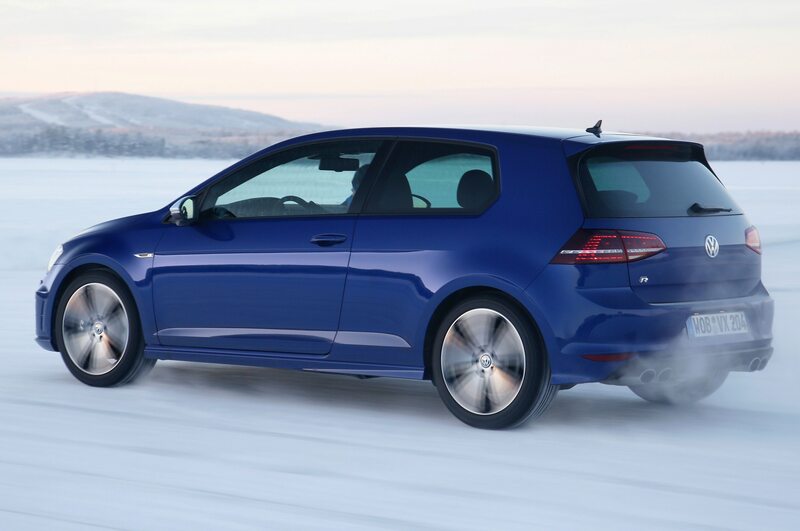 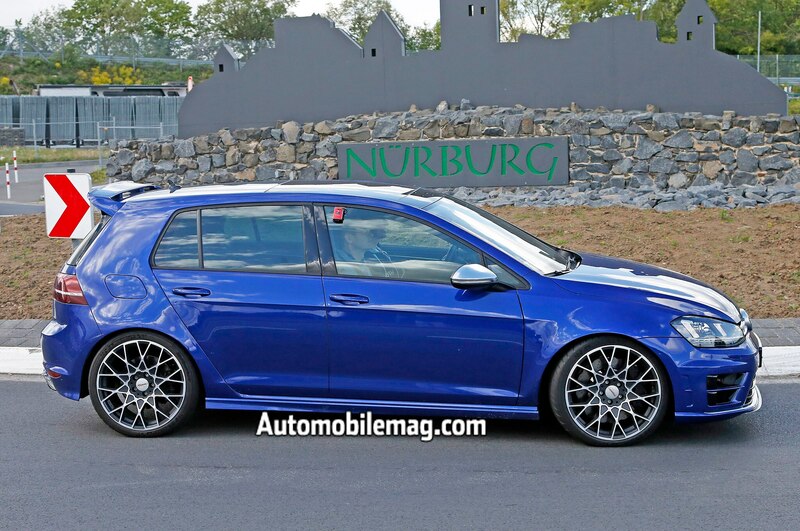 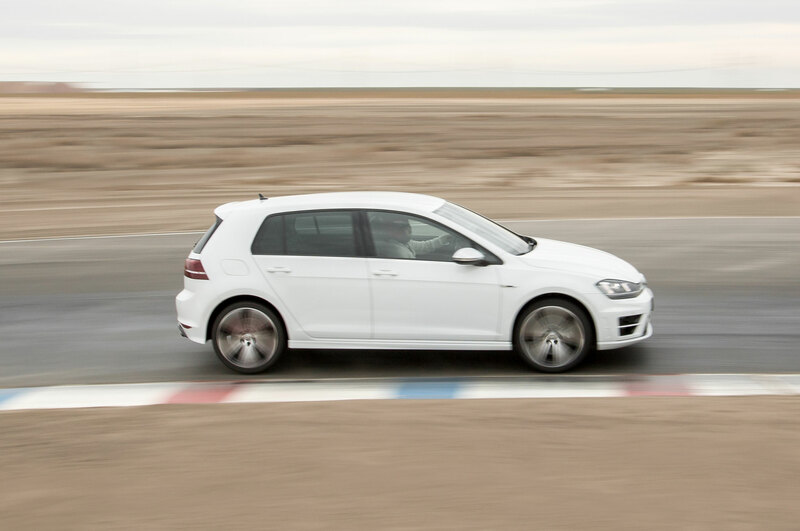 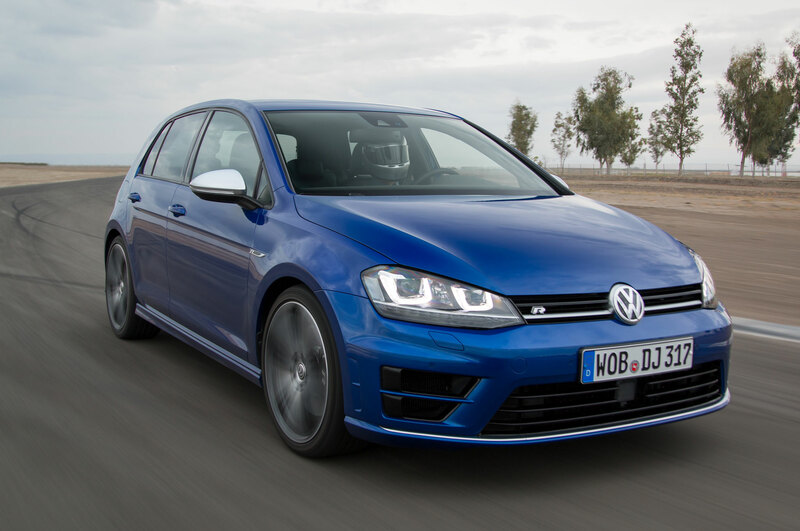 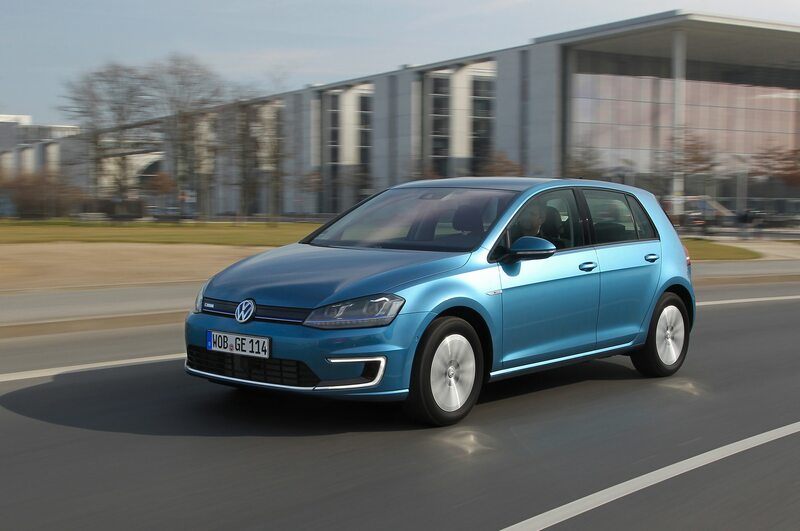 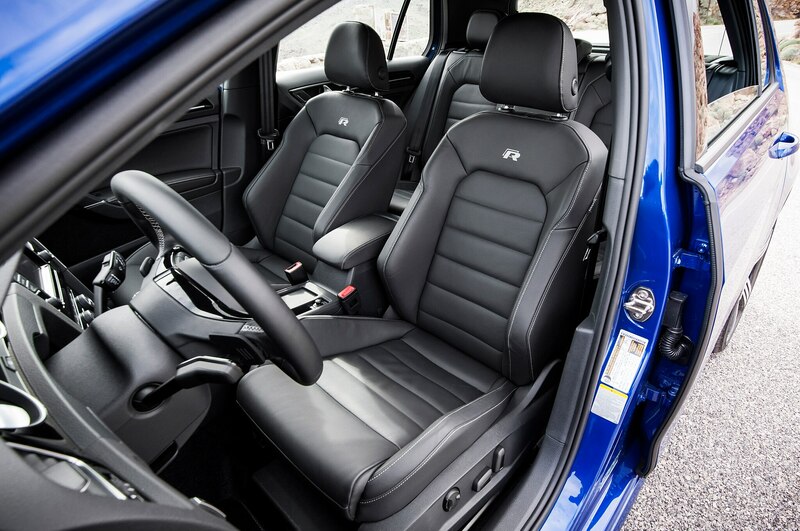 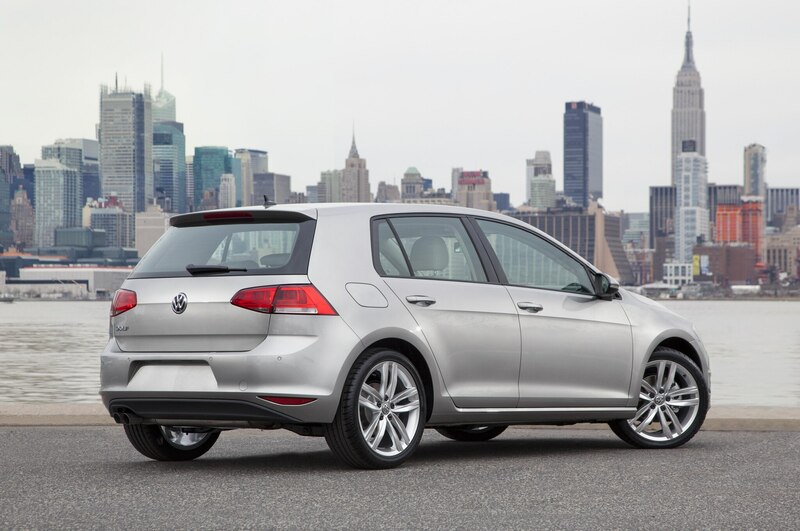 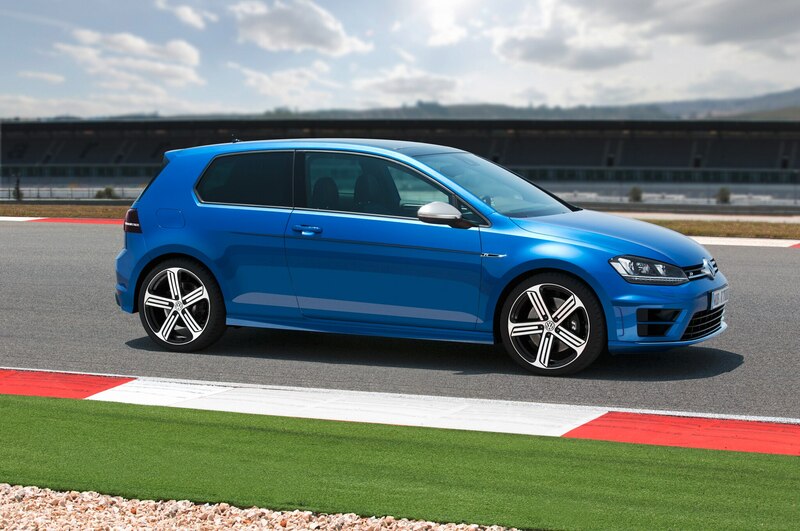 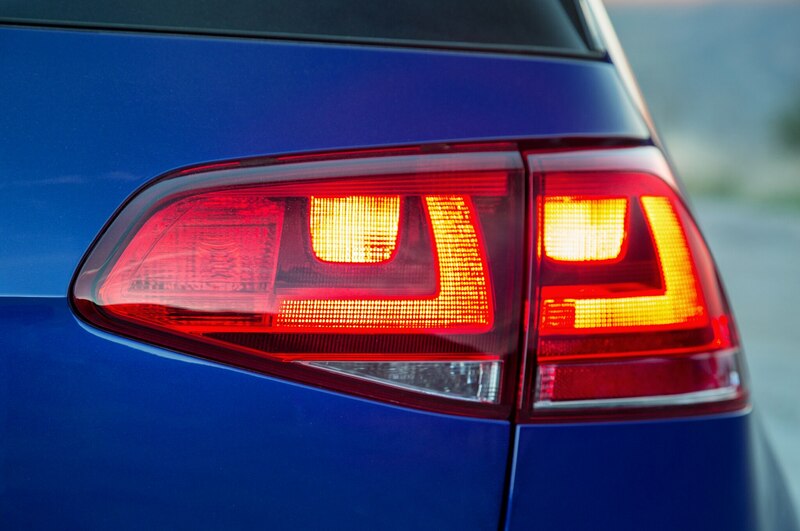 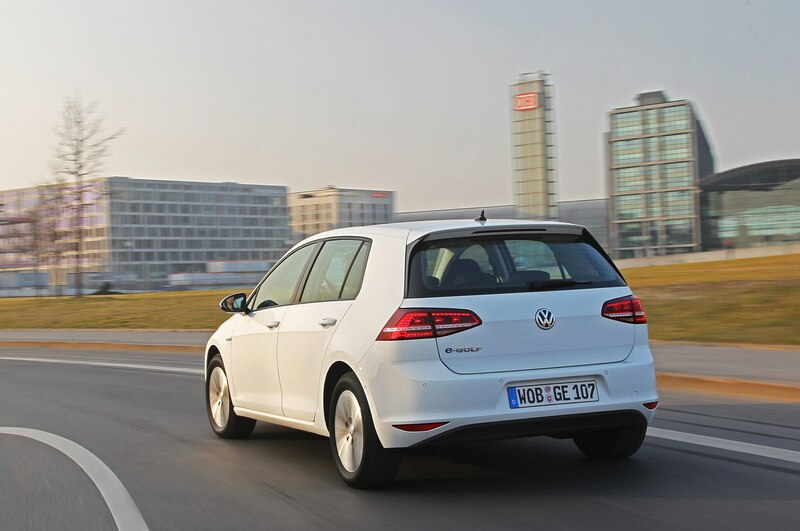 The Golf R grips hard and is never unsettled when the road goes off-camber or dips or crests. 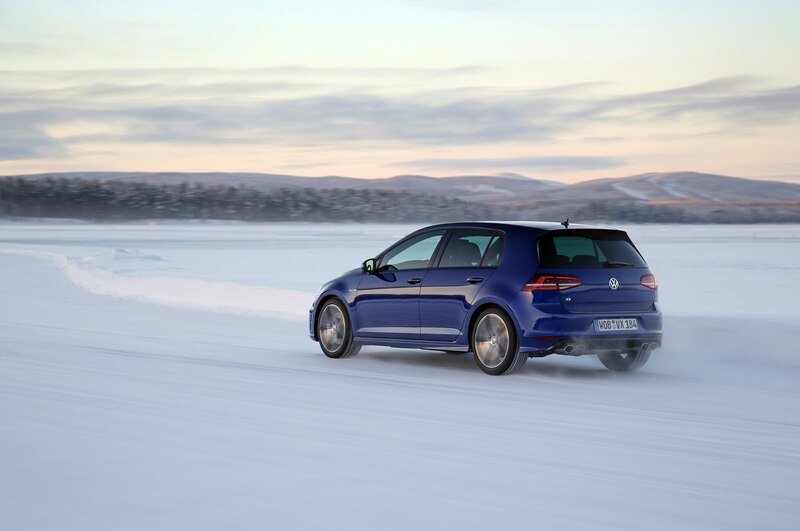 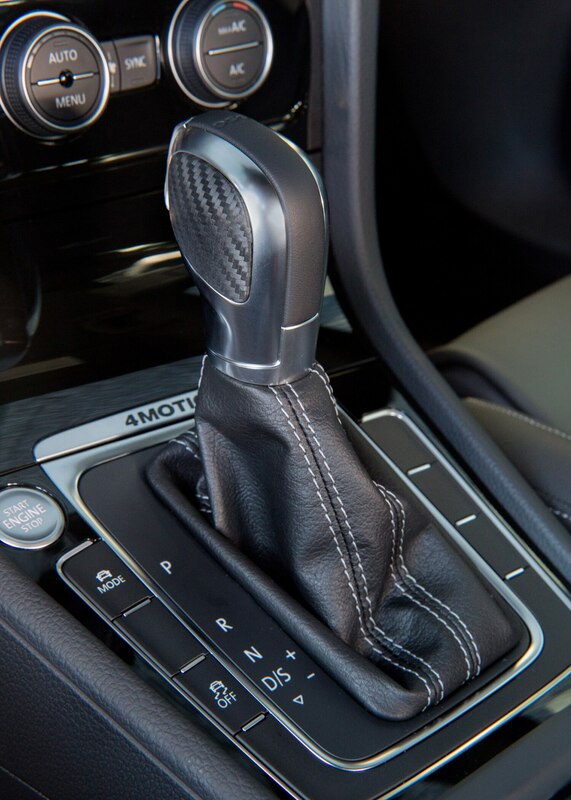 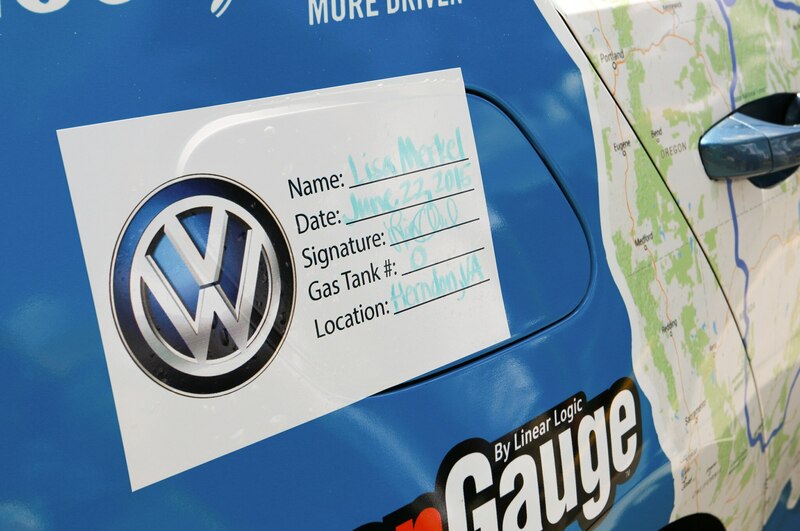 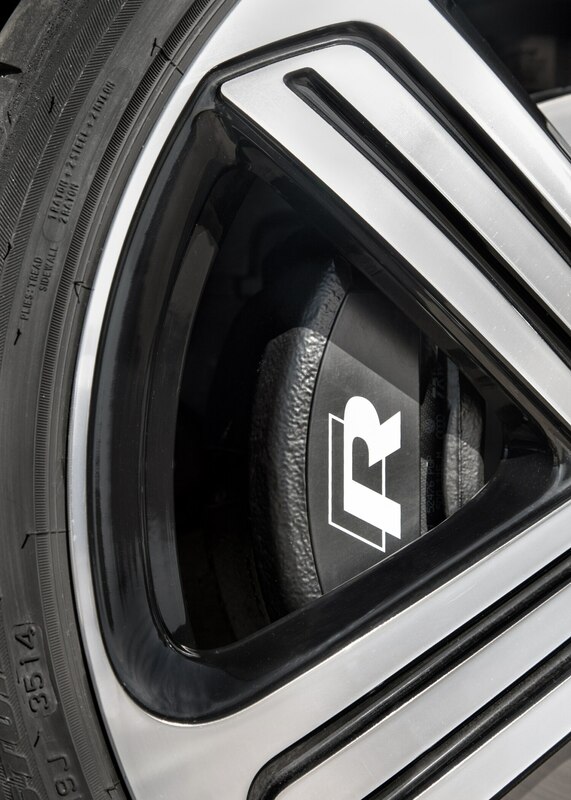 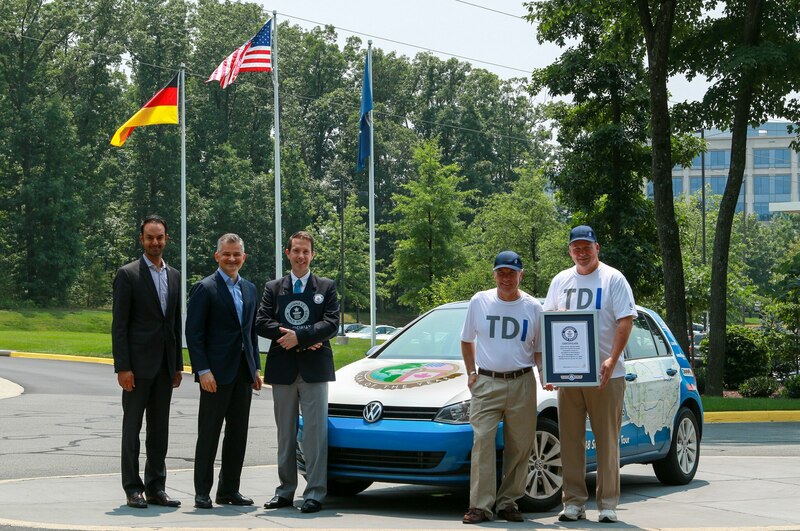 Hit the gas, and the 4Motion all-wheel drive digs in to push the car out of corners without a hint of wheel spin. 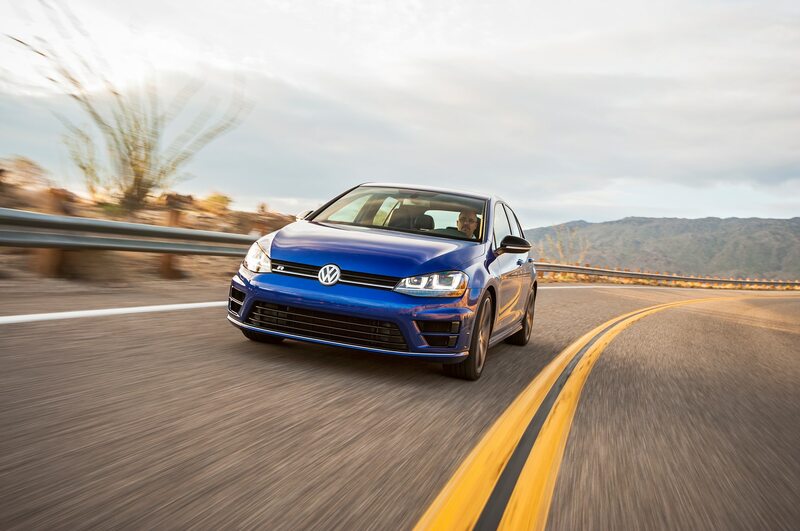 The Golf R is so fast, unflappable, and confidence-inspiring that the bright-yellow advisory speed signs don’t get a second thought. 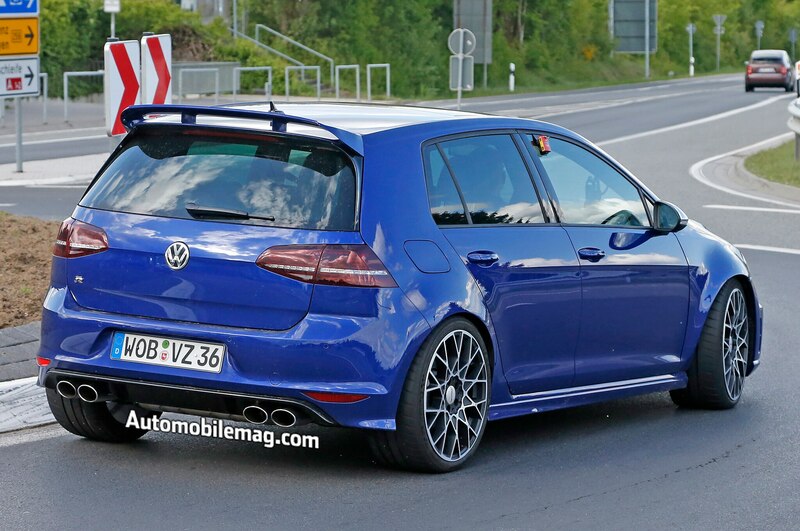 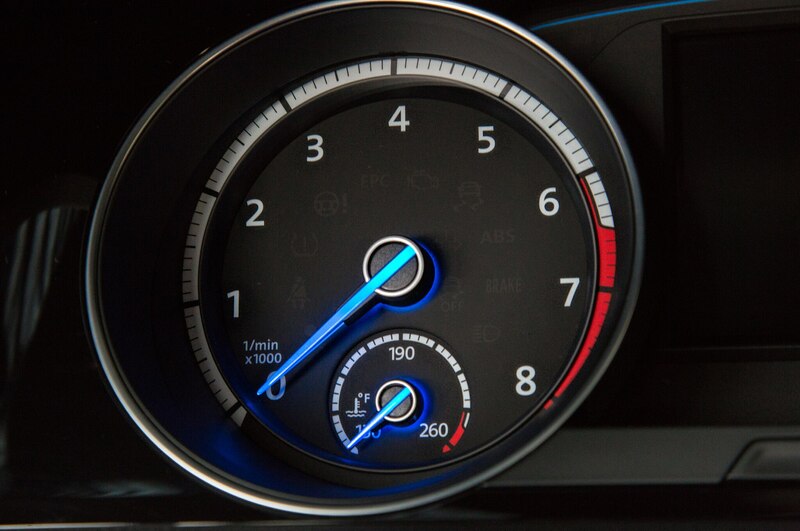 A Subaru WRX STI or a BMW M235i would be more precise weapons for attacking these apexes, but the former is cruder for the same price and the latter considerably more expensive. 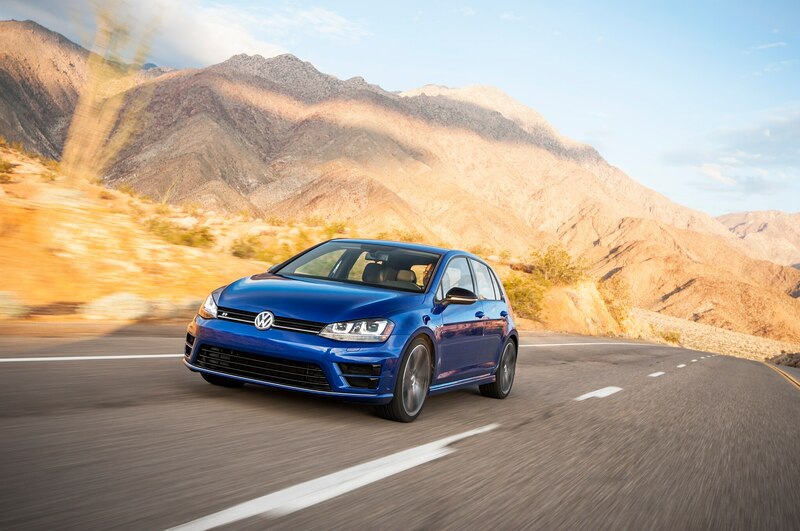 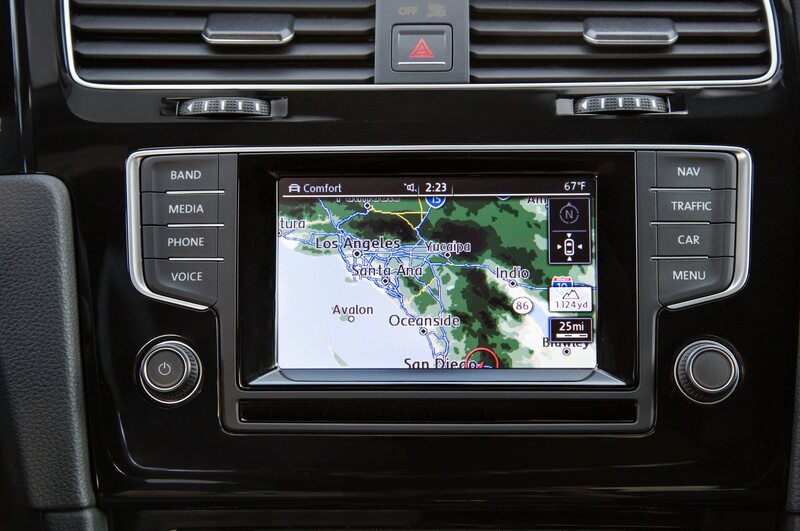 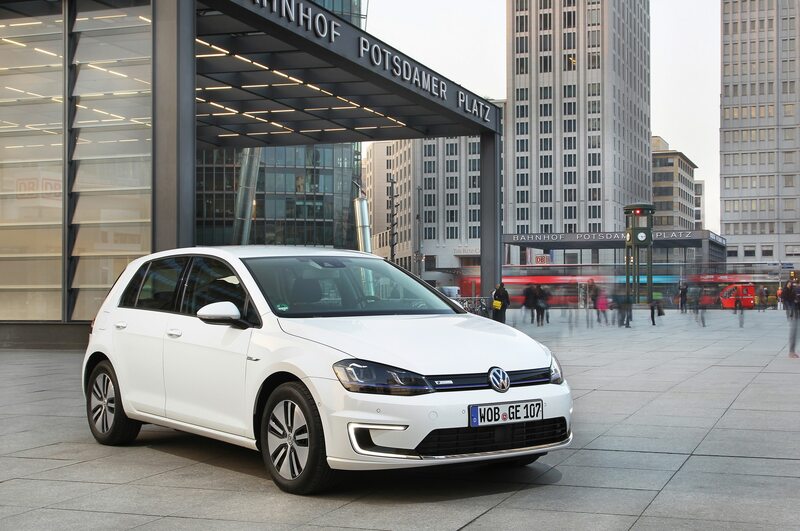 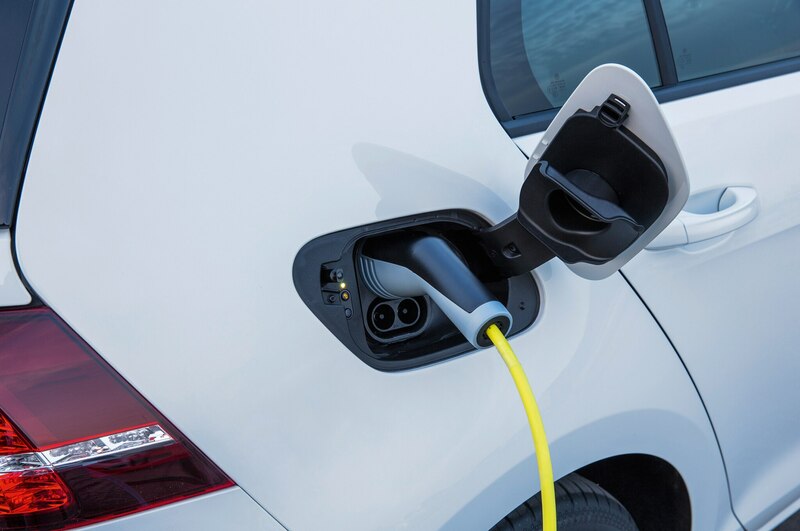 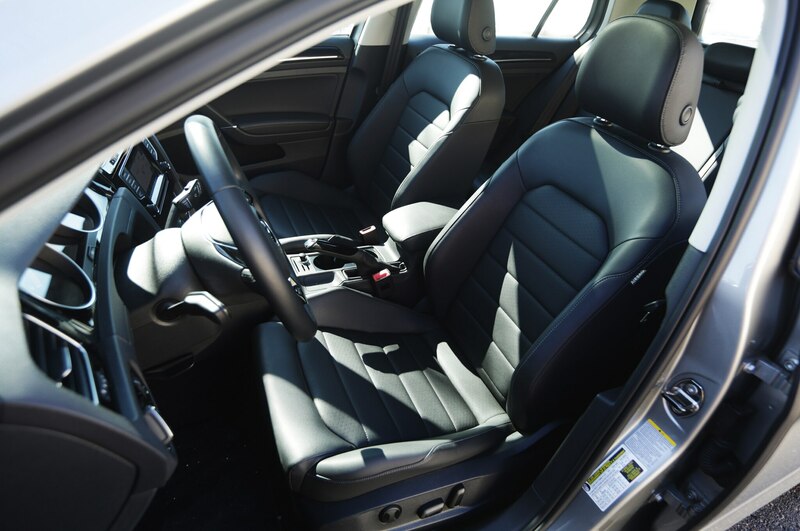 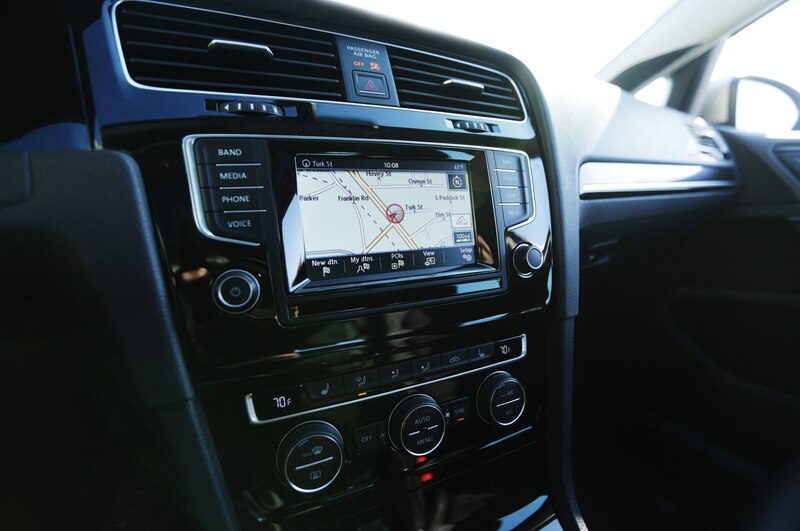 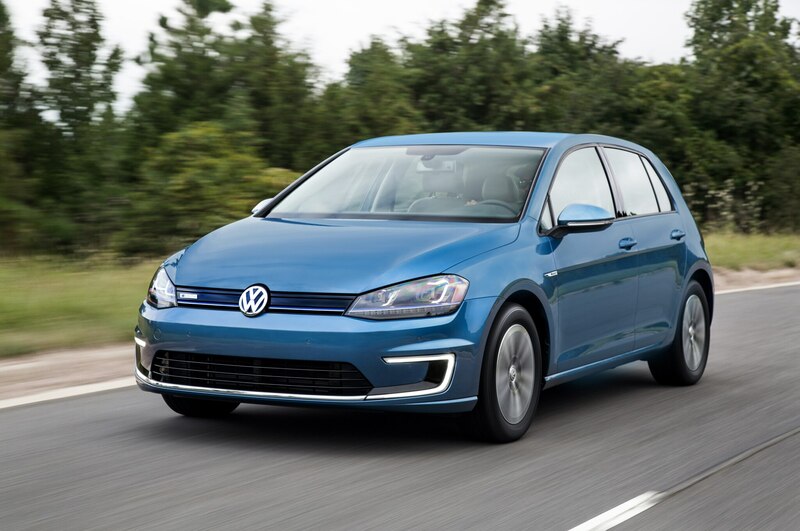 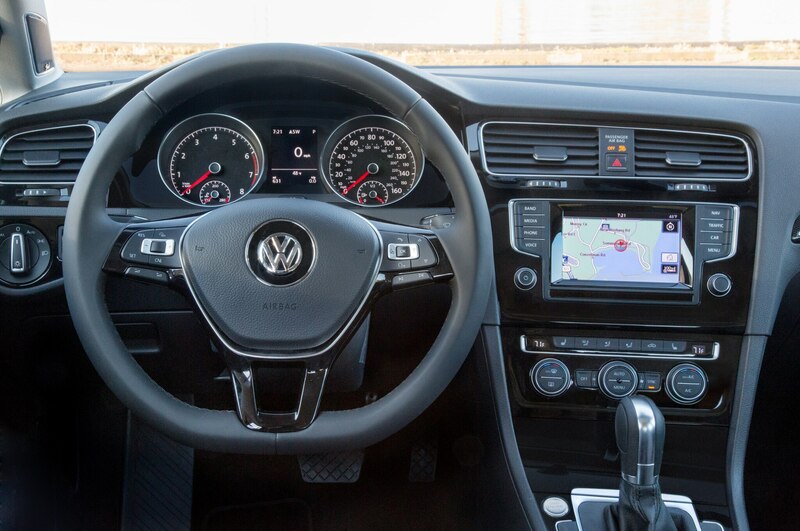 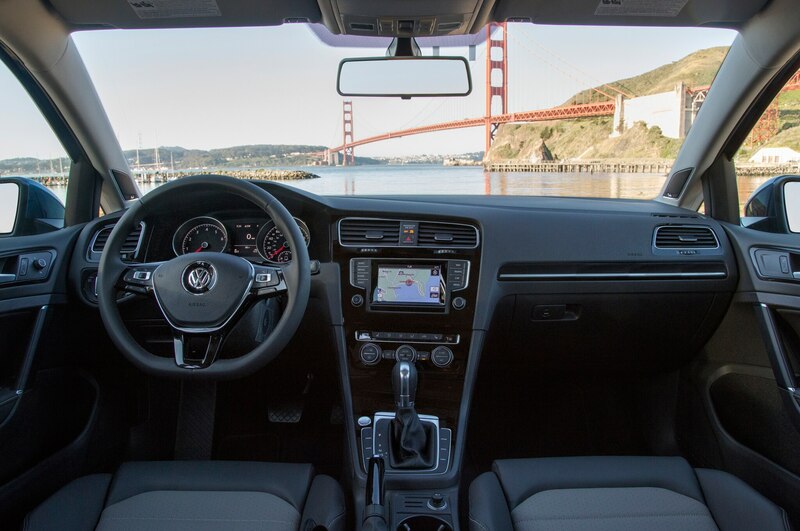 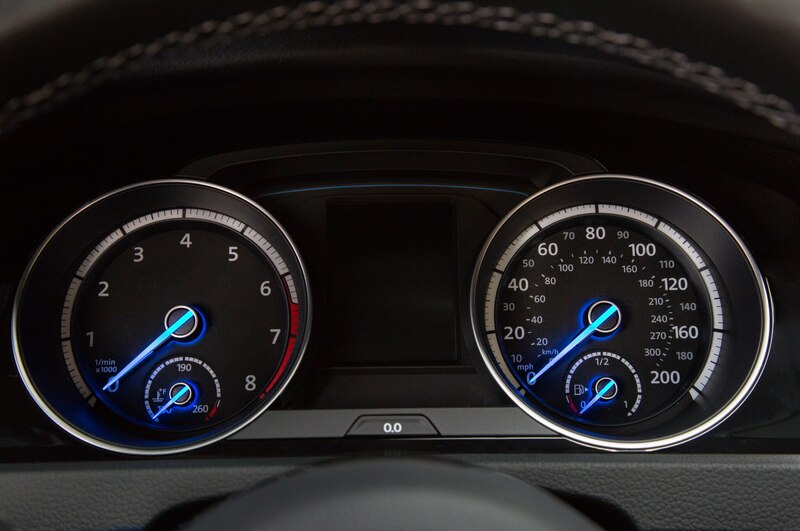 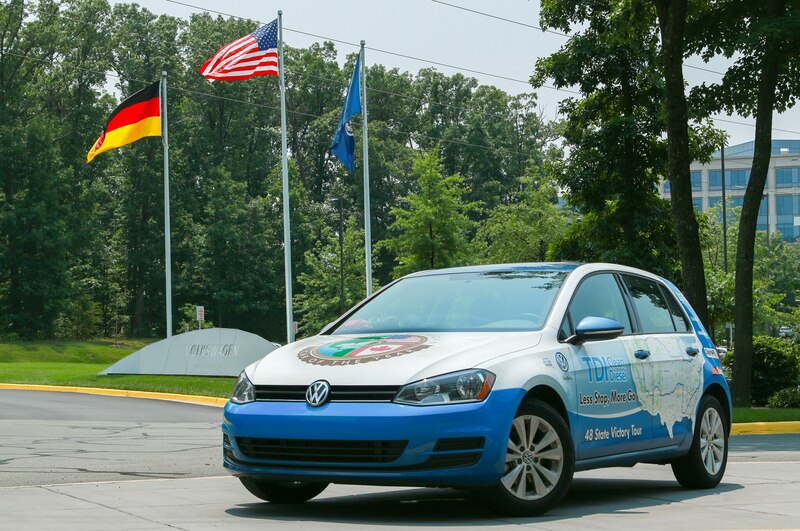 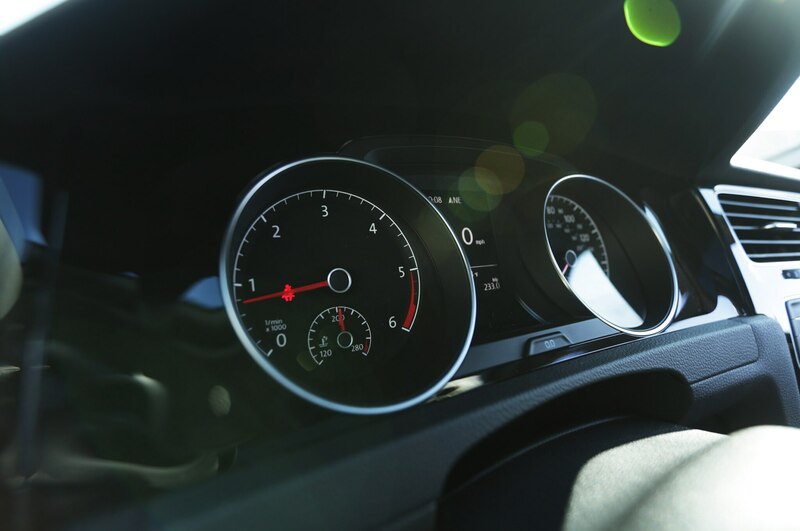 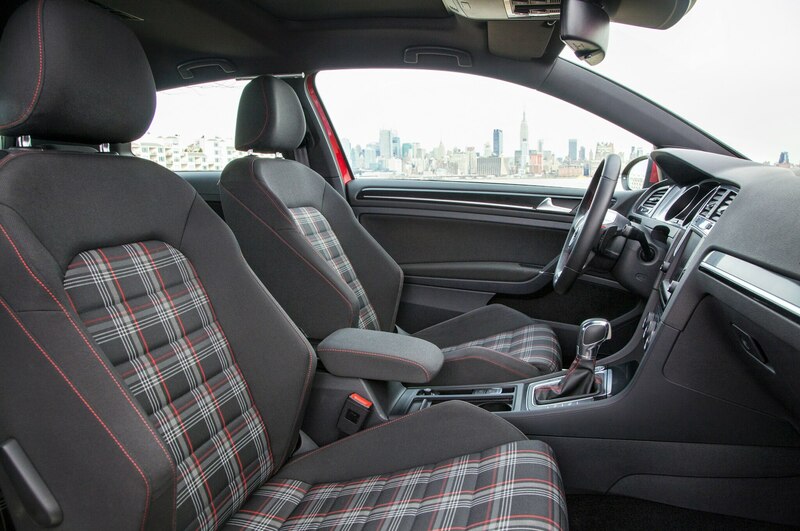 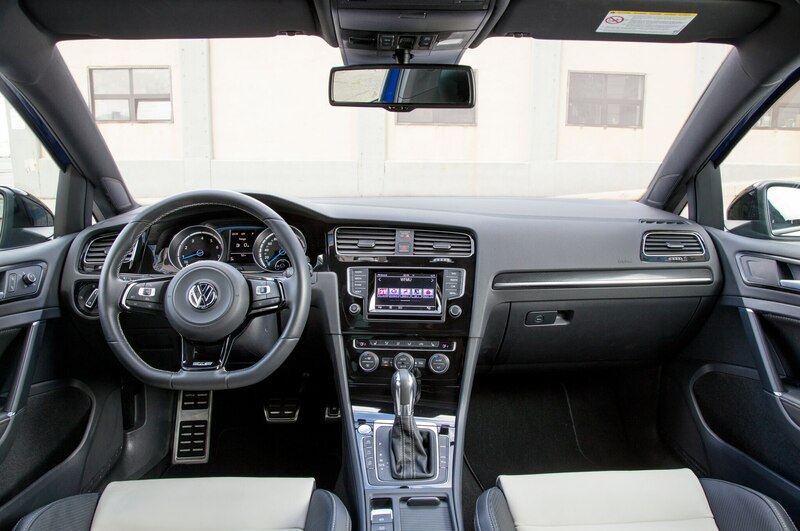 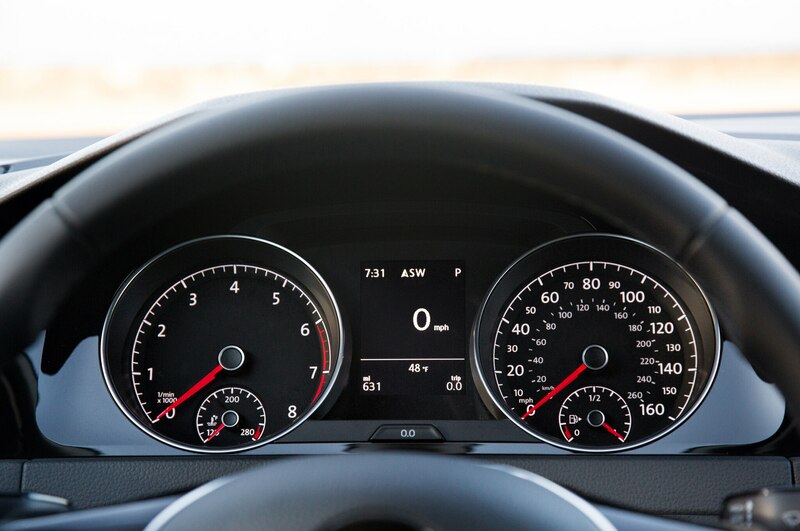 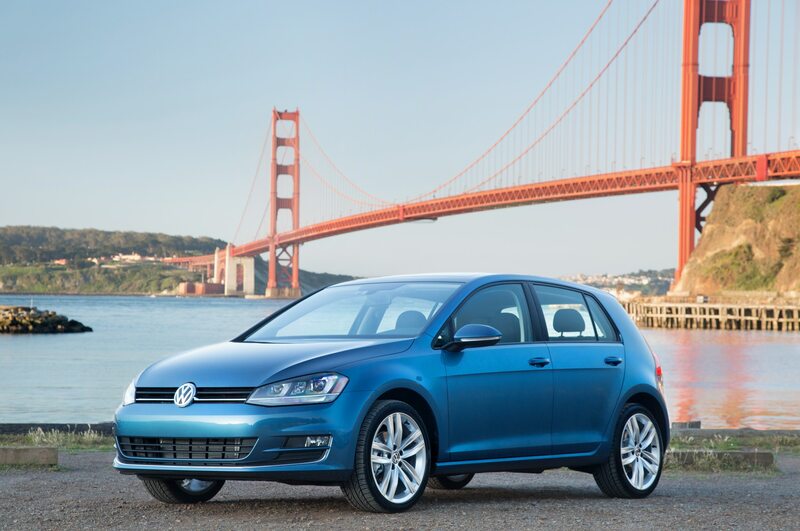 The 2015 Volkswagen Golf R, though, with its spacious interior, plentiful standard equipment, and Audi-stylish looks, is an astounding, affordable performance car that doesn’t compromise livability.